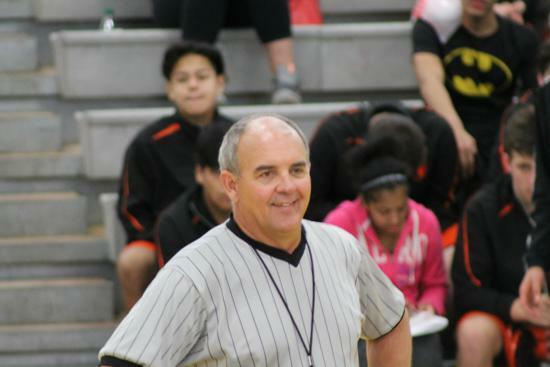 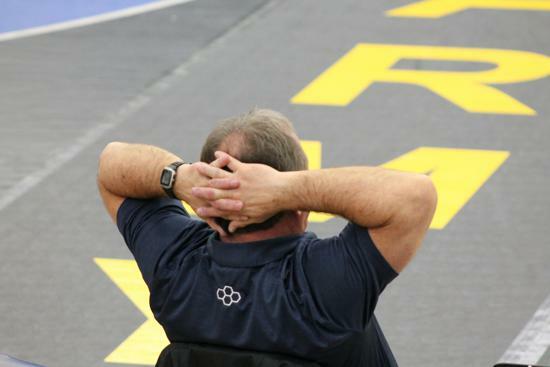 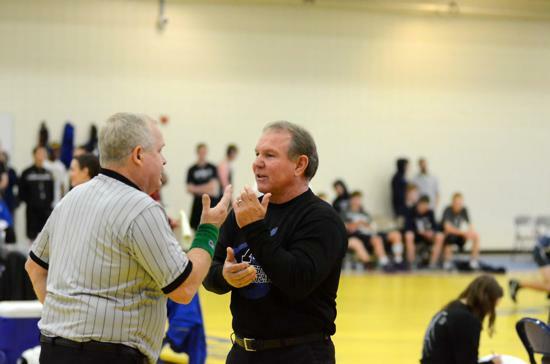 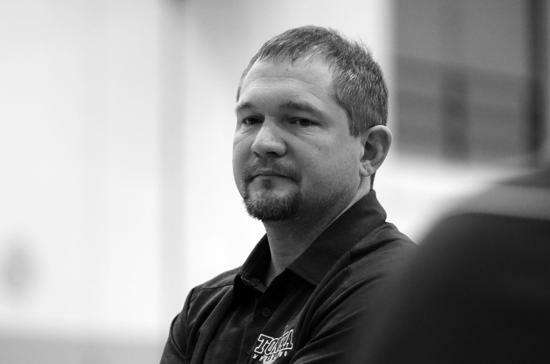 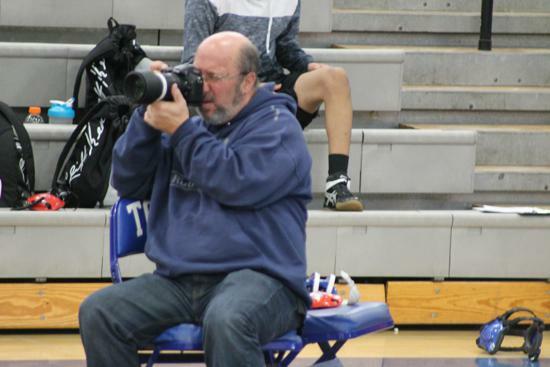 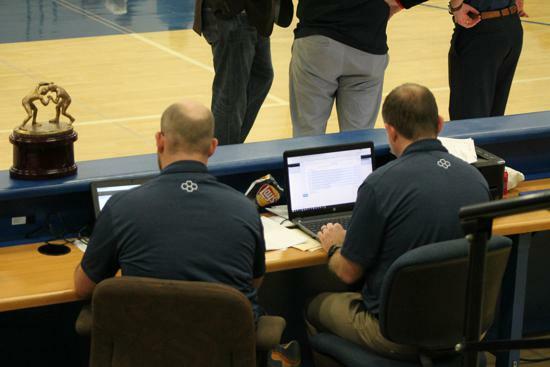 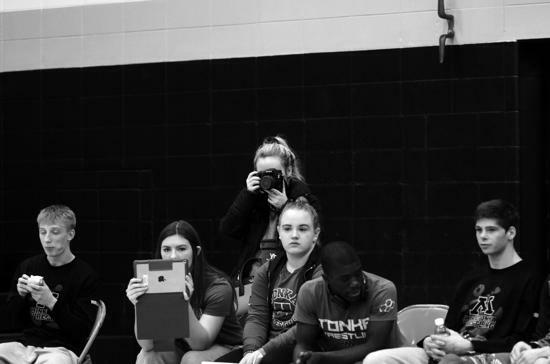 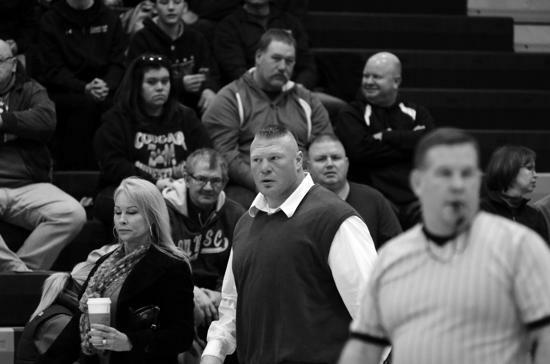 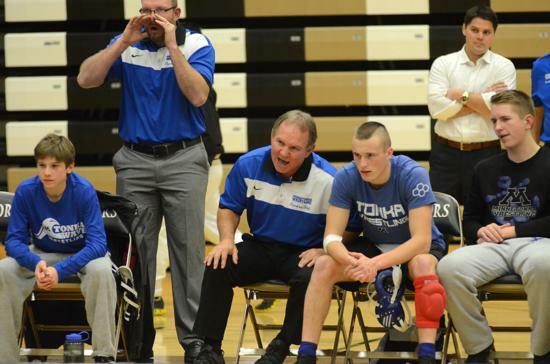 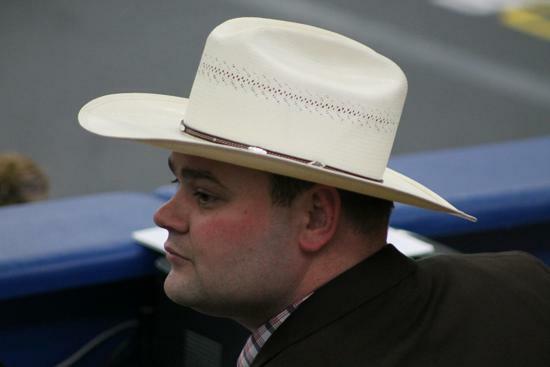 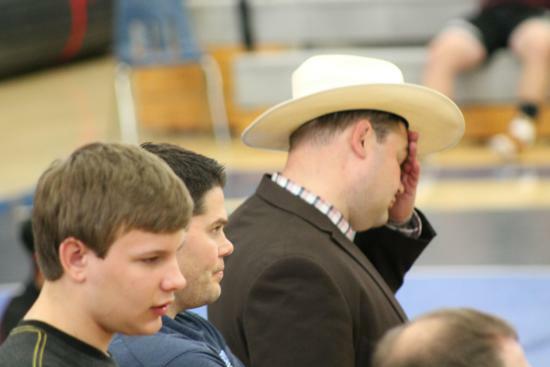 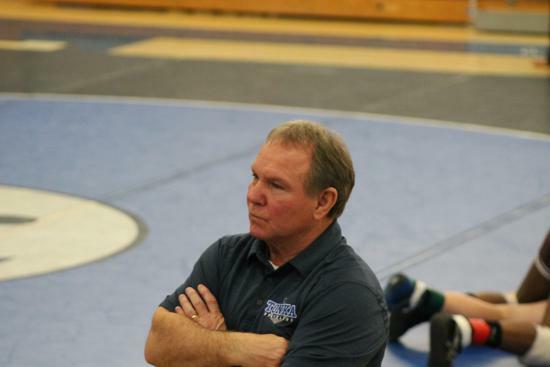 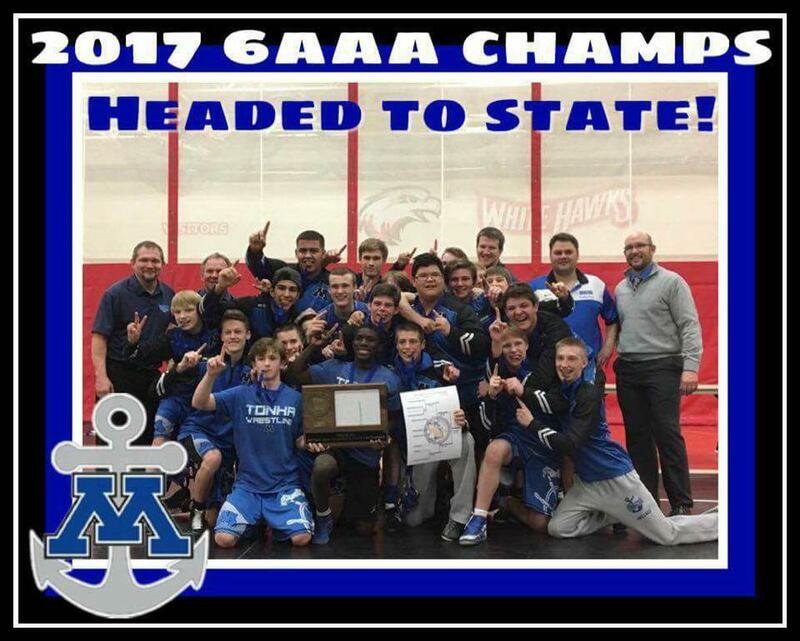 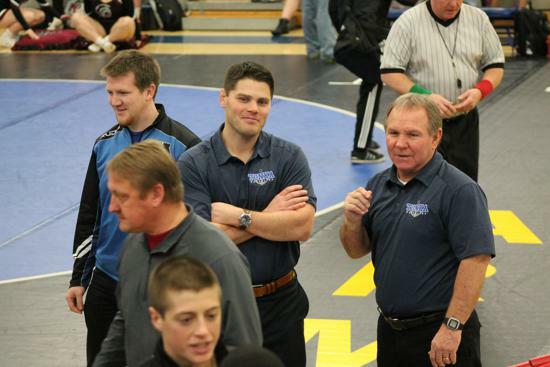 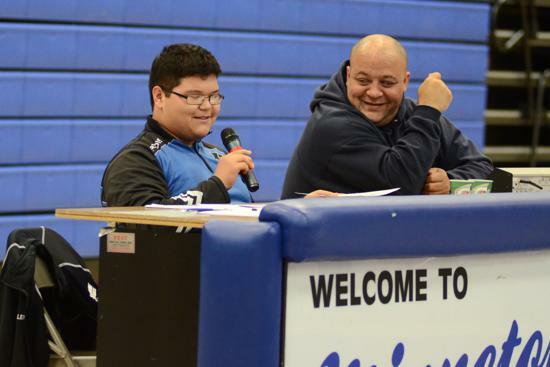 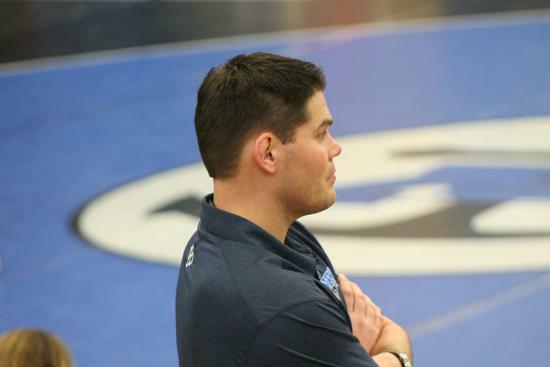 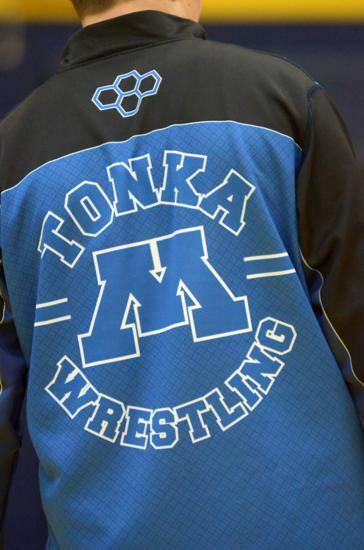 The Registration "Tonka High School Wrestling Team" is not currently available. 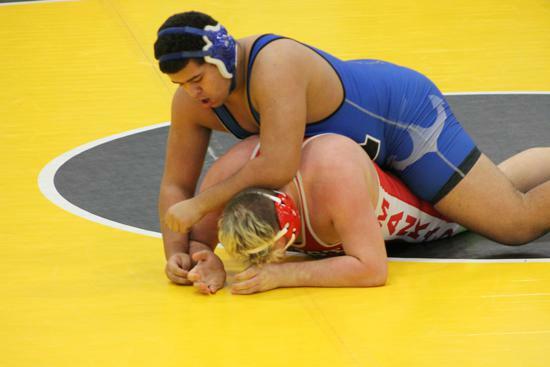 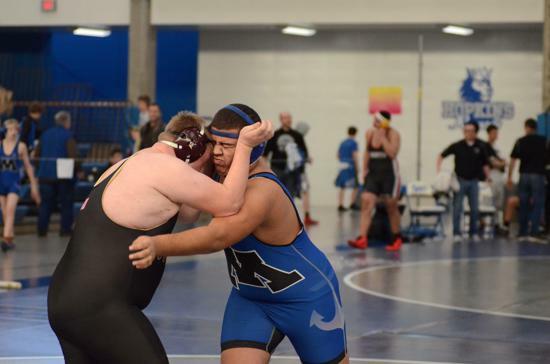 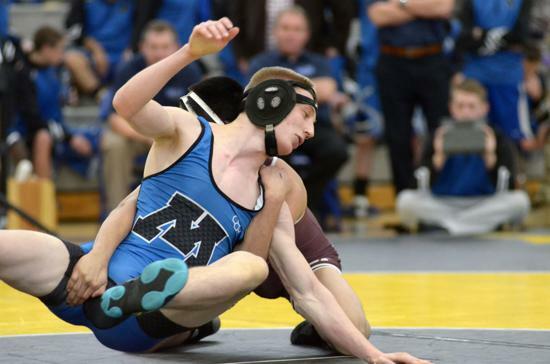 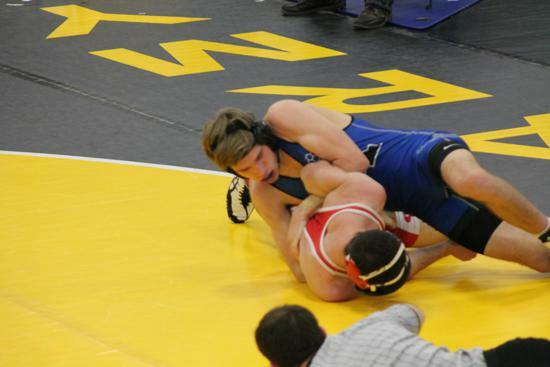 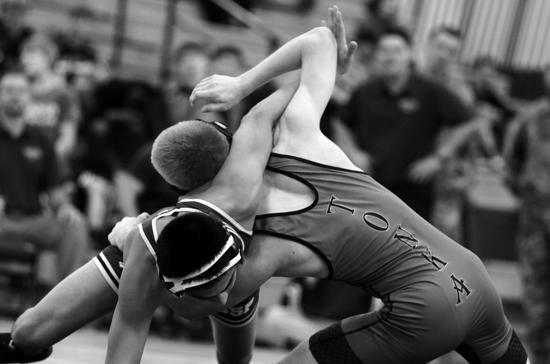 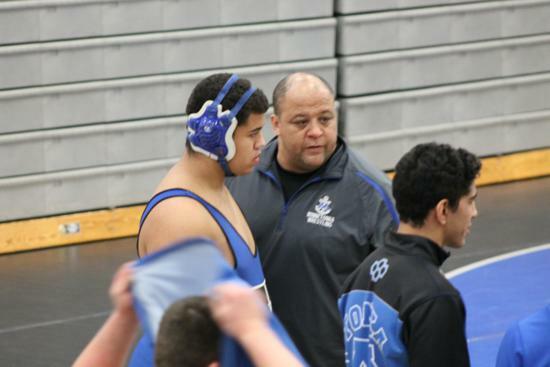 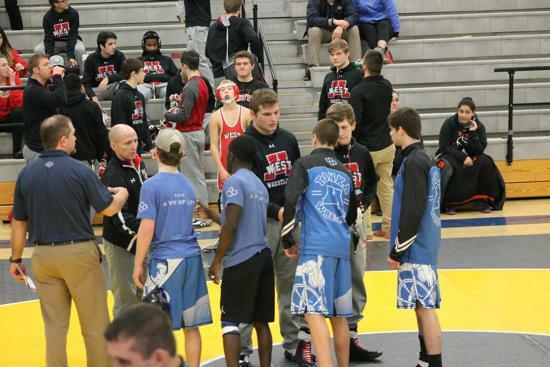 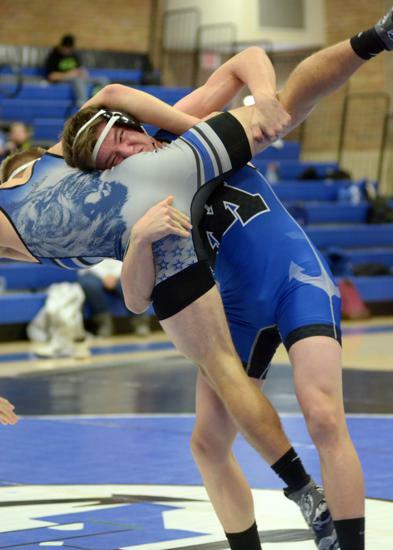 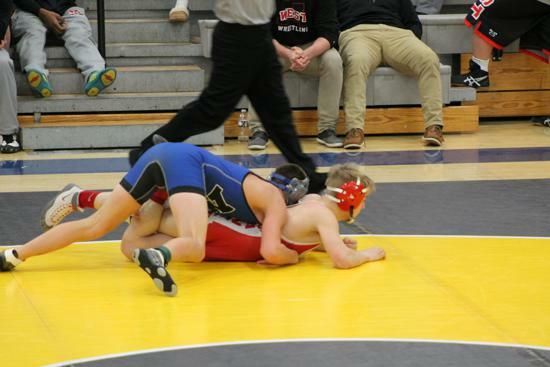 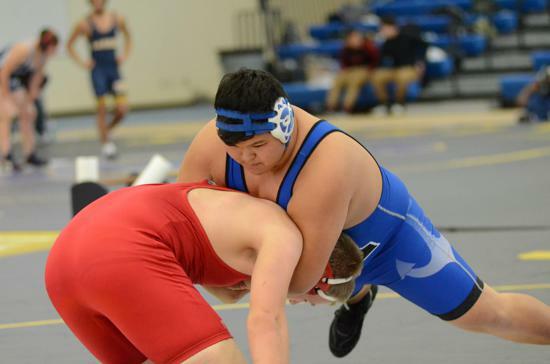 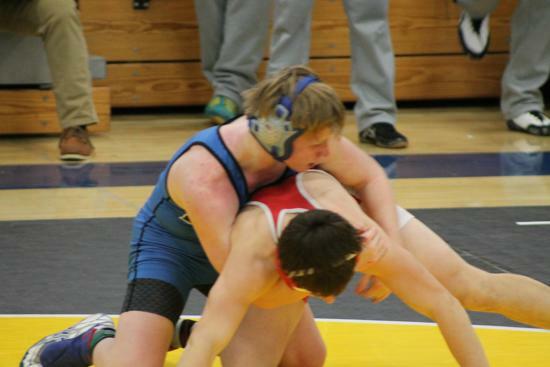 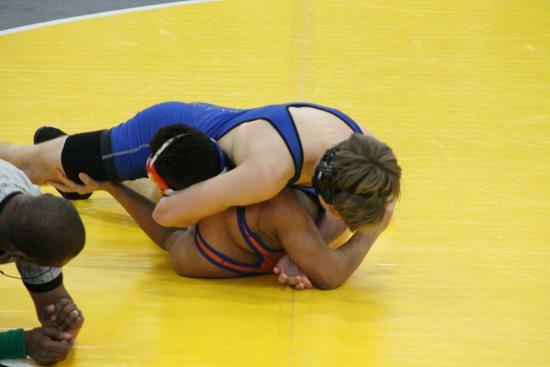 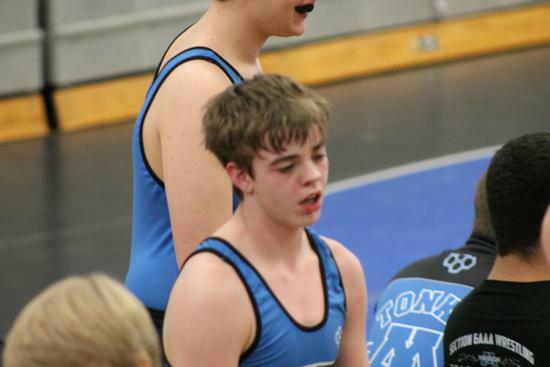 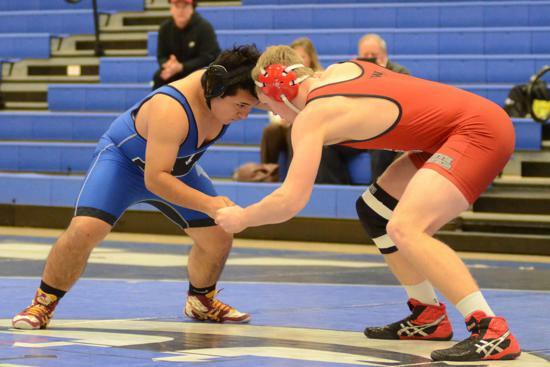 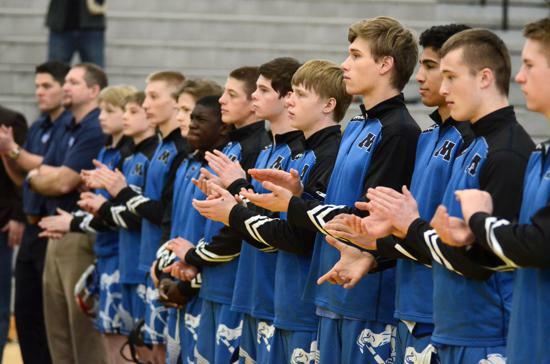 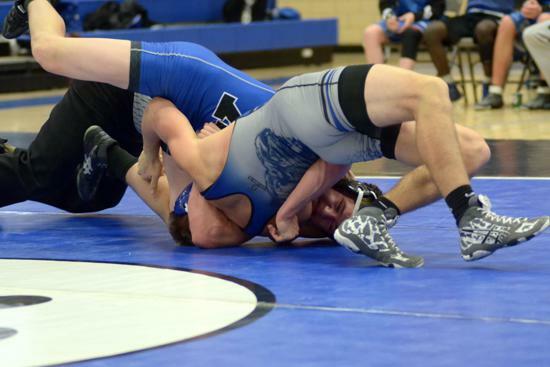 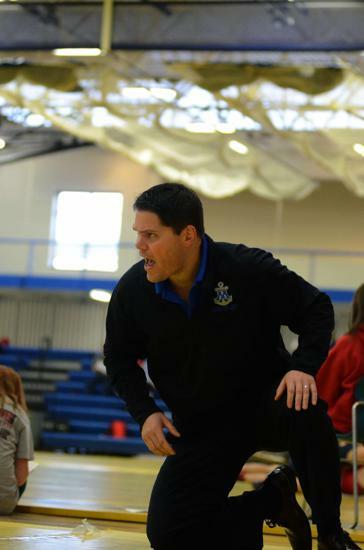 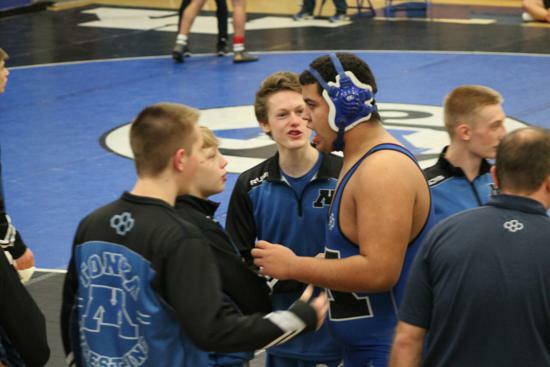 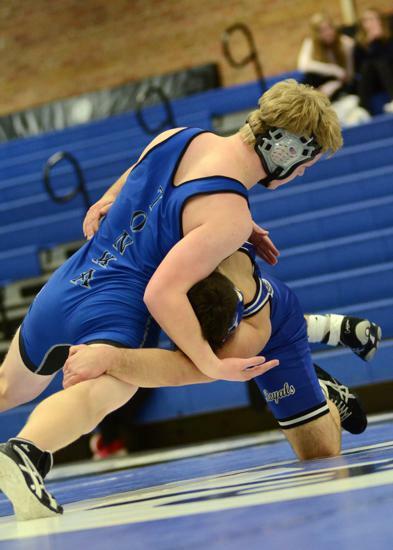 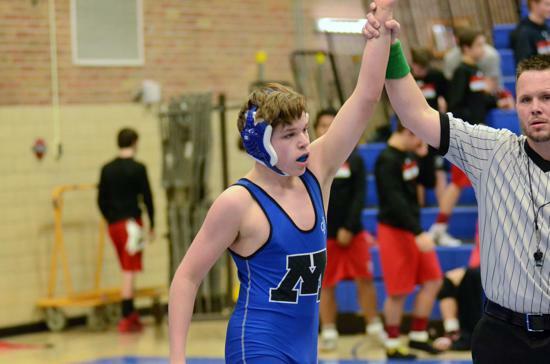 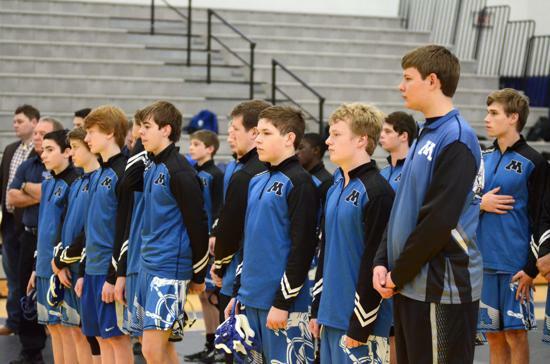 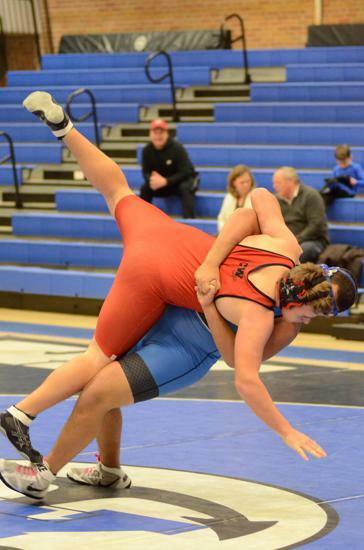 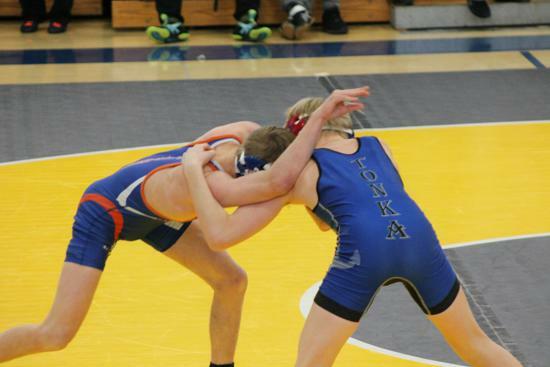 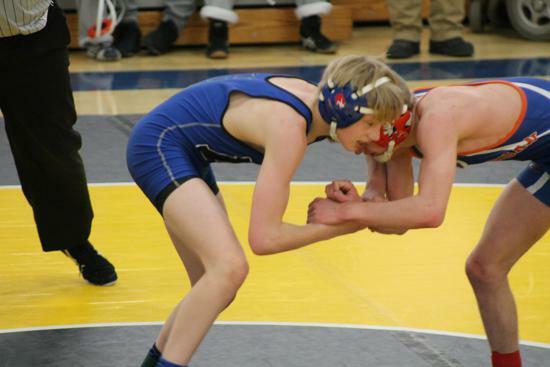 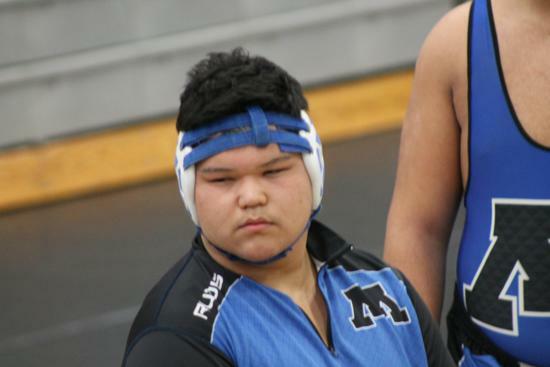 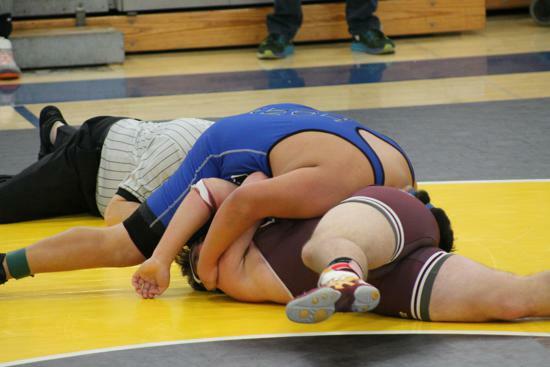 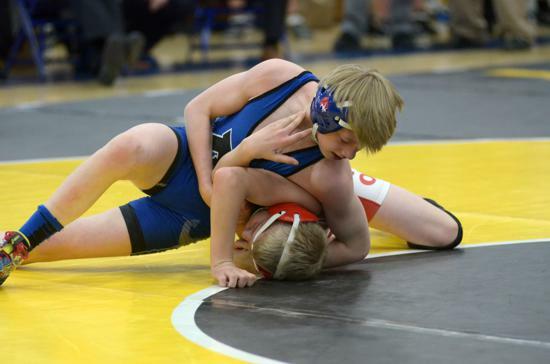 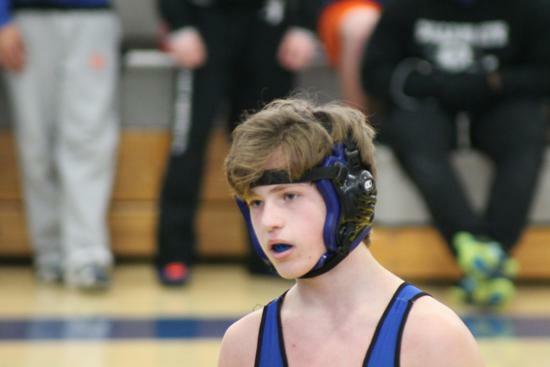 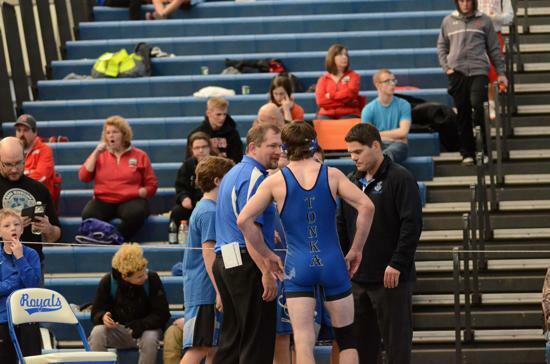 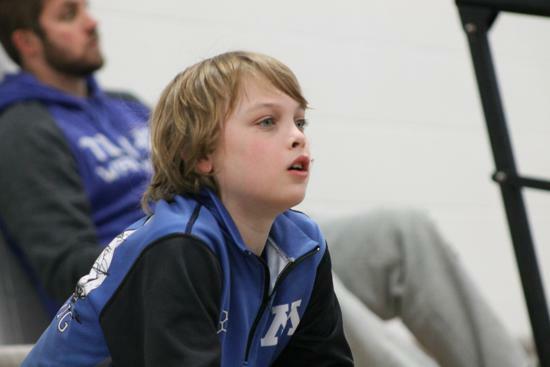 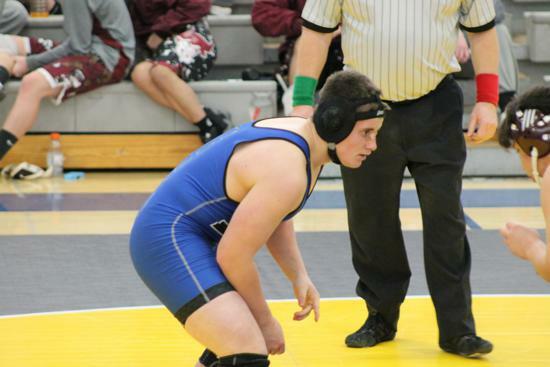 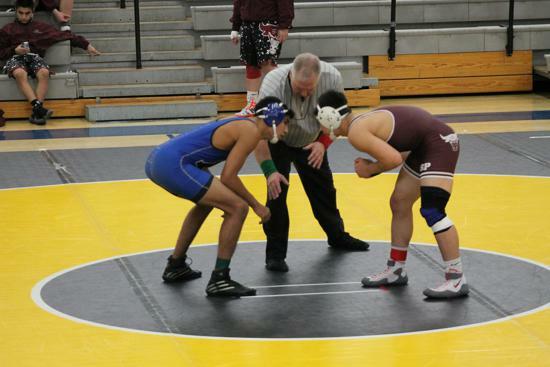 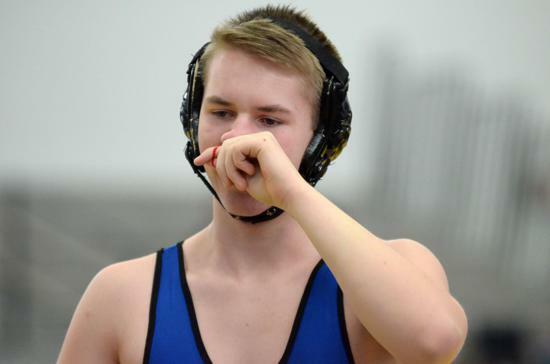 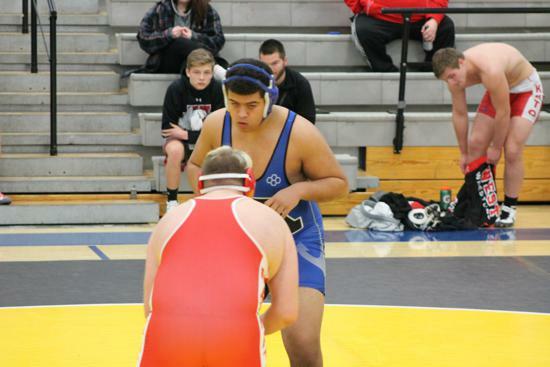 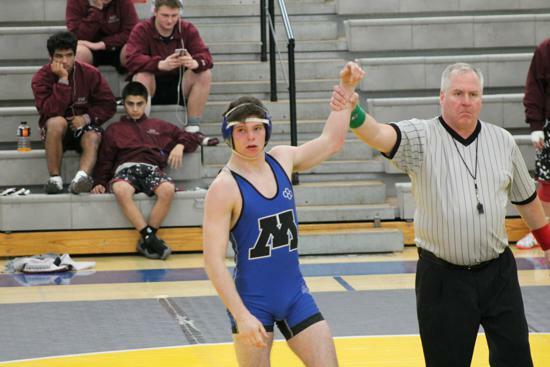 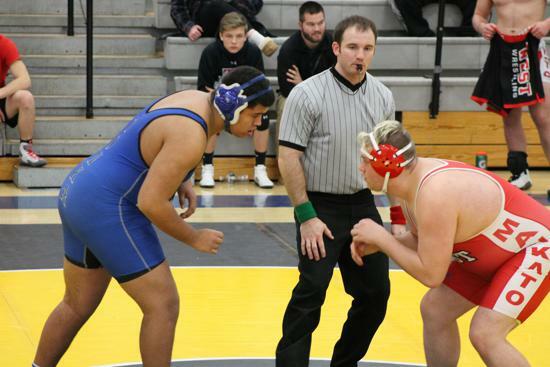 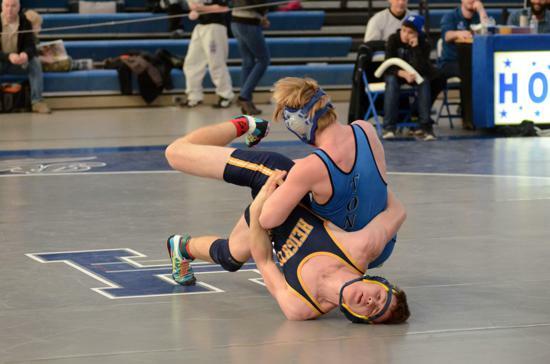 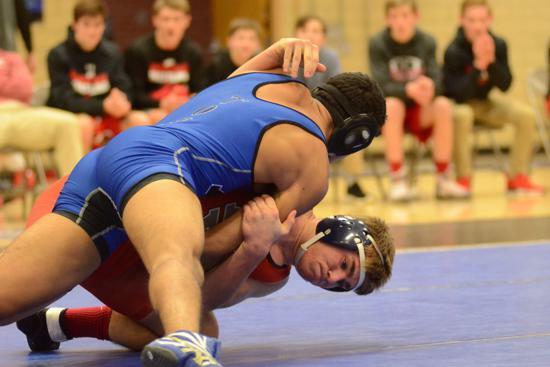 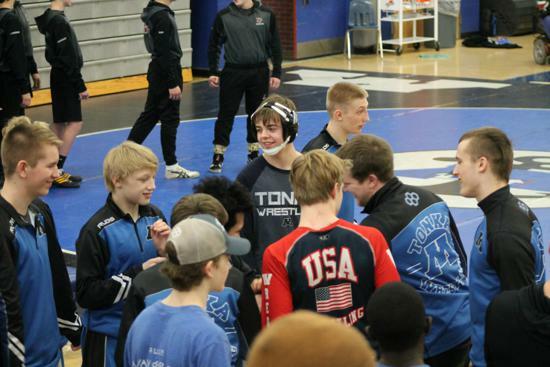 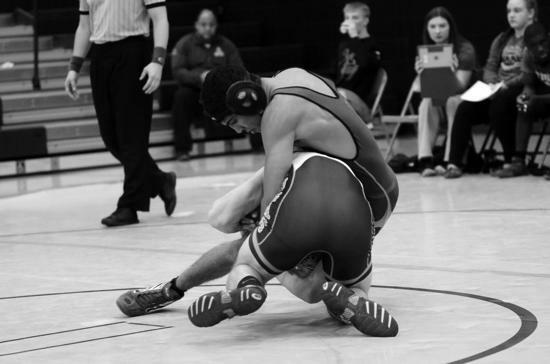 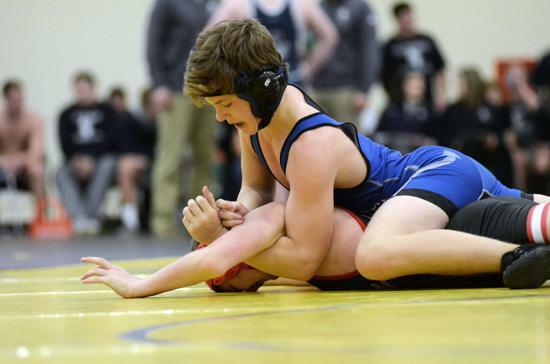 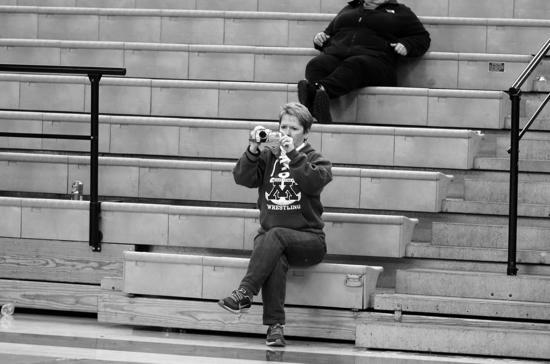 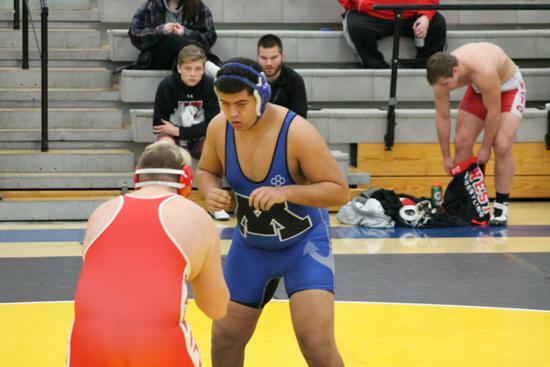 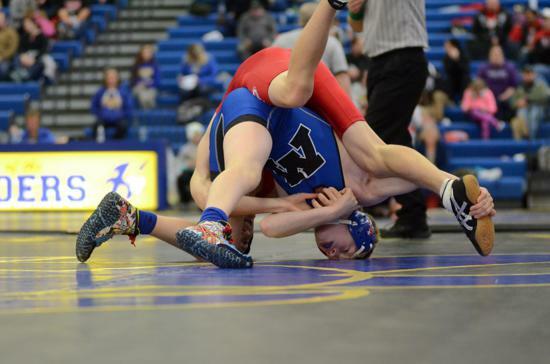 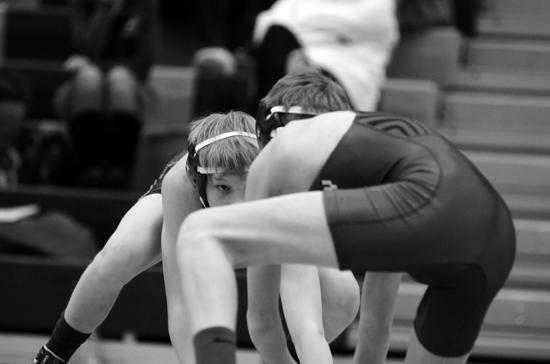 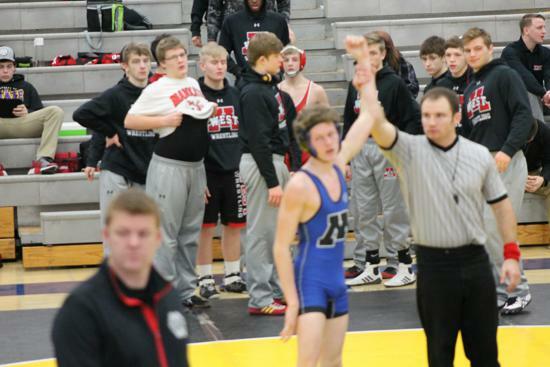 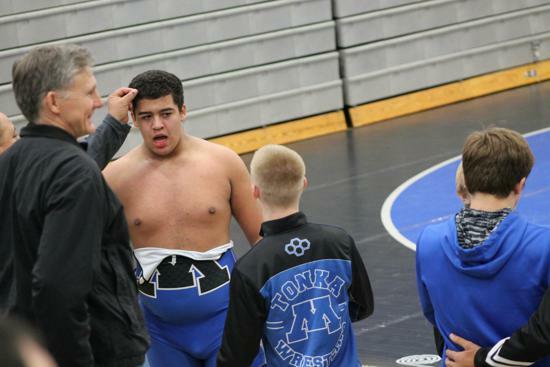 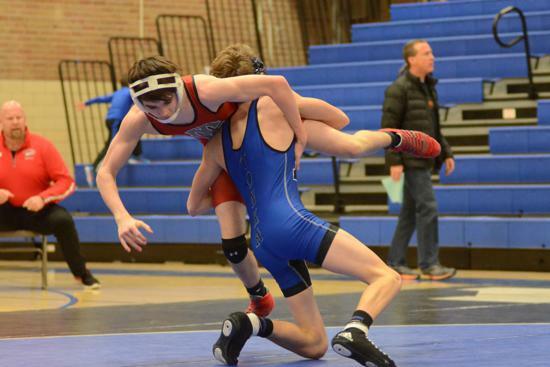 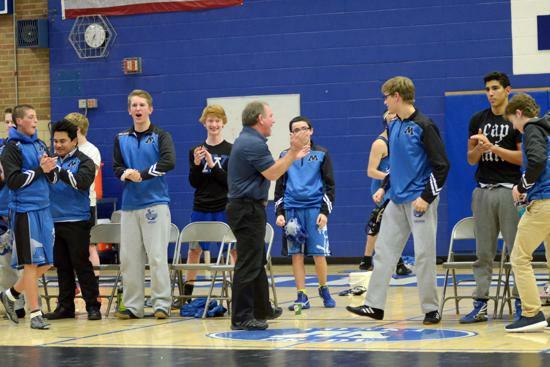 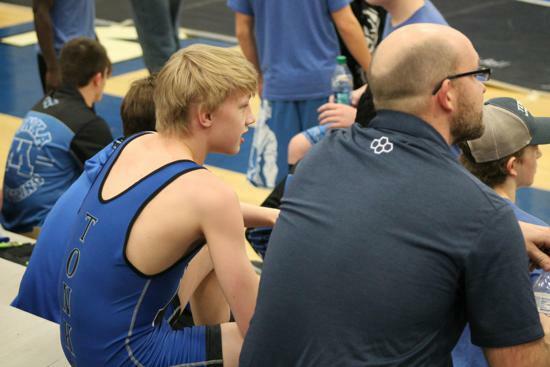 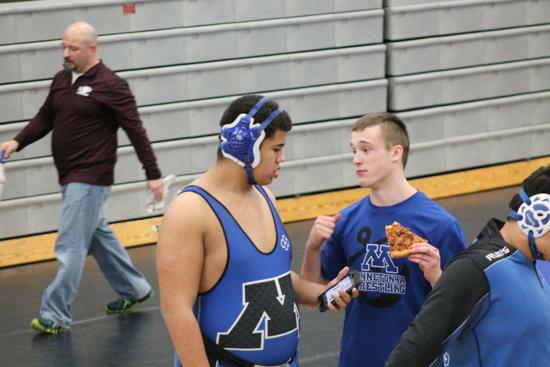 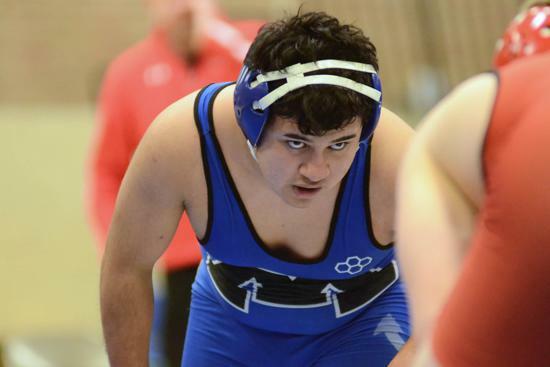 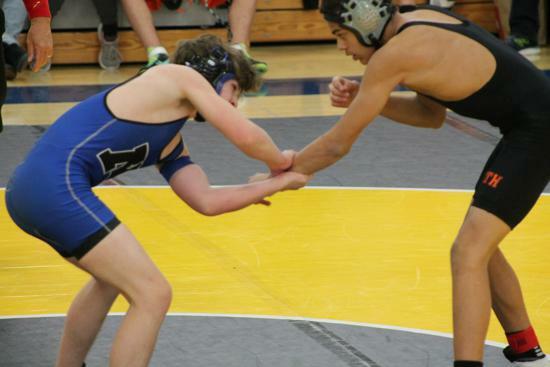 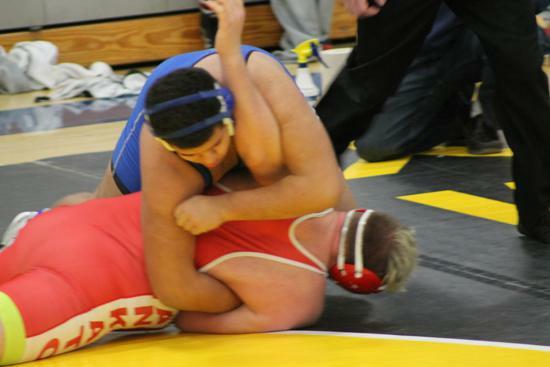 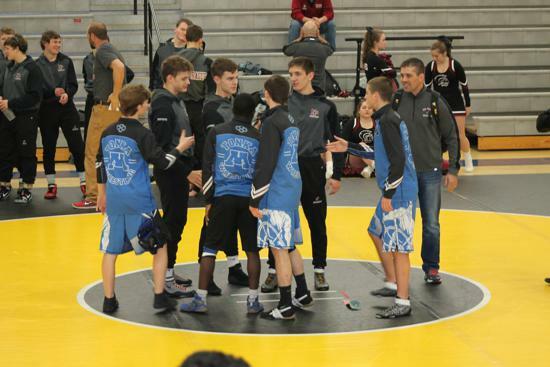 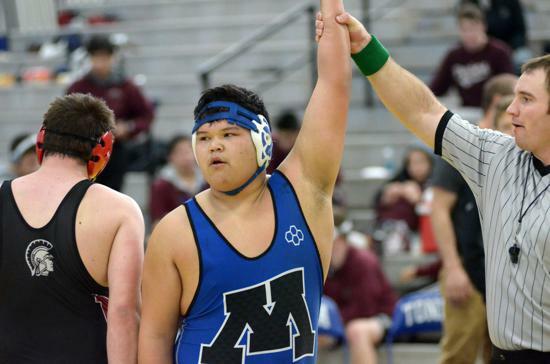 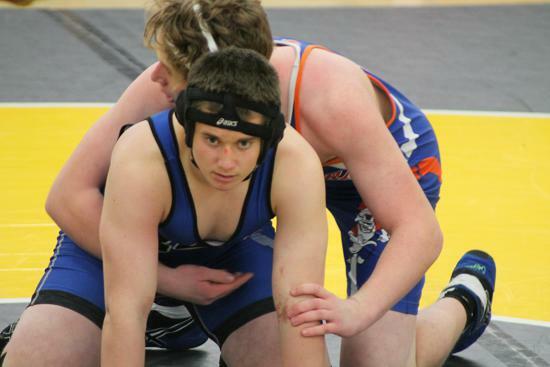 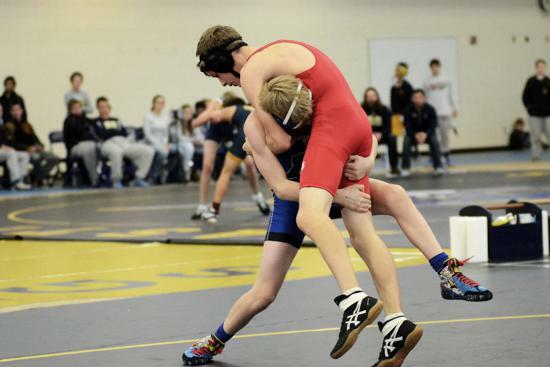 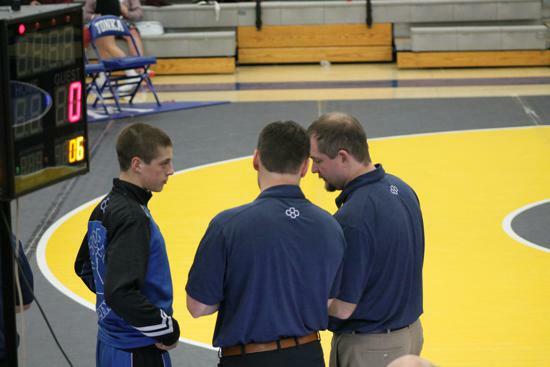 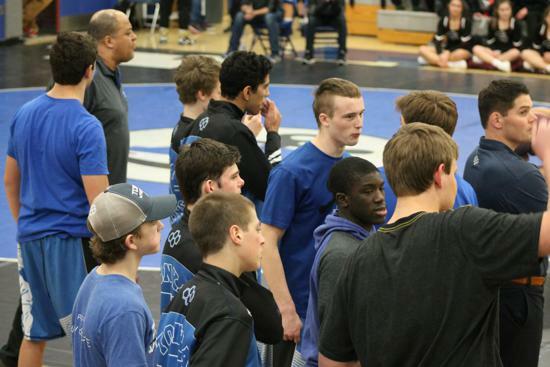 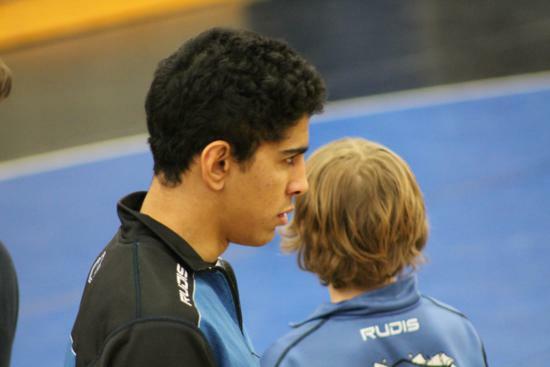 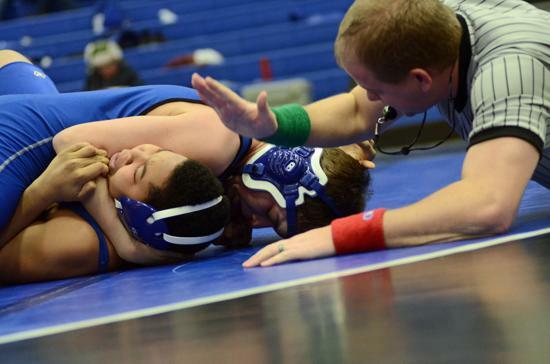 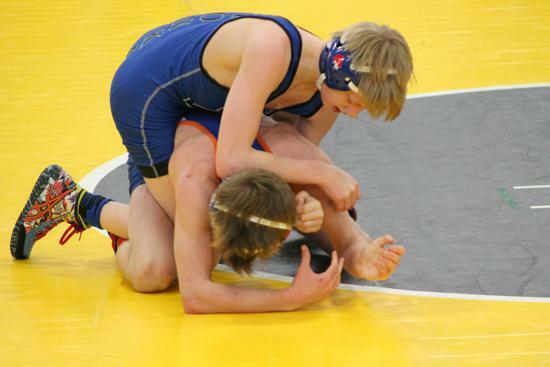 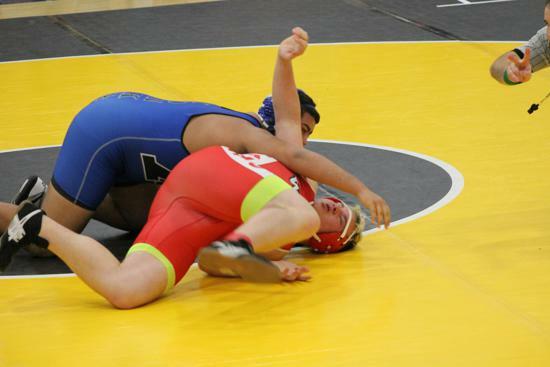 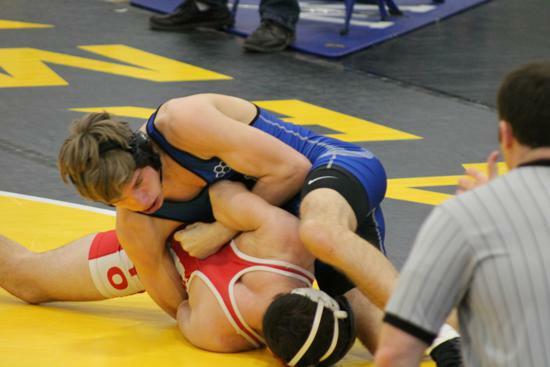 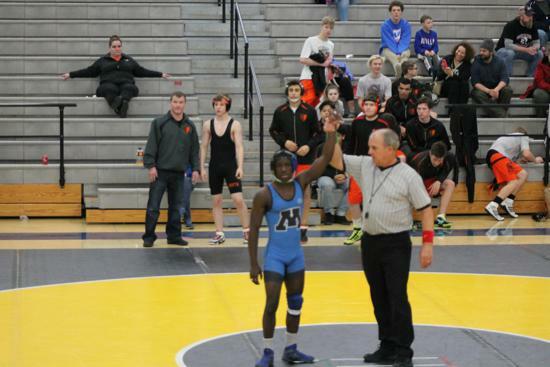 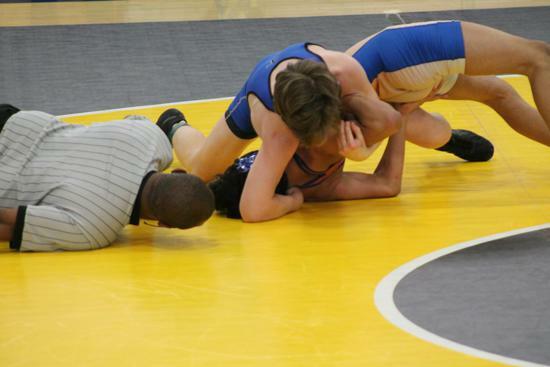 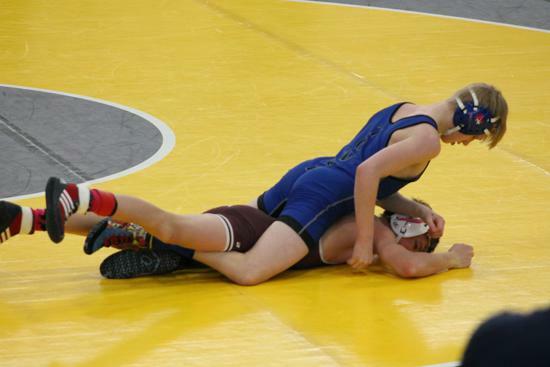 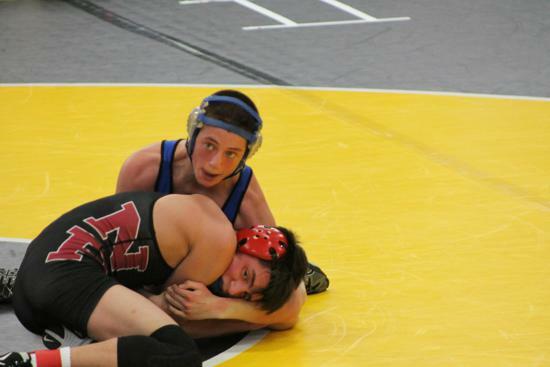 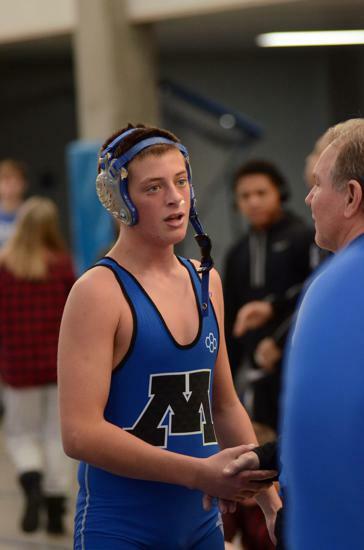 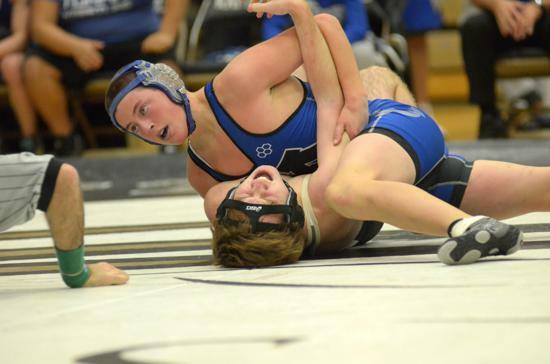 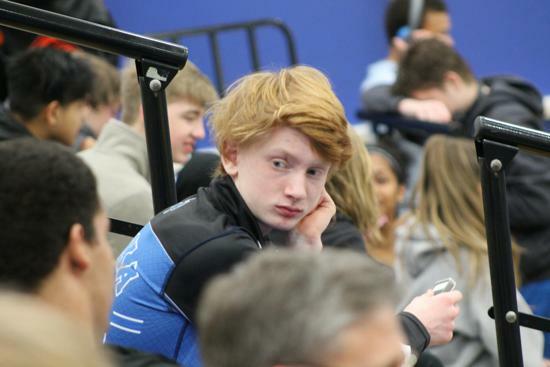 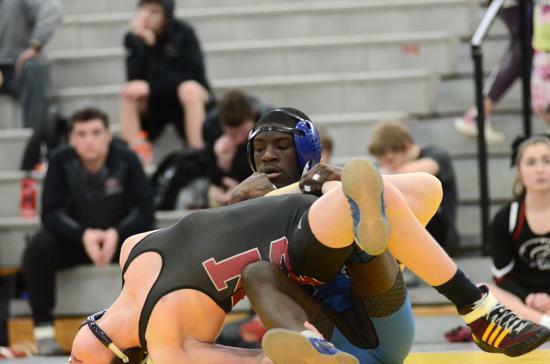 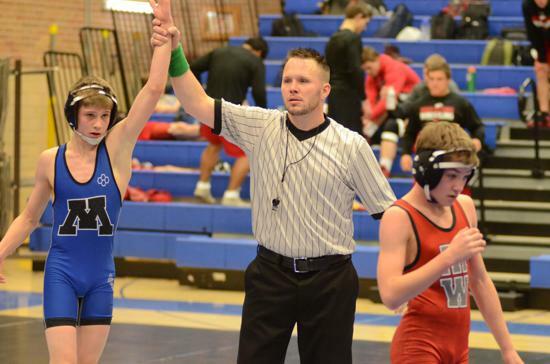 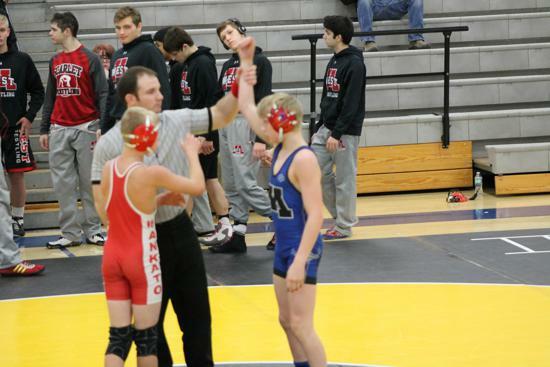 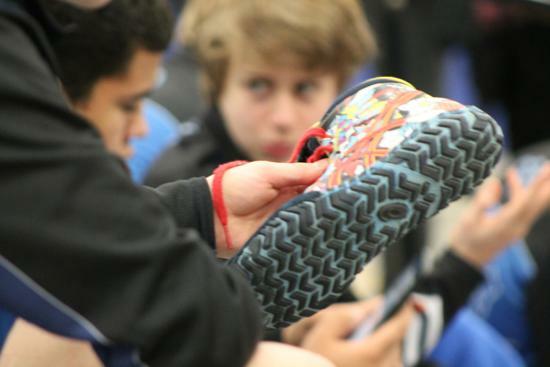 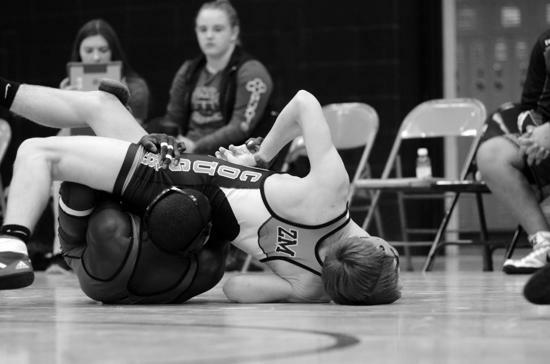 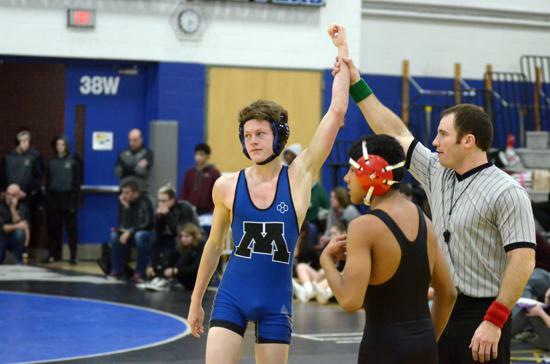 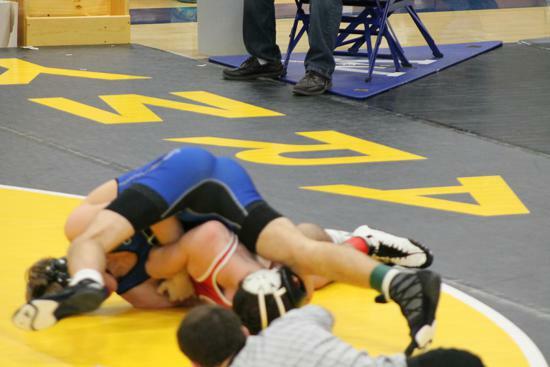 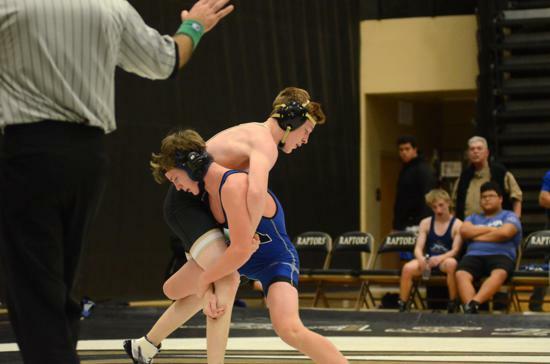 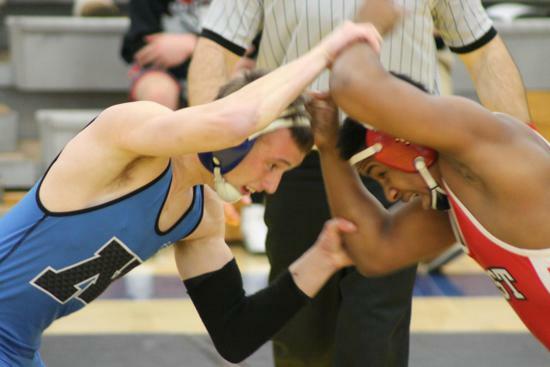 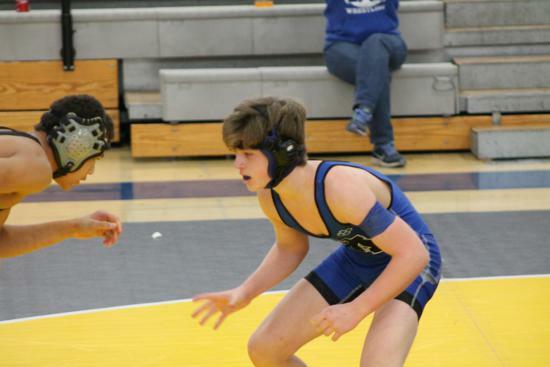 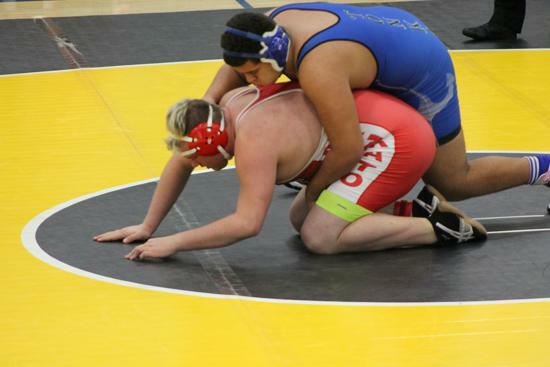 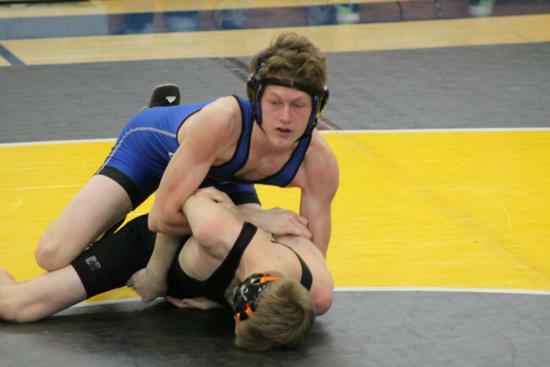 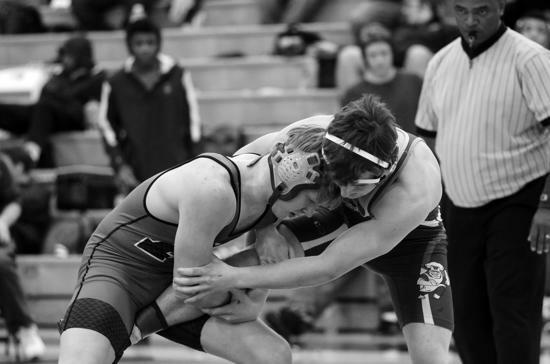 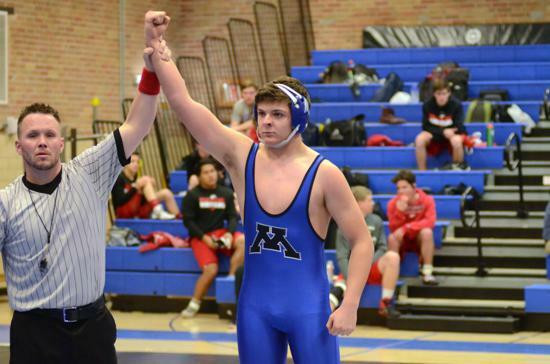 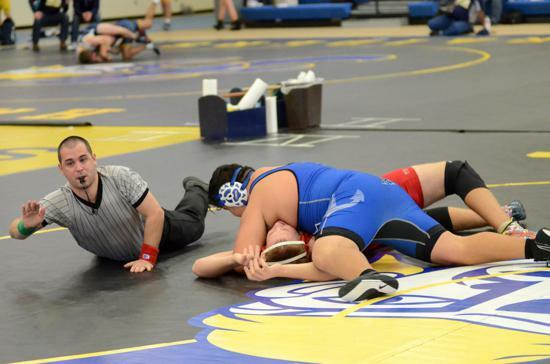 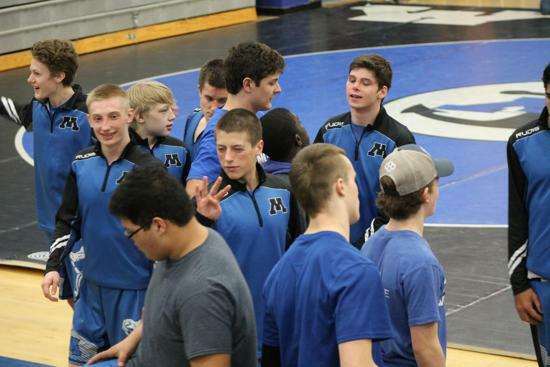 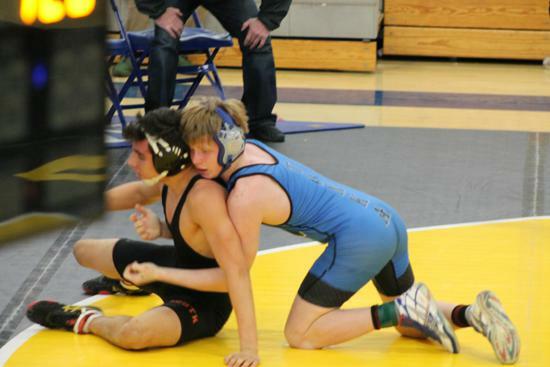 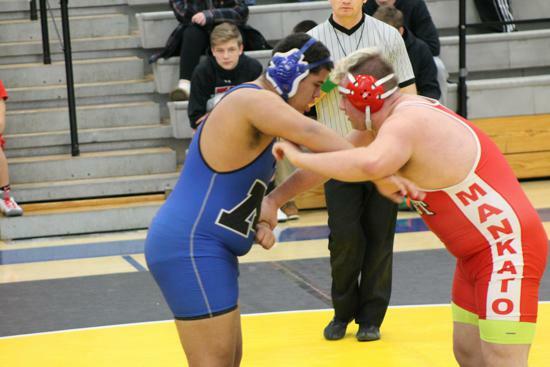 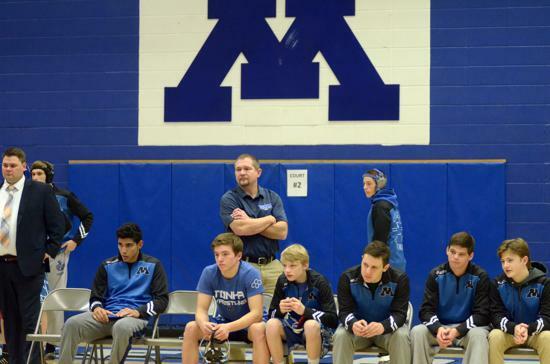 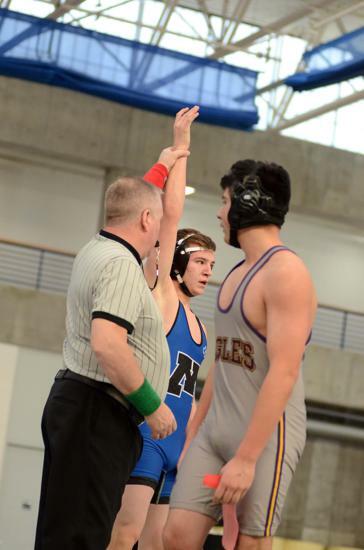 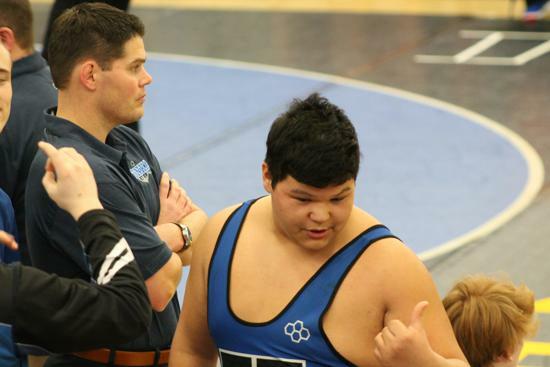 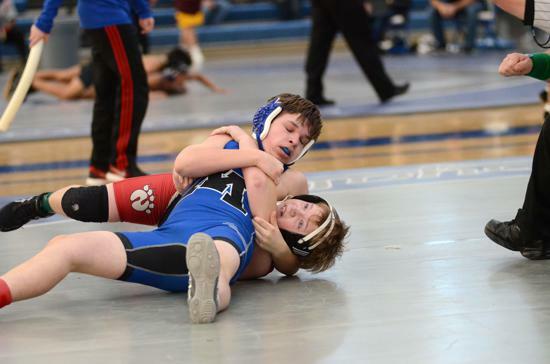 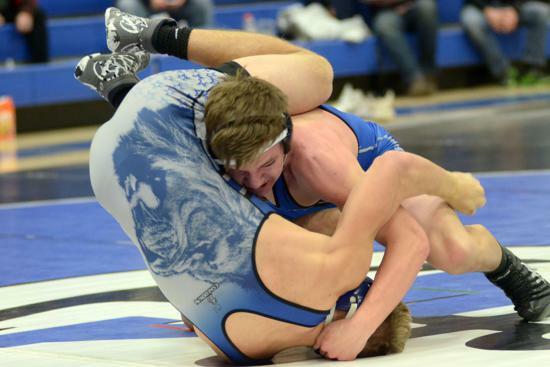 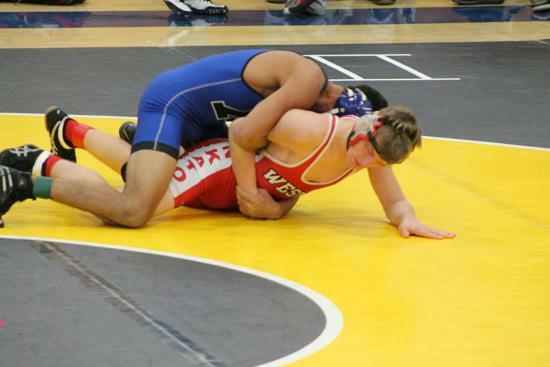 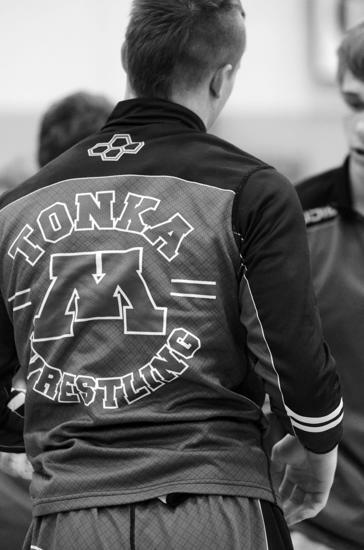 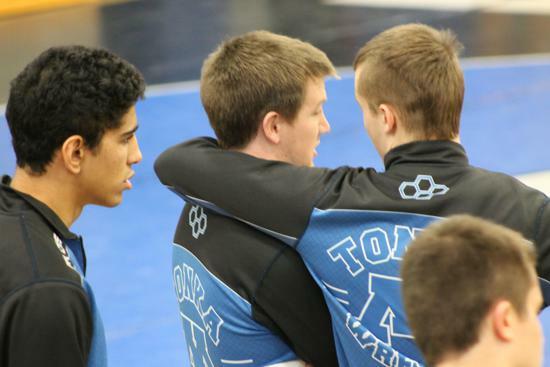 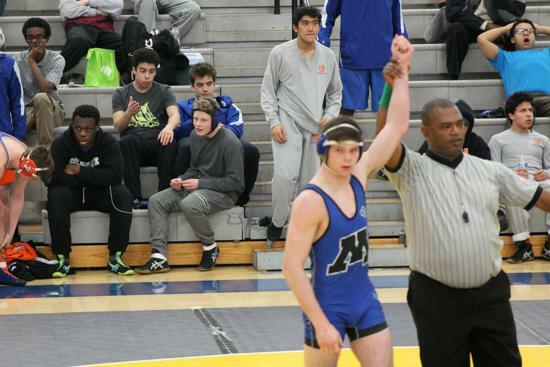 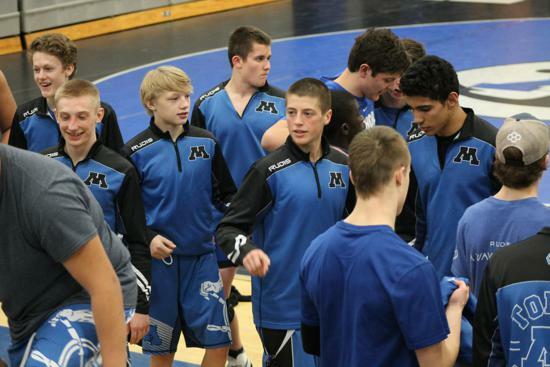 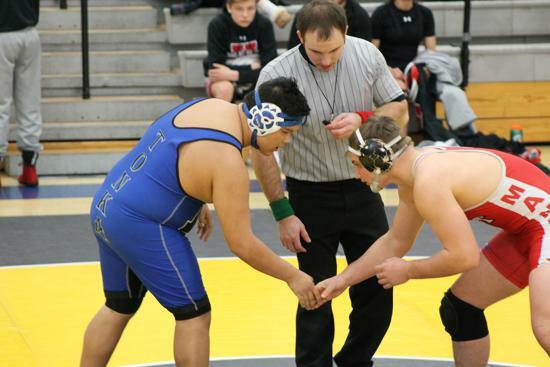 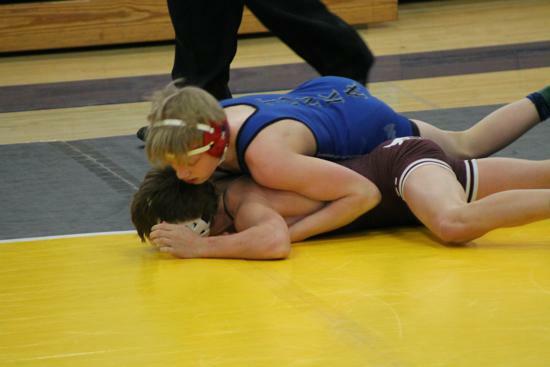 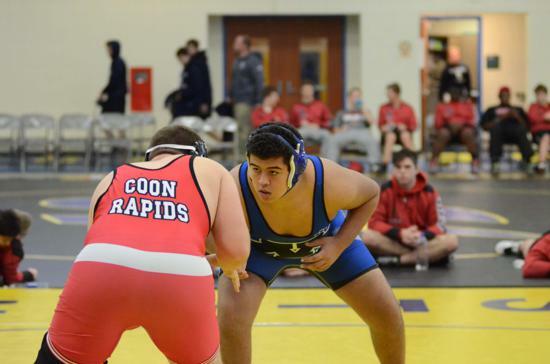 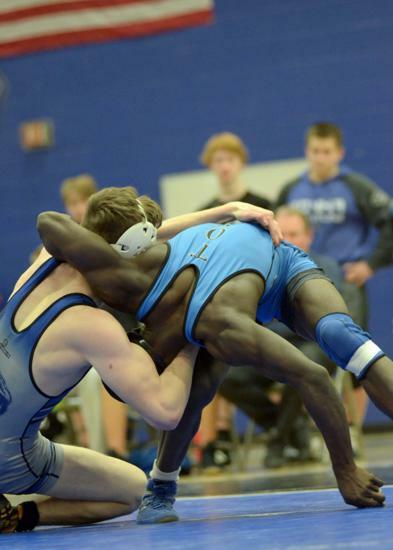 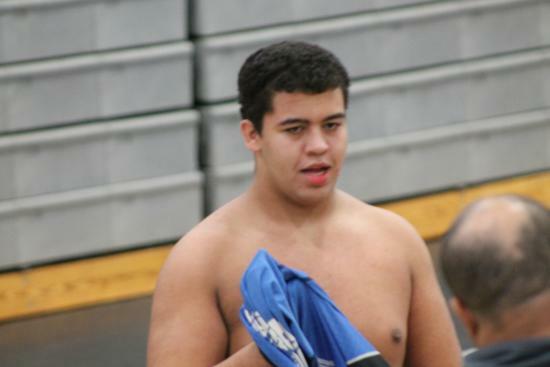 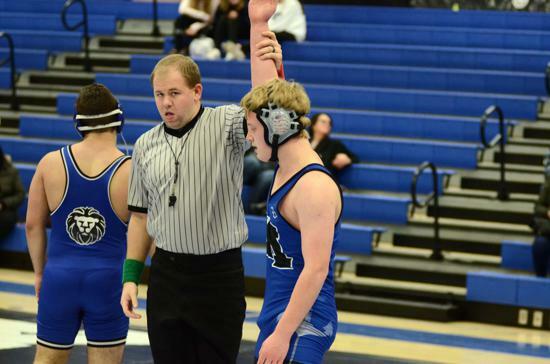 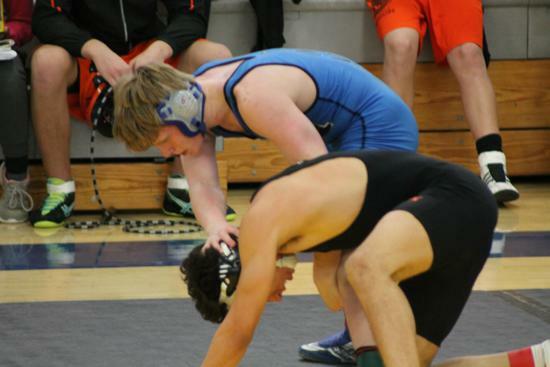 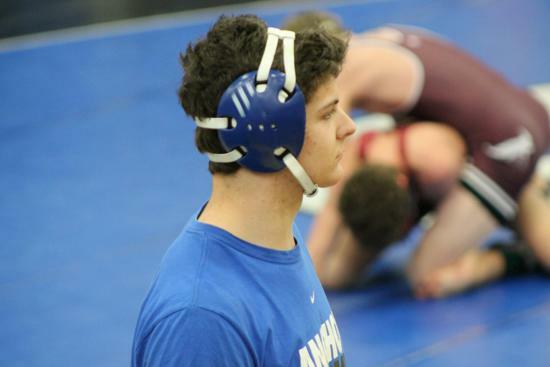 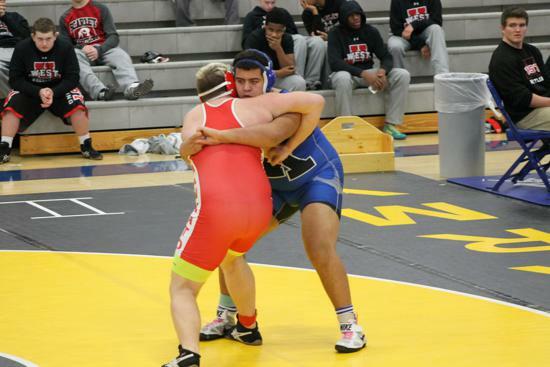 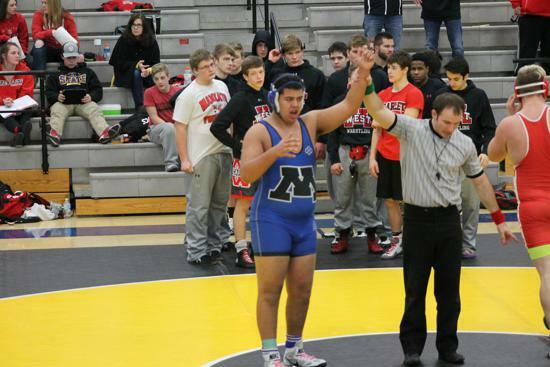 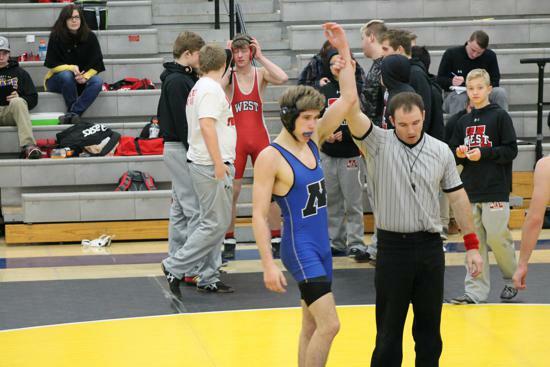 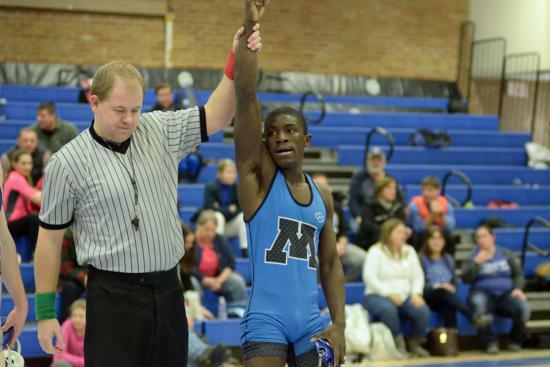 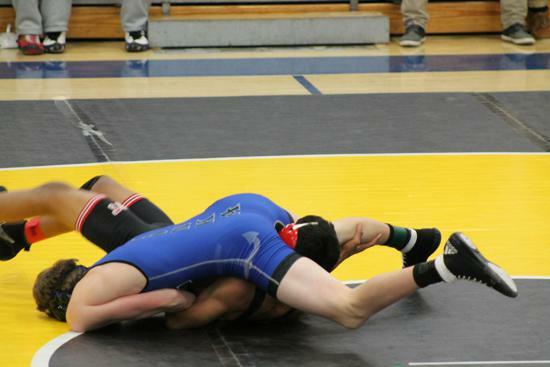 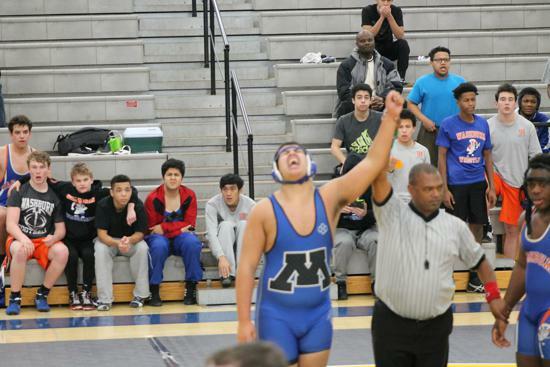 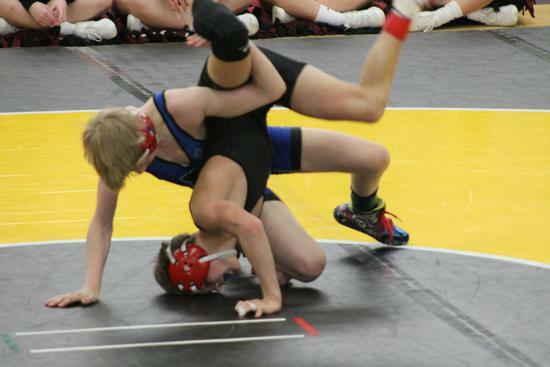 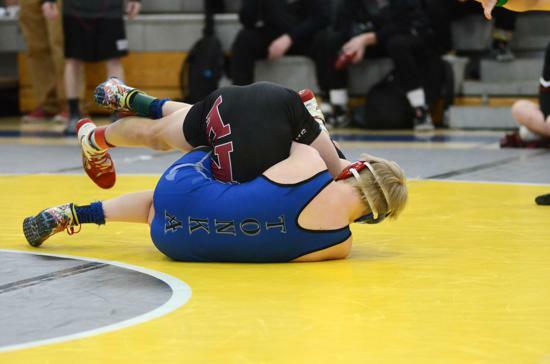 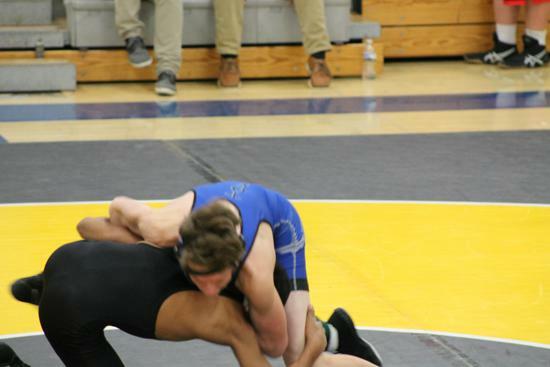 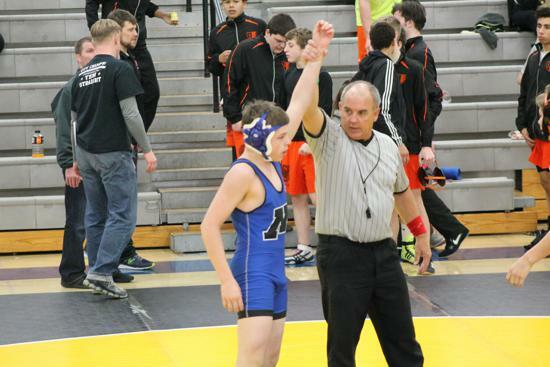 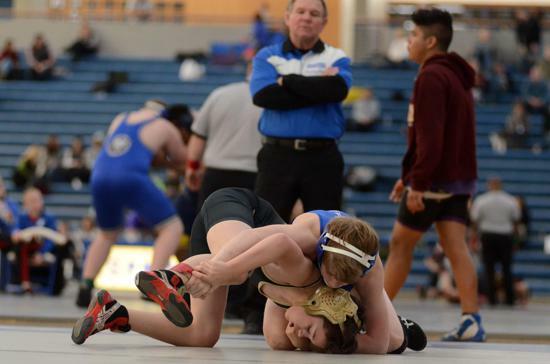 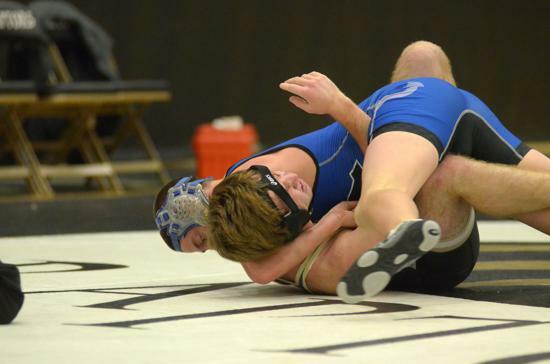 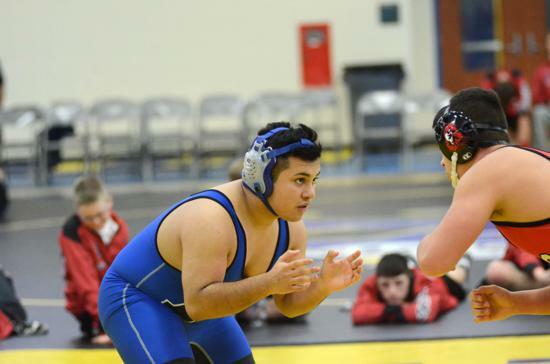 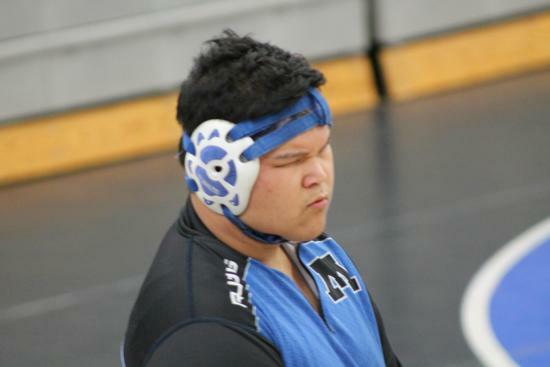 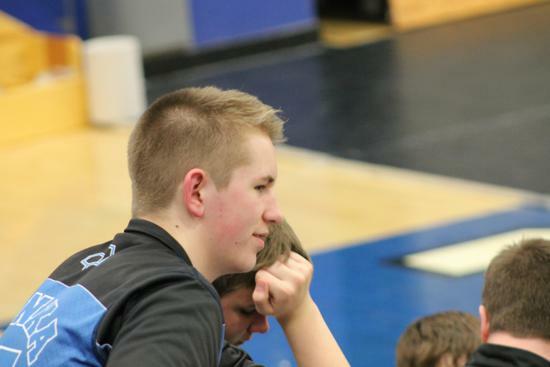 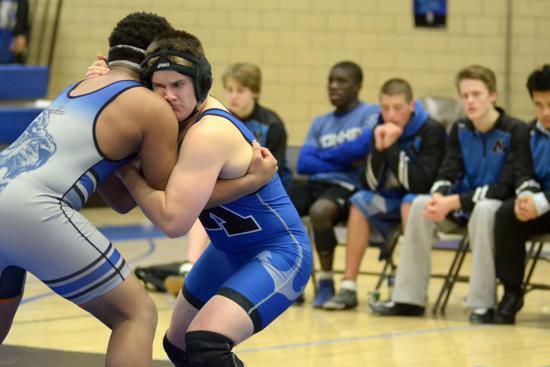 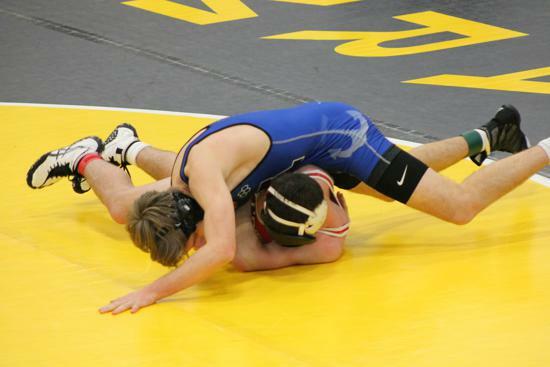 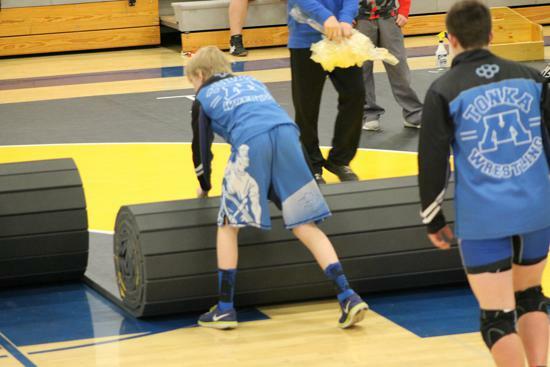 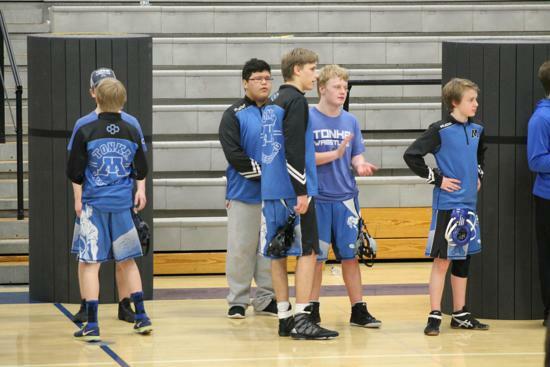 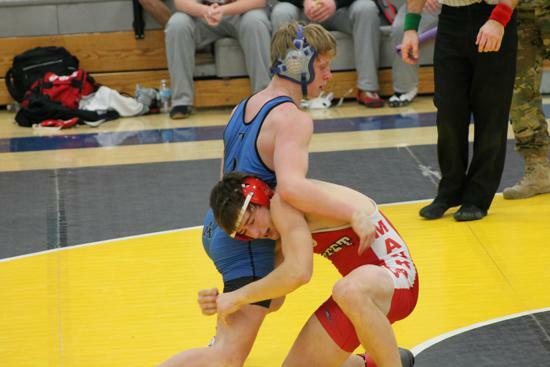 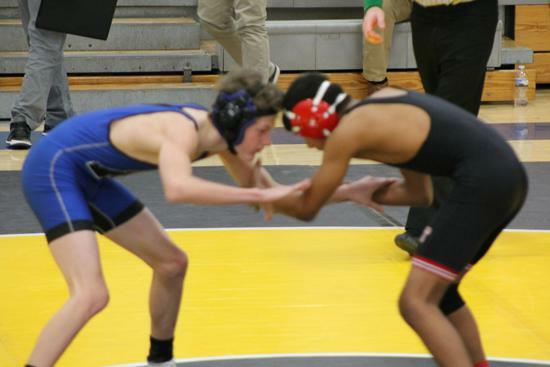 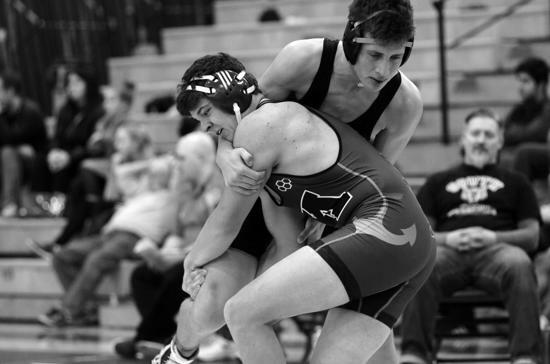 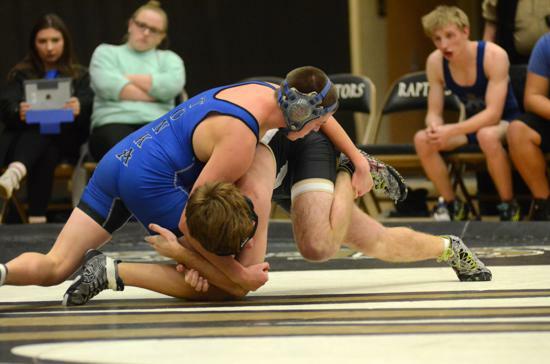 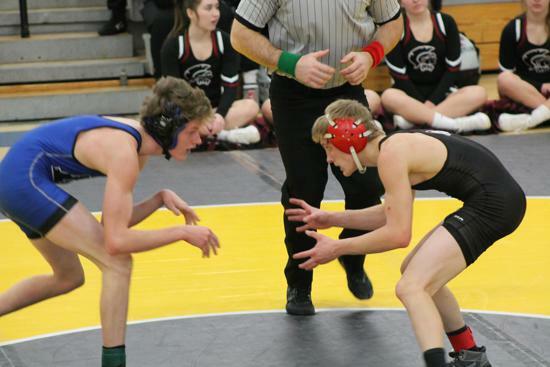 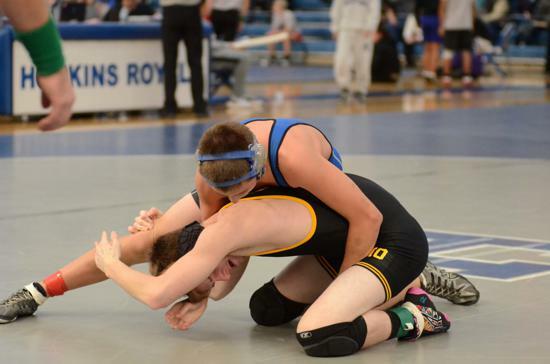 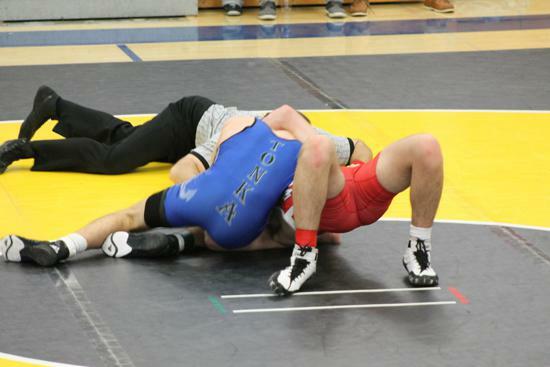 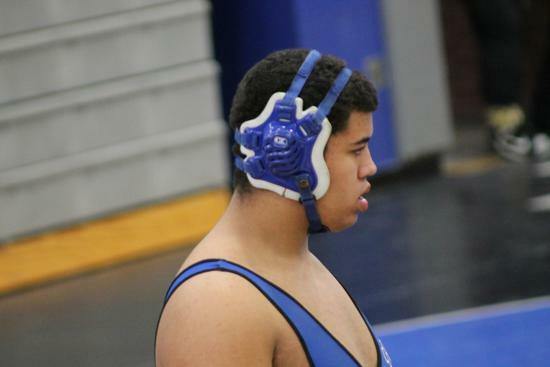 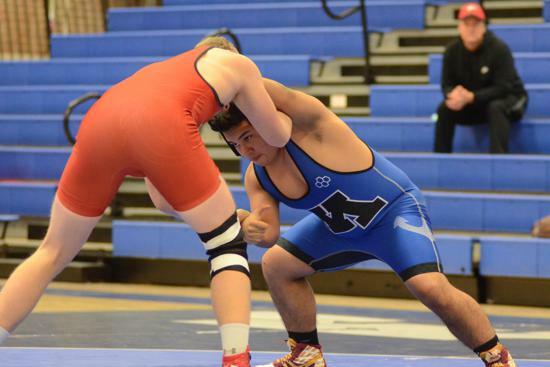 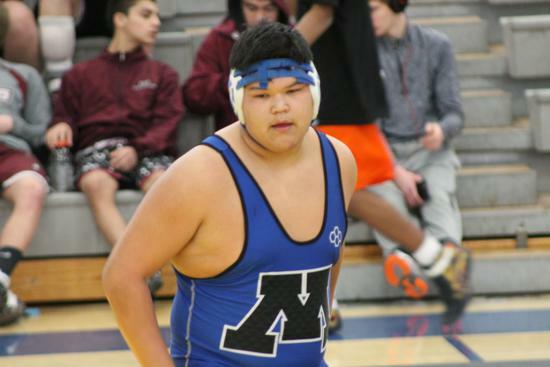 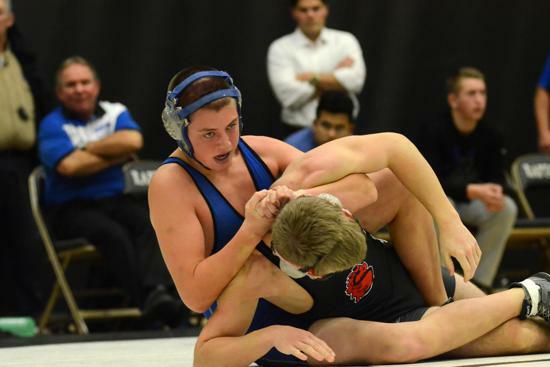 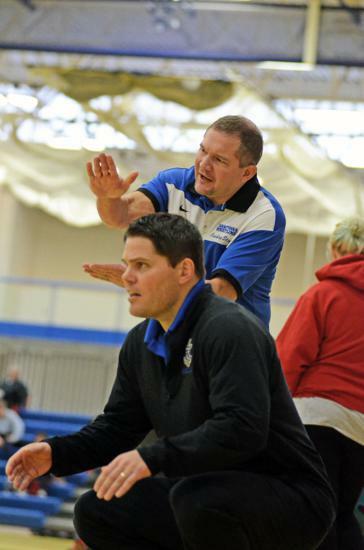 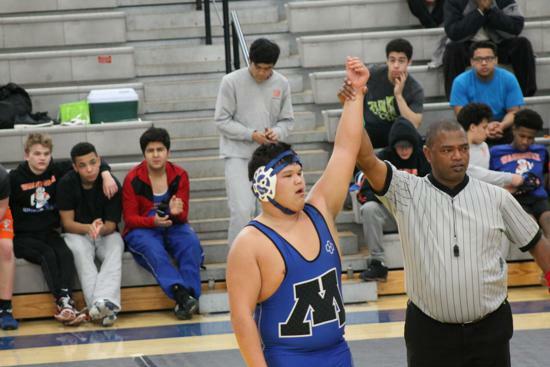 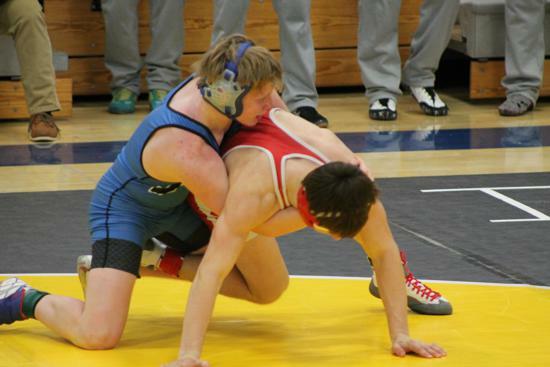 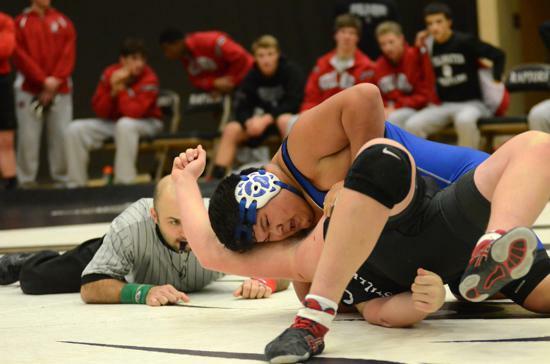 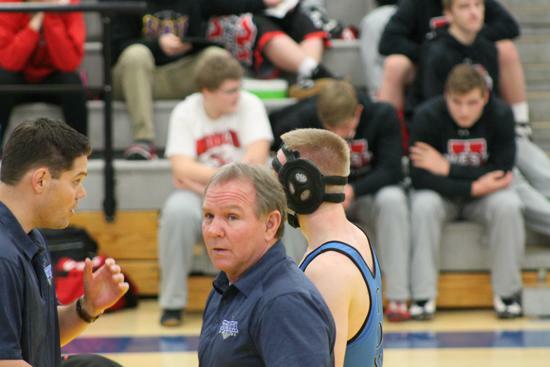 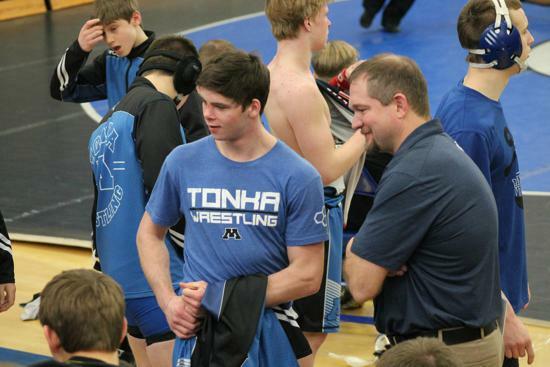 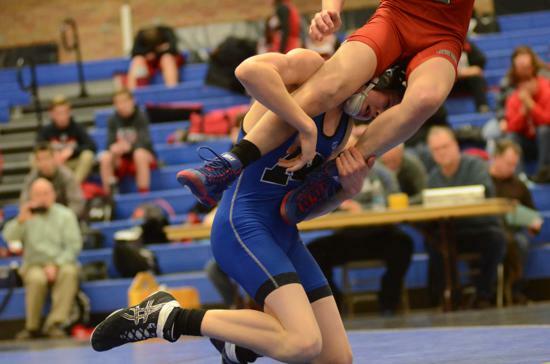 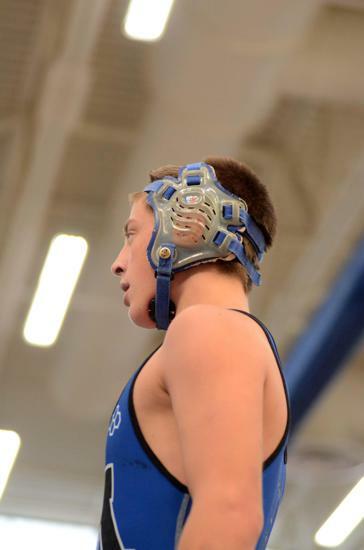 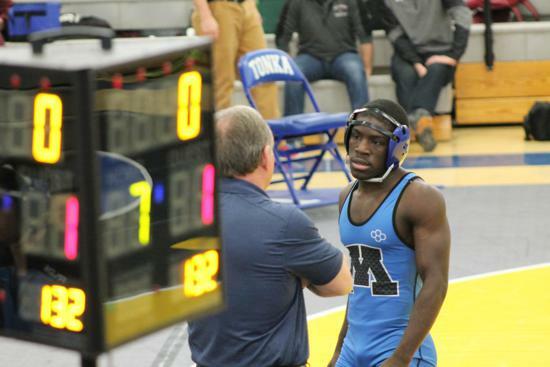 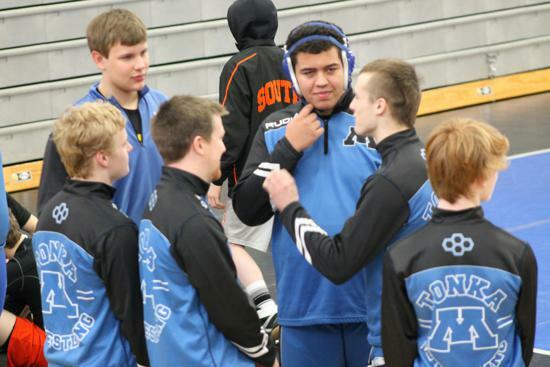 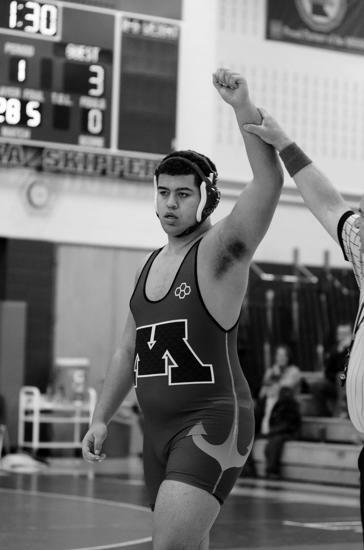 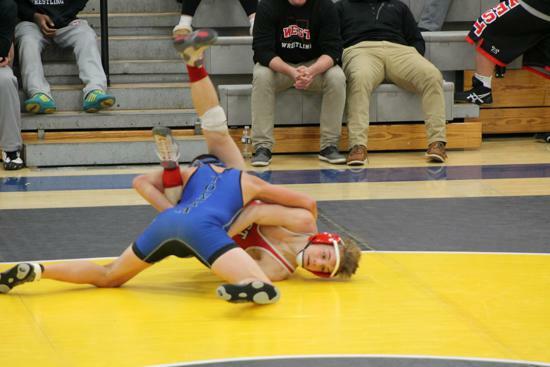 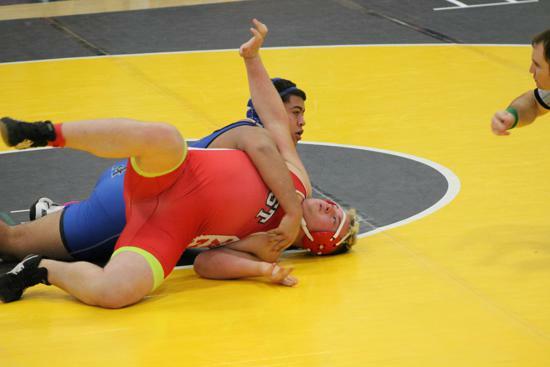 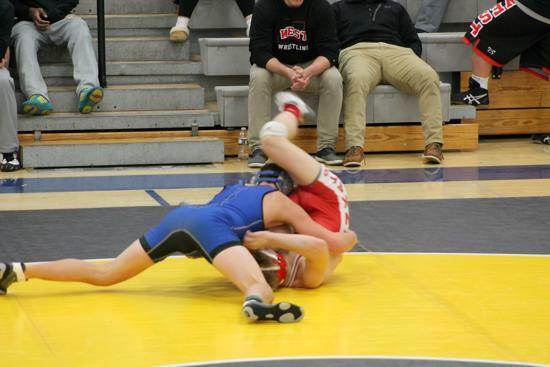 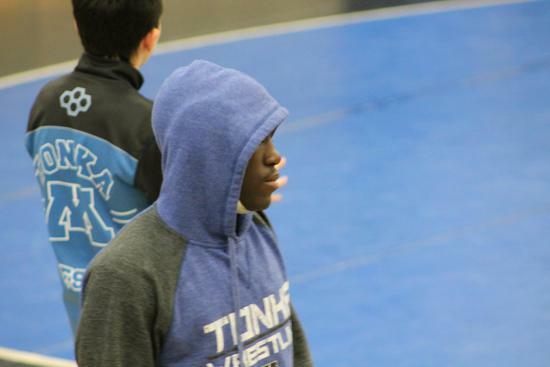 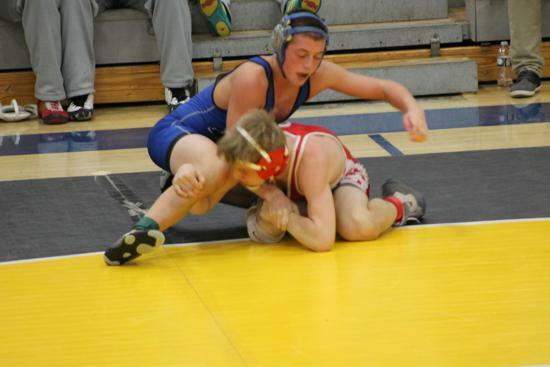 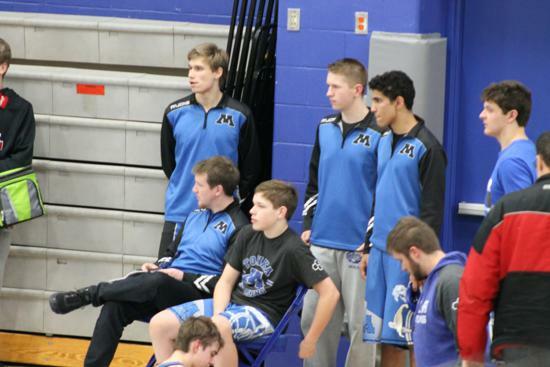 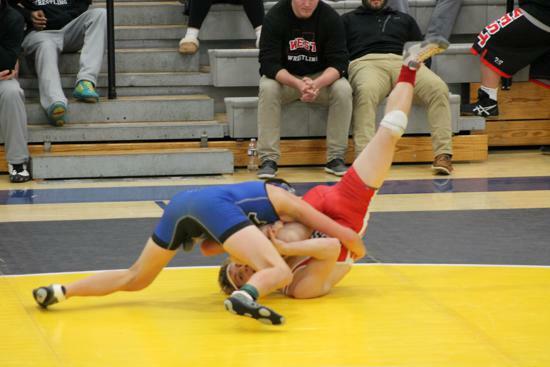 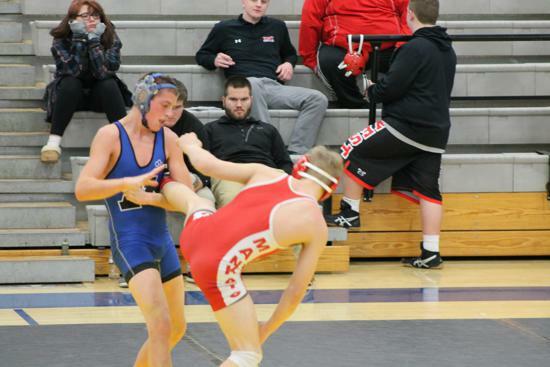 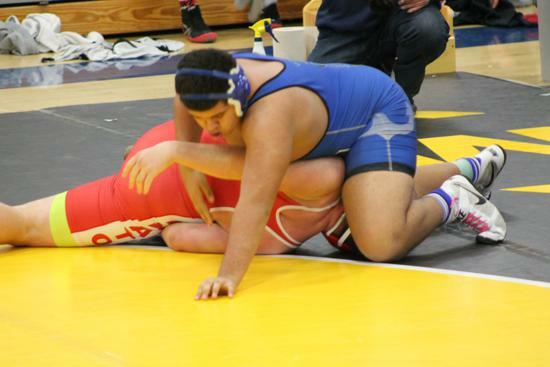 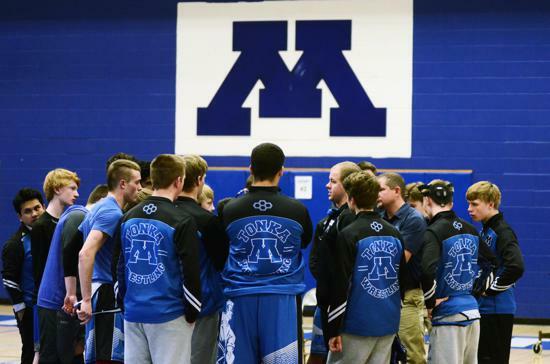 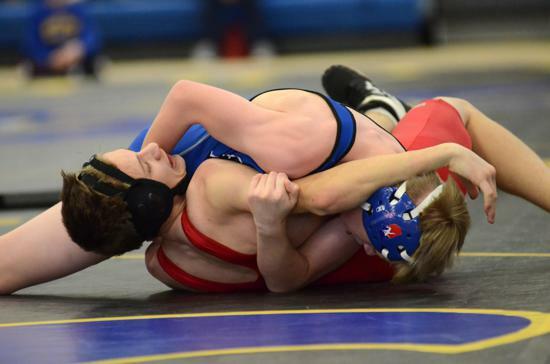 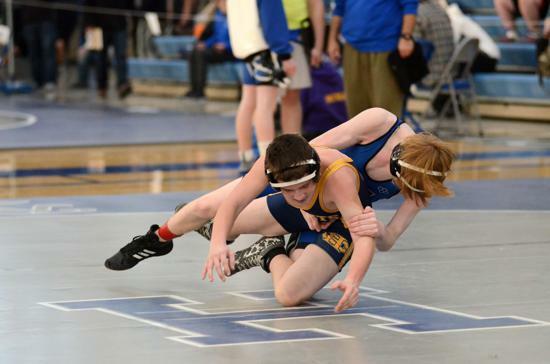 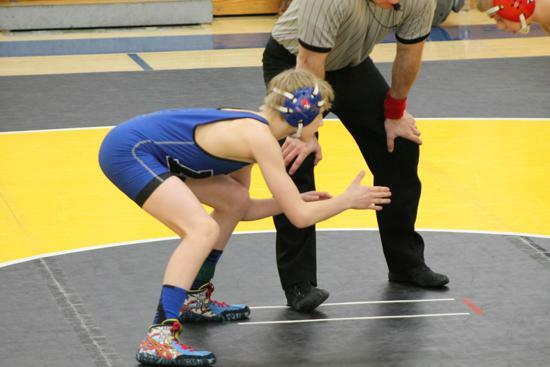 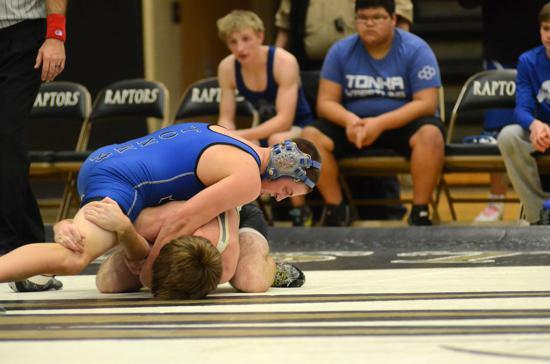 The Tonka Wrestlers battled hard on Saturday at Chanhassen with strong placings across the board. 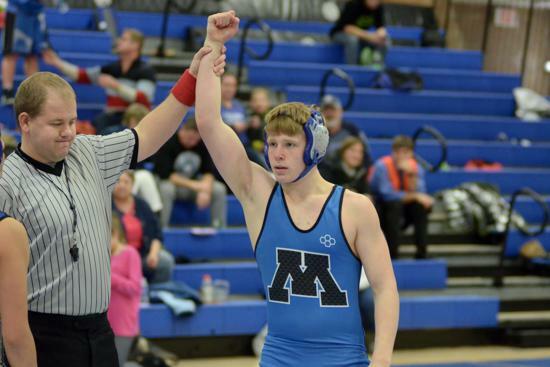 In the end, 4 wrestlers placed 2nd and qualified for the State Individual tournament starting on Friday, March 1 at the Xcel Center. 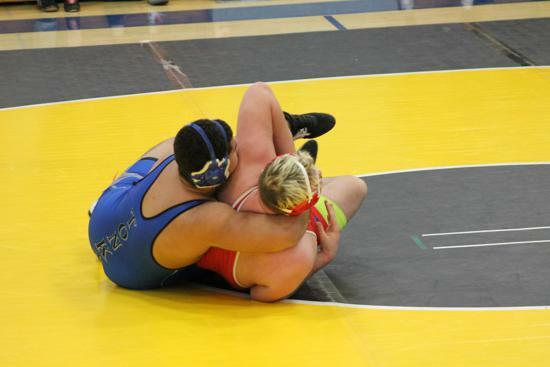 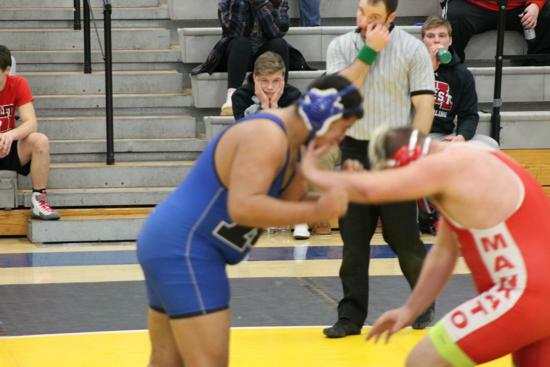 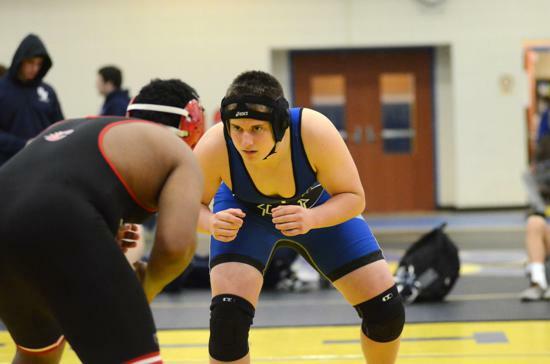 James Johnson capped a strong senior season at 285 with a True-second victory to seal his bid for State. 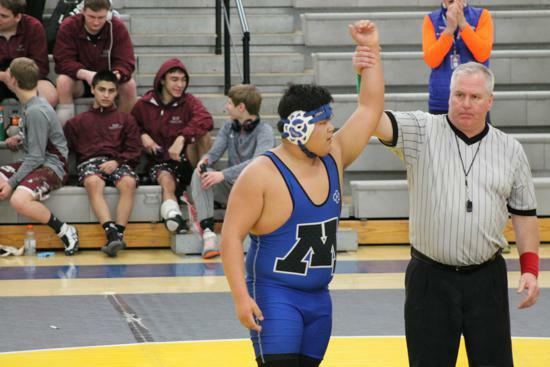 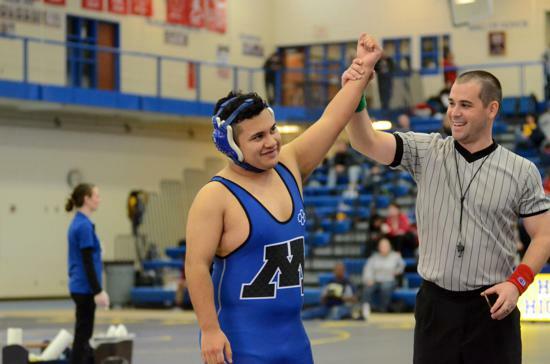 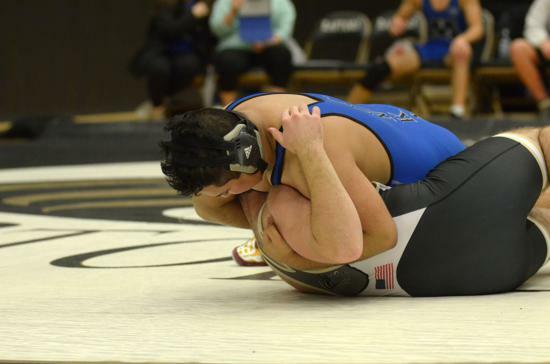 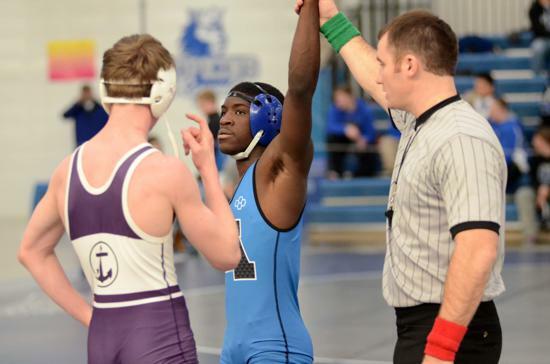 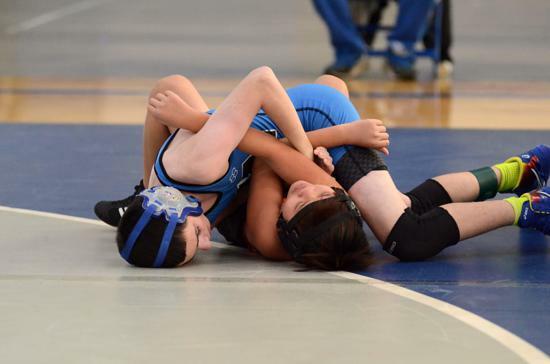 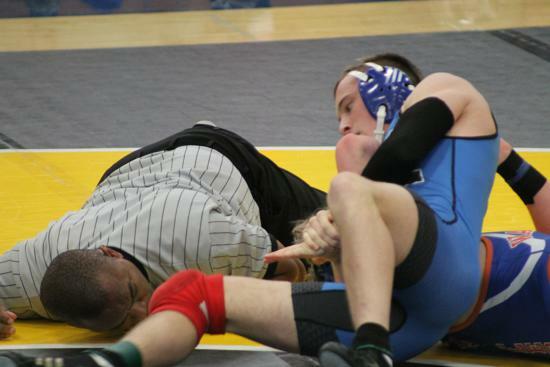 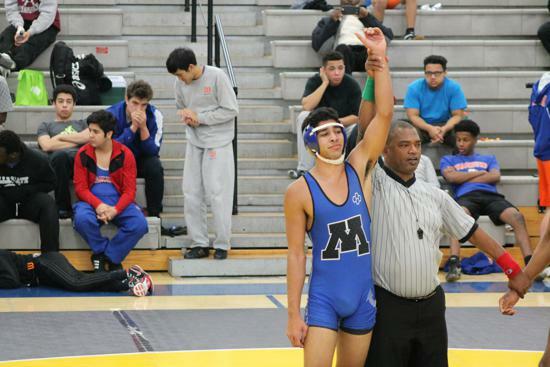 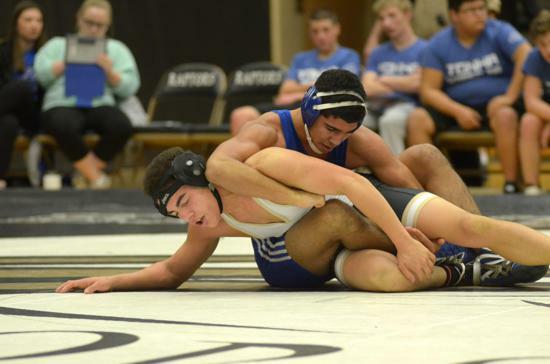 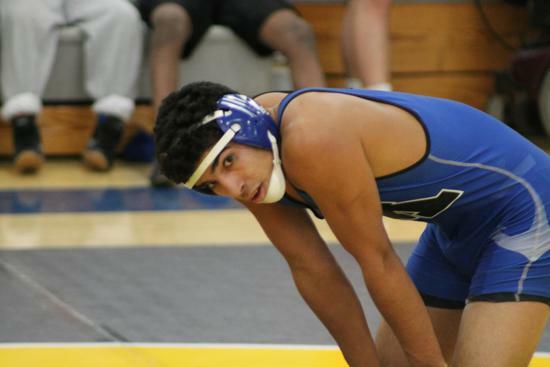 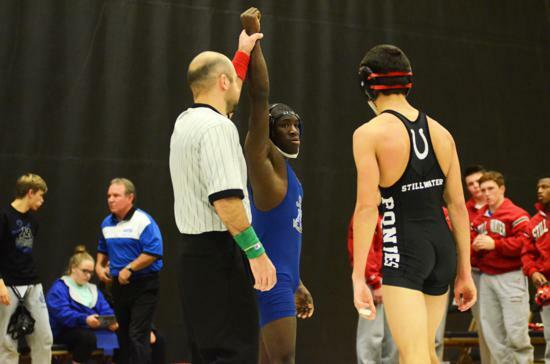 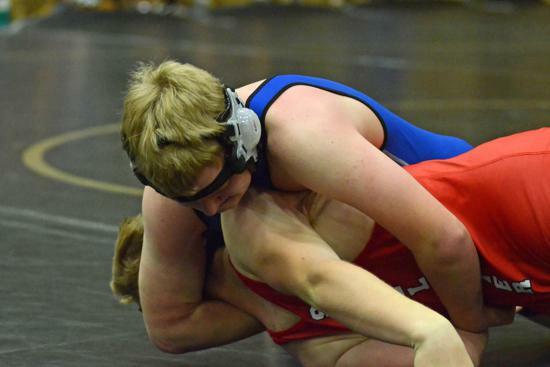 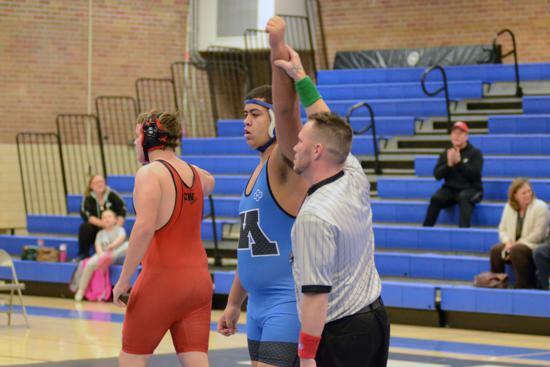 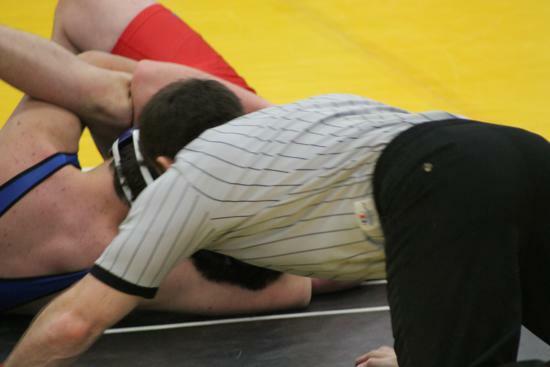 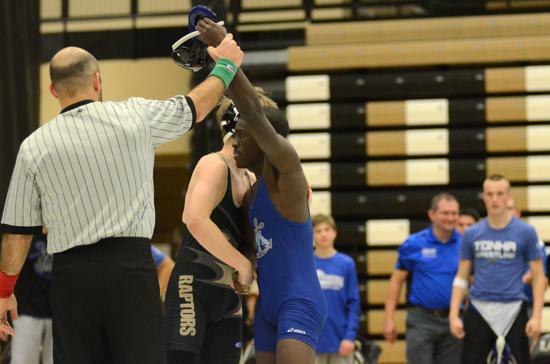 After suffering an injured elbow, he defaulted the championship, but came back with a first period pin in the True-second match. 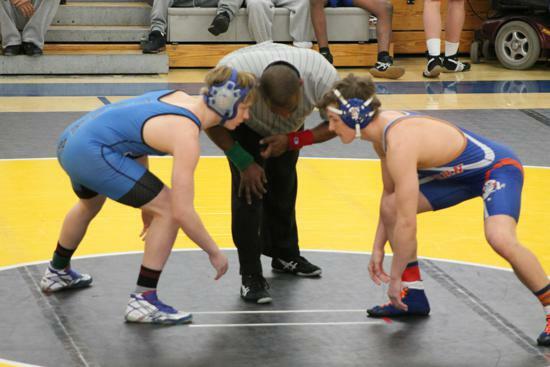 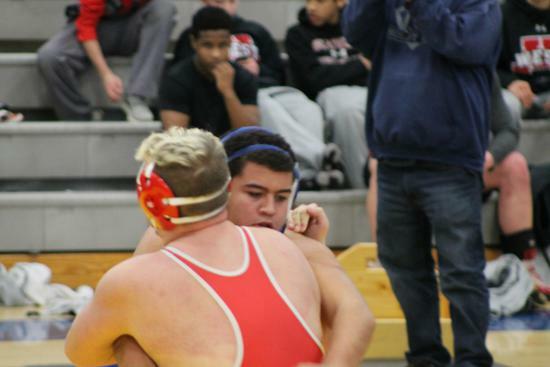 Sophomores Quinn Sell at 195 and Gabe Schumacher at 138 both faced strong opponents in their championship matches, losing close decisions. 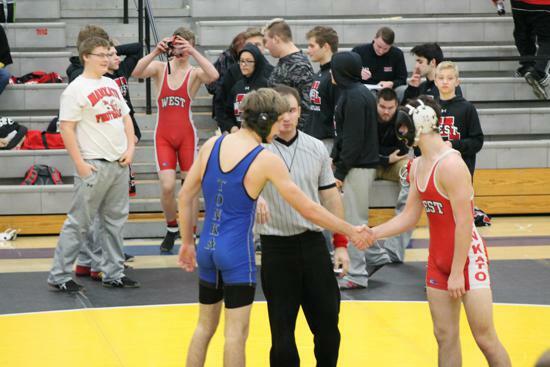 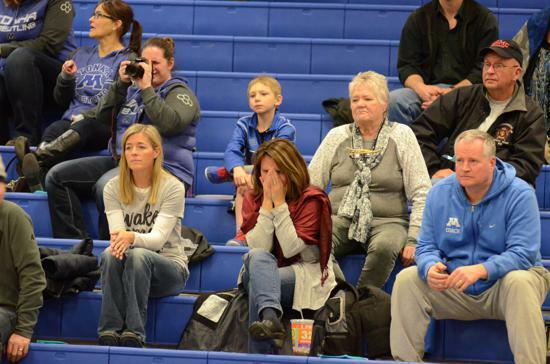 They kept up the drama by coming back to win their True-second matches by close decisions. 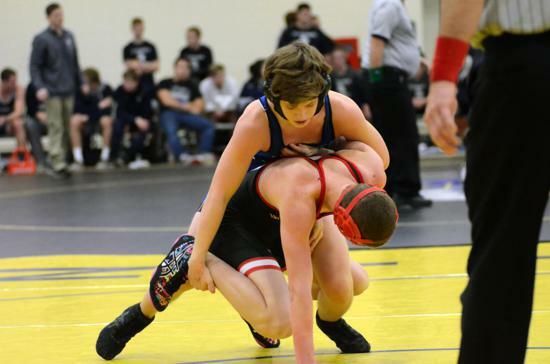 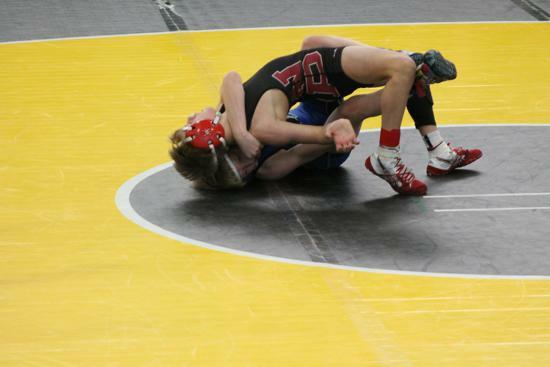 Freshman Peter Barrett at 106 wrestled strong in his finals match, losing 6-1. 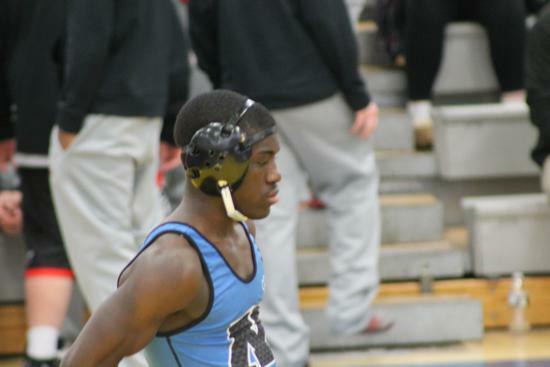 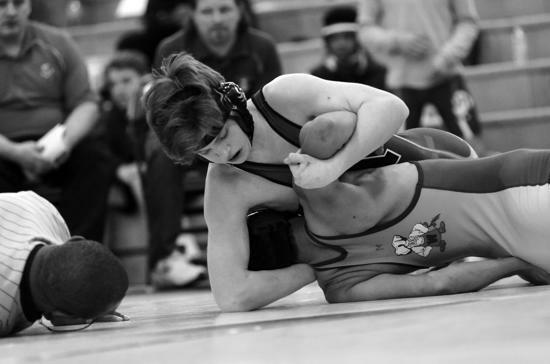 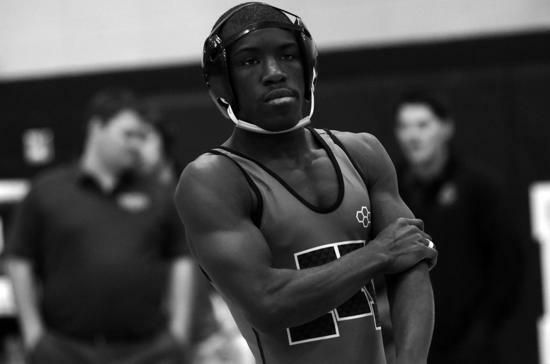 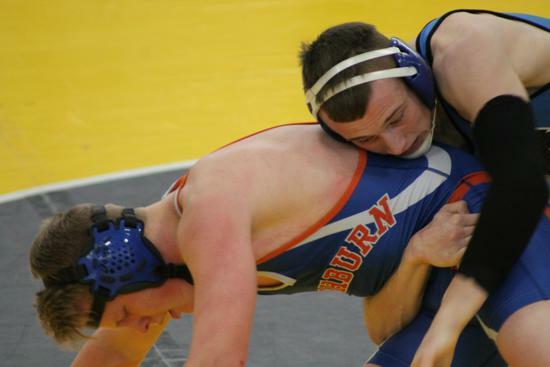 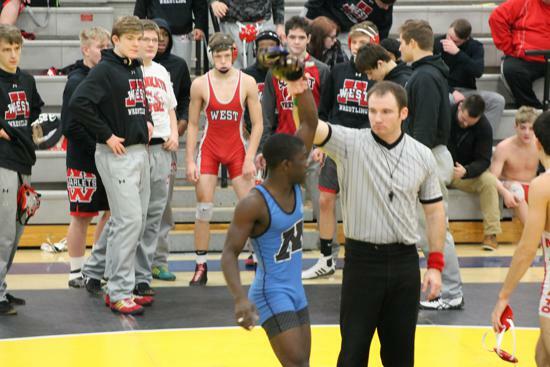 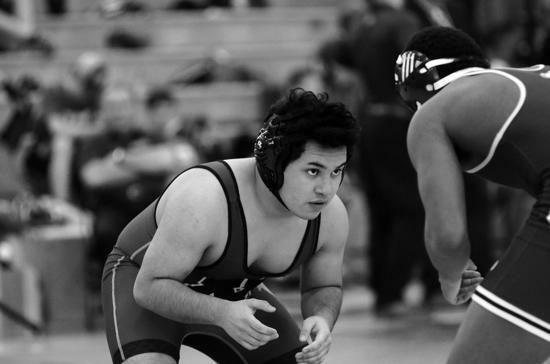 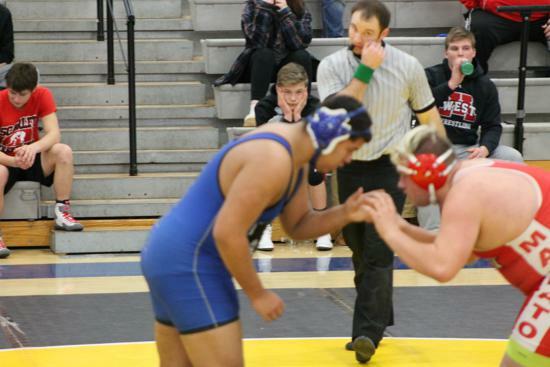 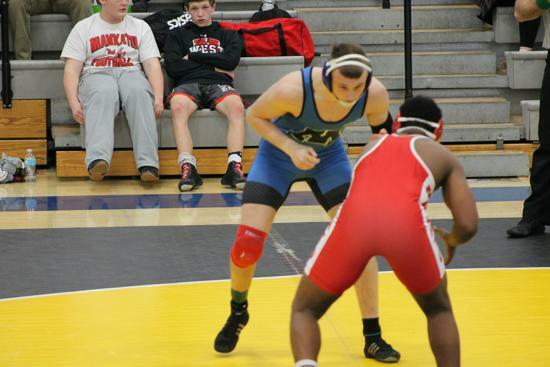 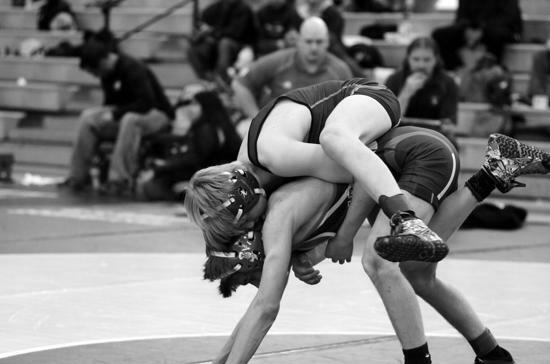 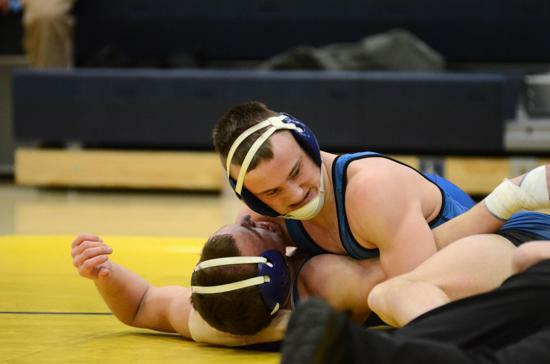 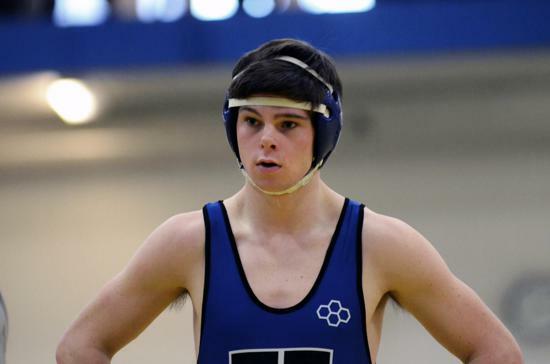 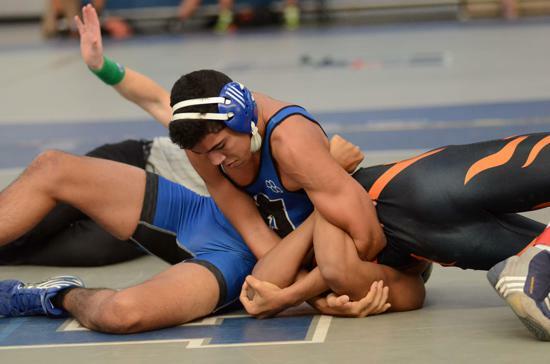 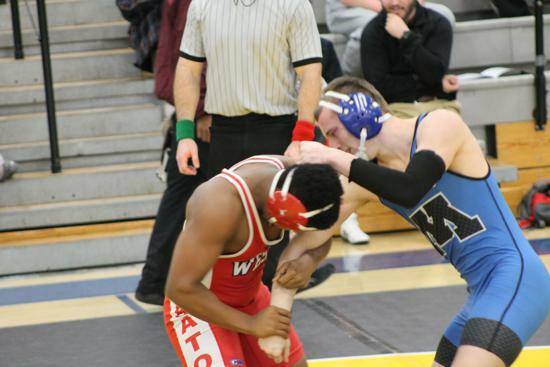 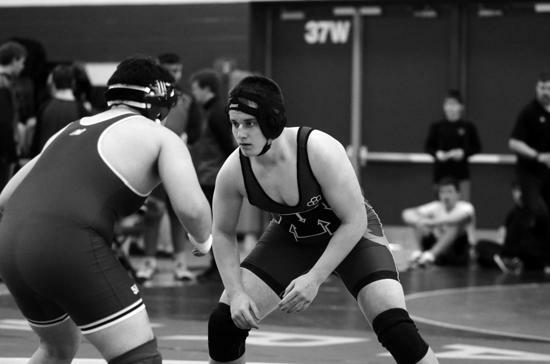 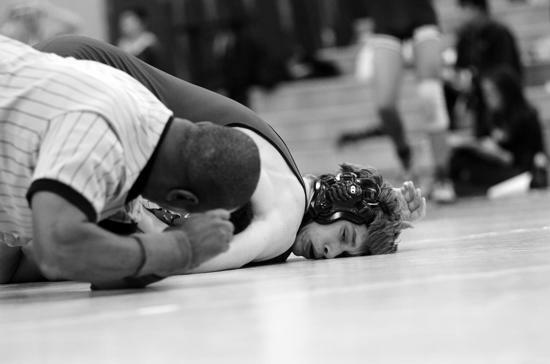 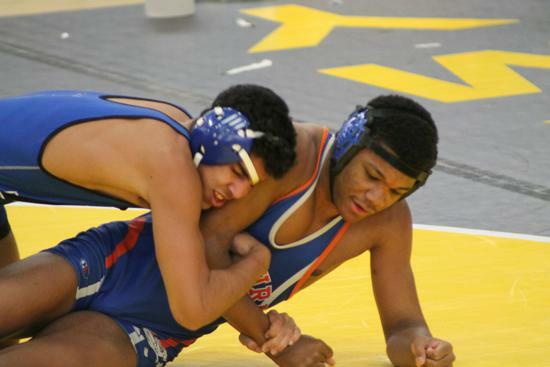 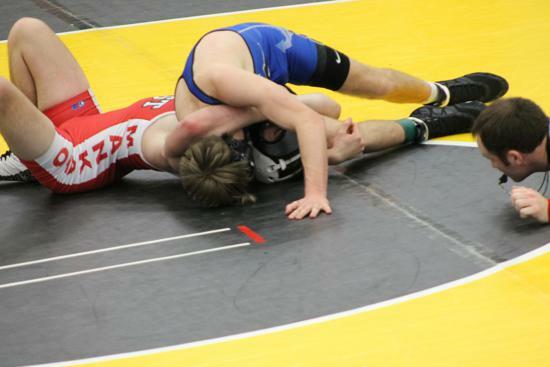 He earned his bid to the State tournament by having beaten the 3rd place wrestler in the Semi-finals. 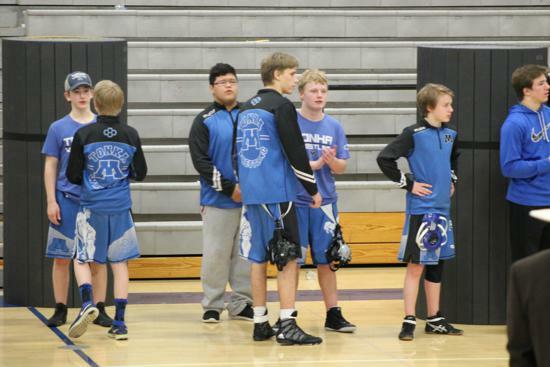 The rest of the team made strong finishes. 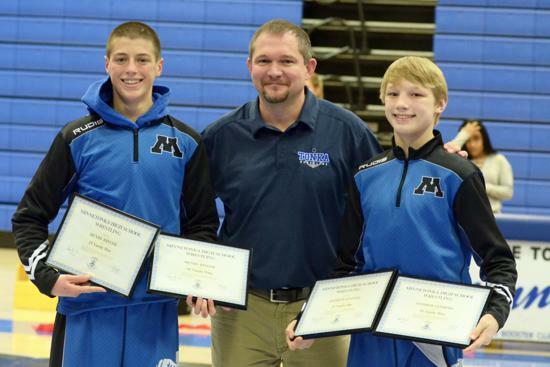 Jack Bricker, Tyler McReavey and Dom Scatena finished 3rd. 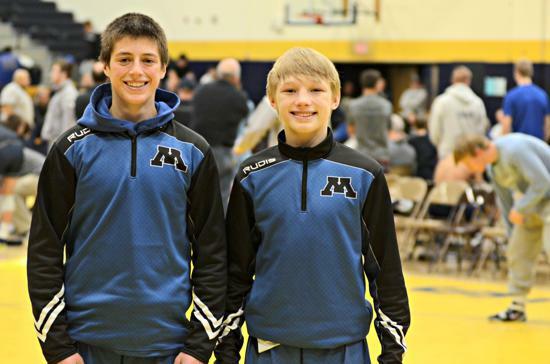 Alex Towey, Ethan Sandum and Dylan Pitt finished 4th. 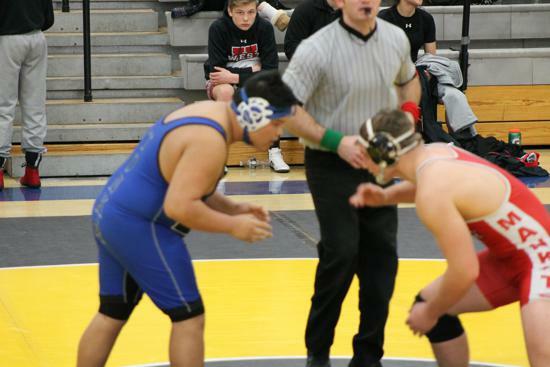 Jake McAnnly came in 5th and Angel Casallas didn't place. 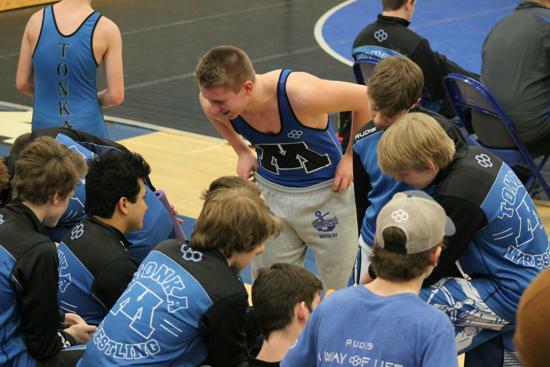 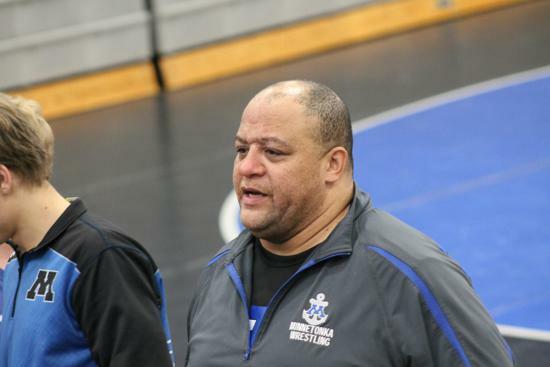 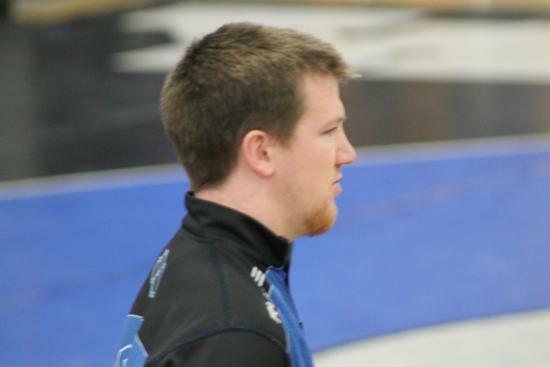 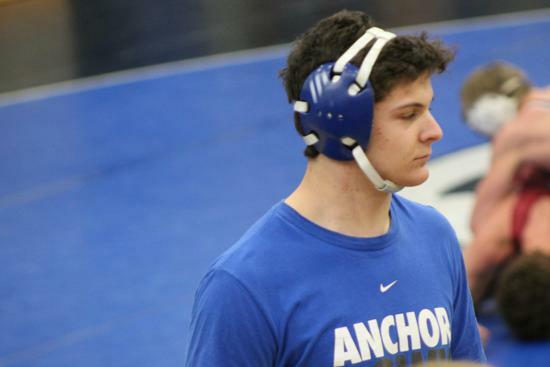 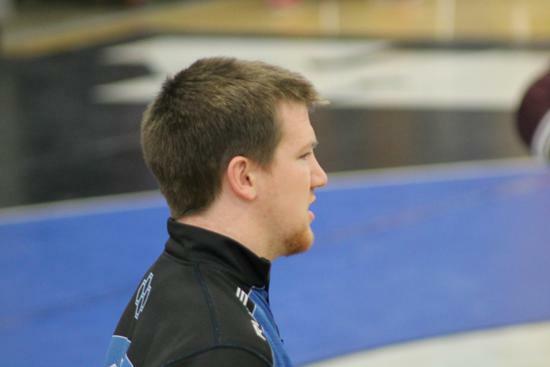 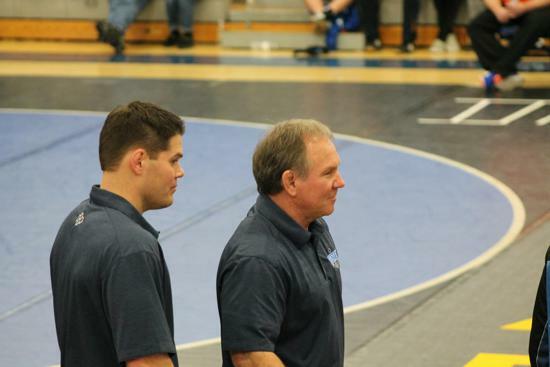 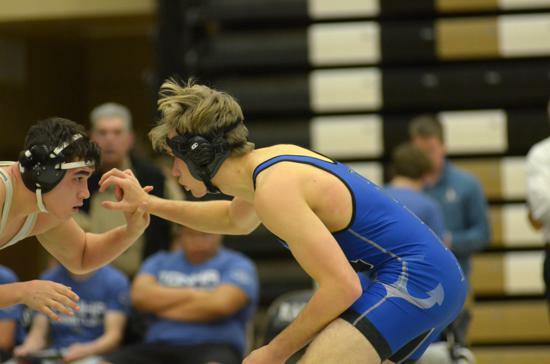 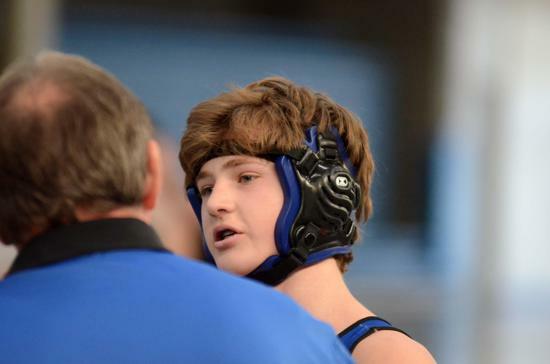 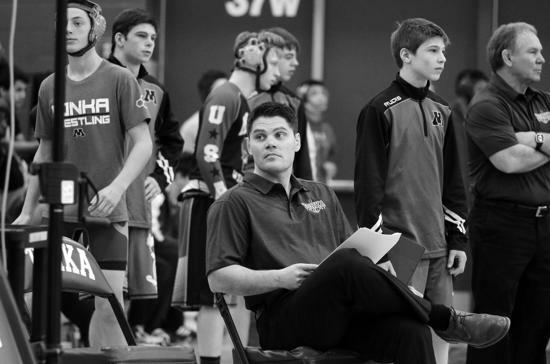 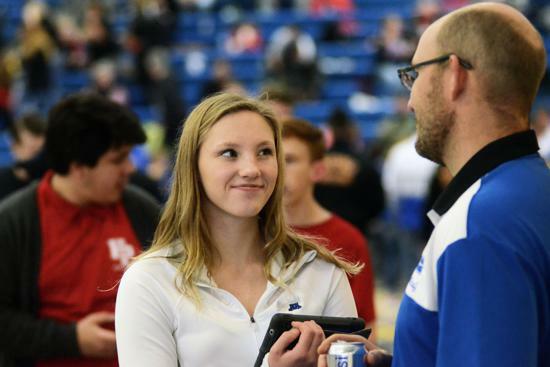 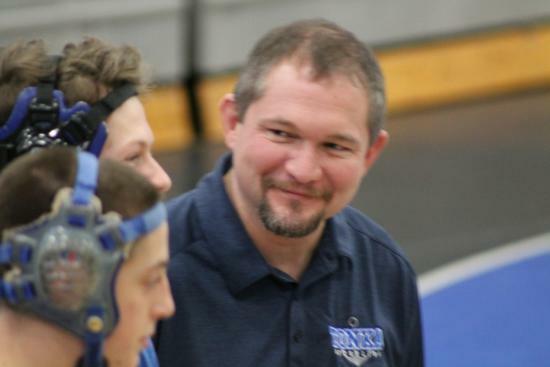 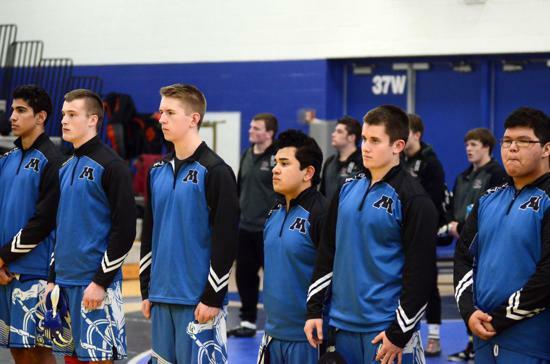 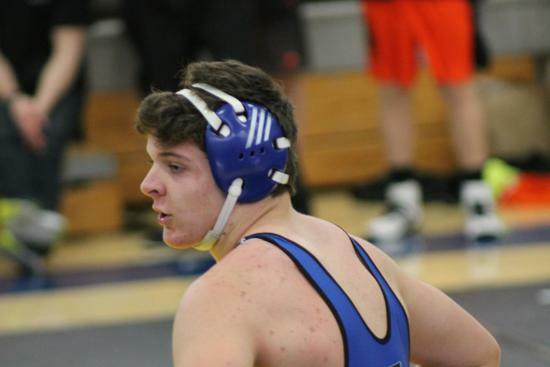 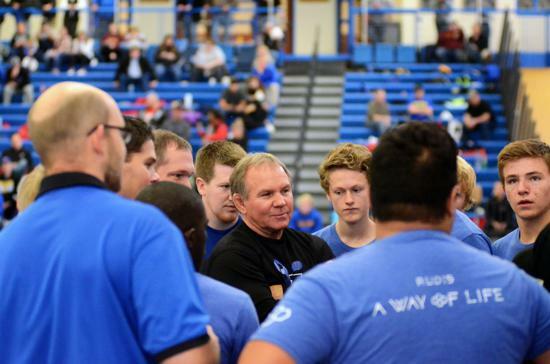 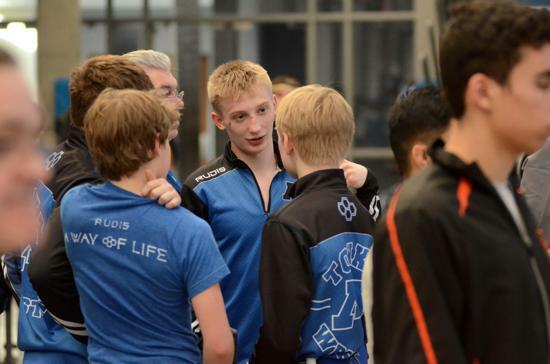 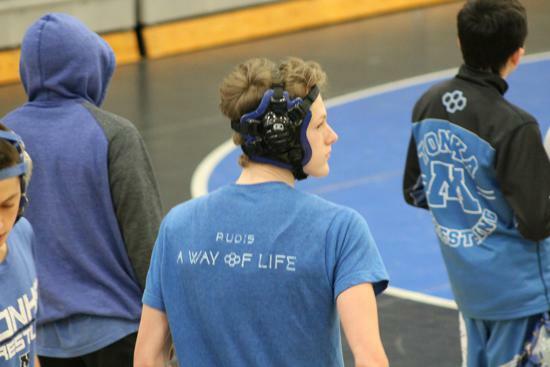 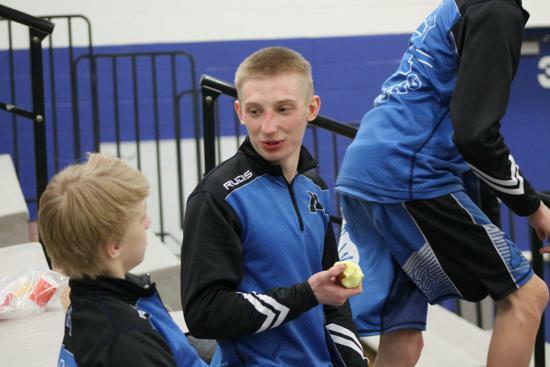 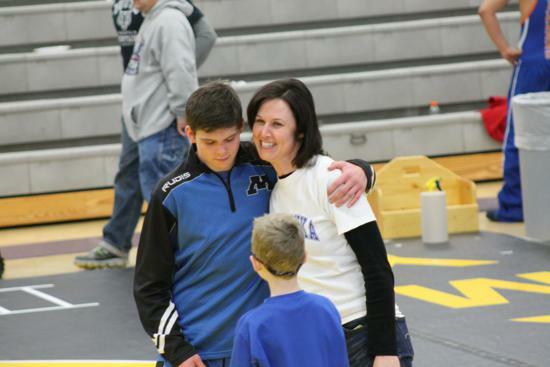 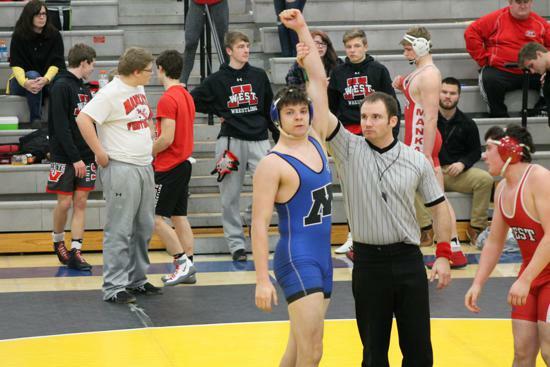 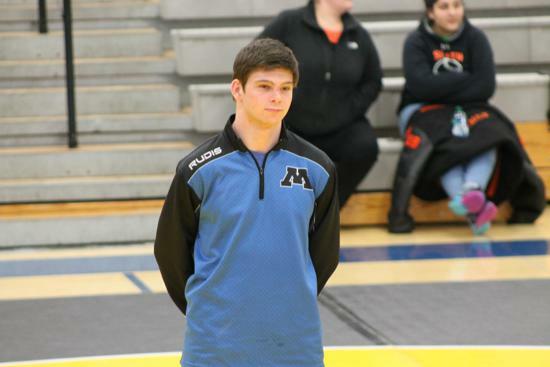 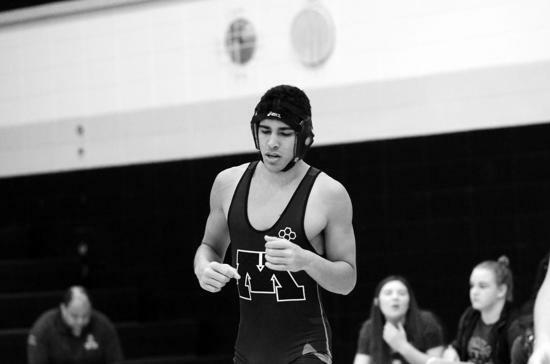 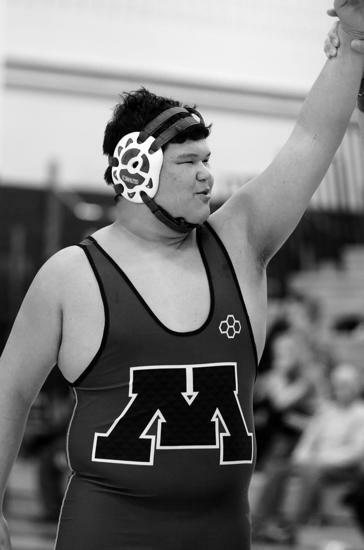 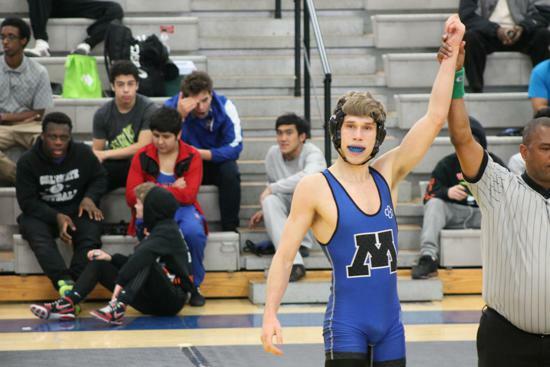 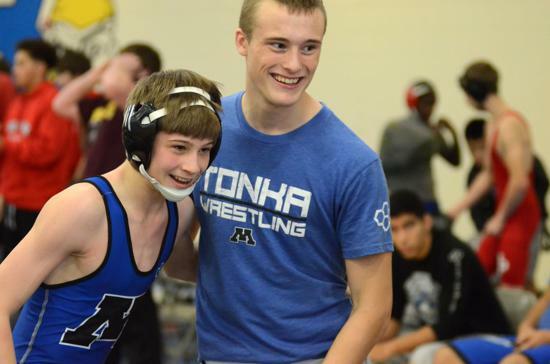 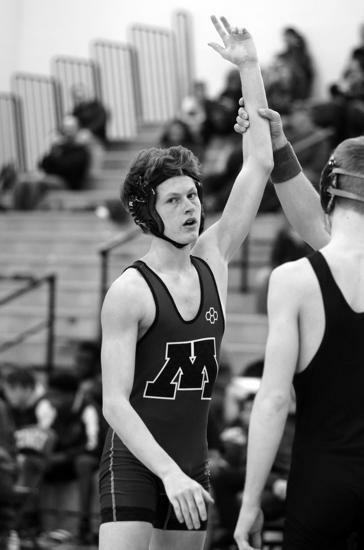 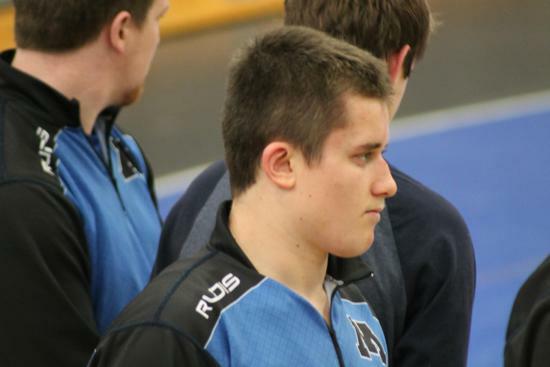 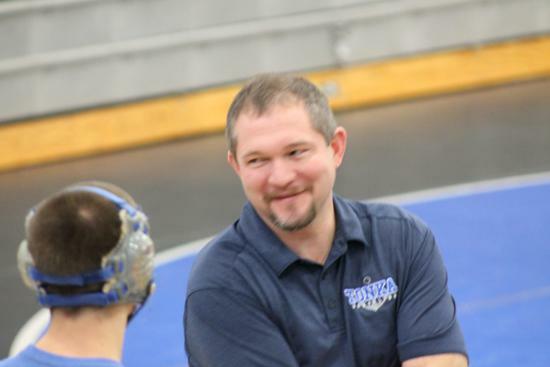 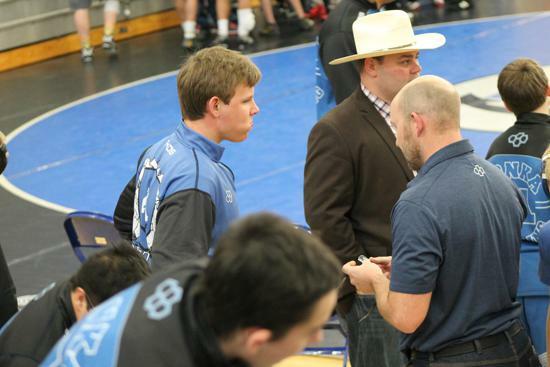 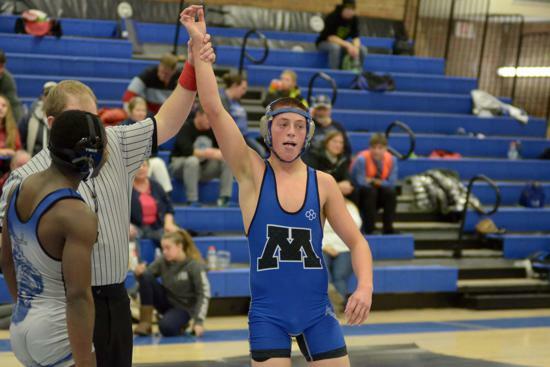 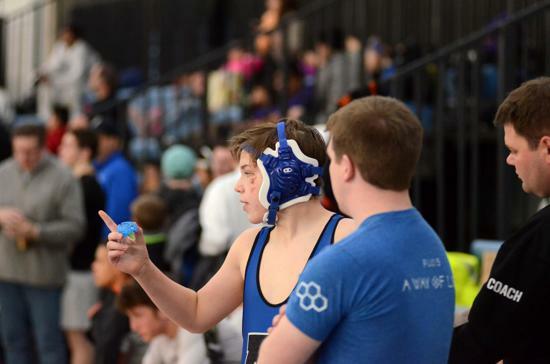 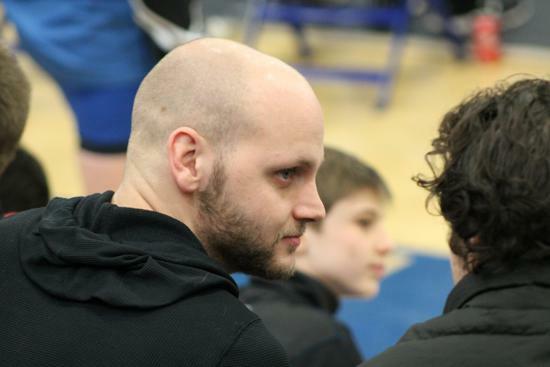 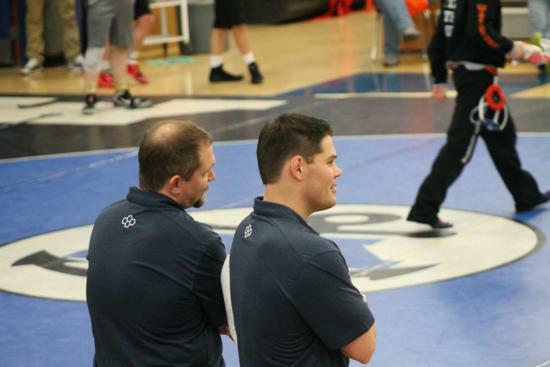 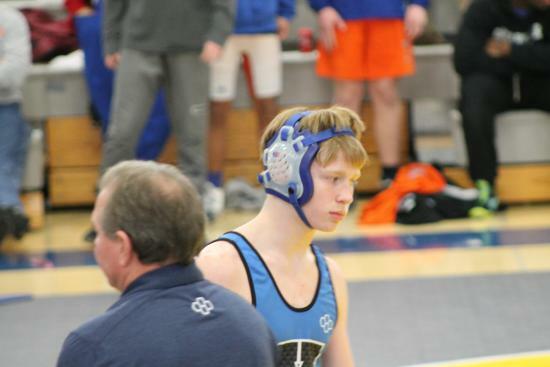 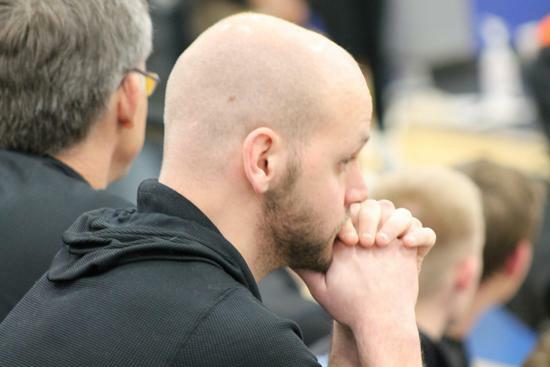 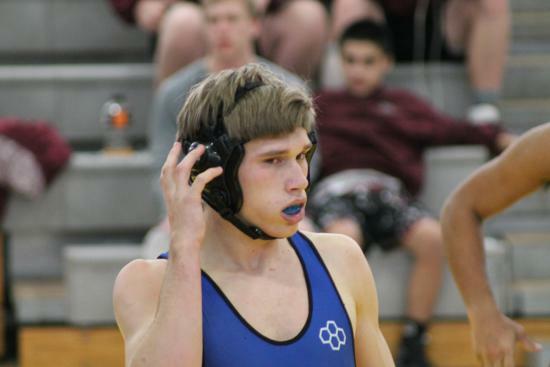 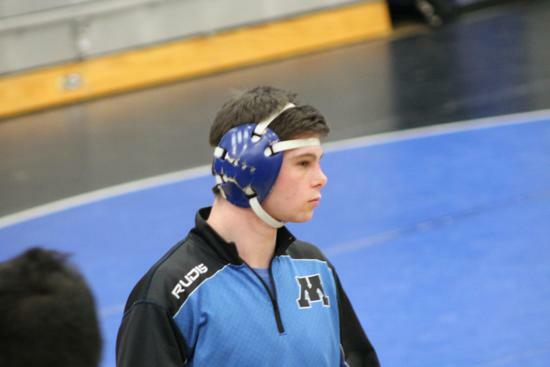 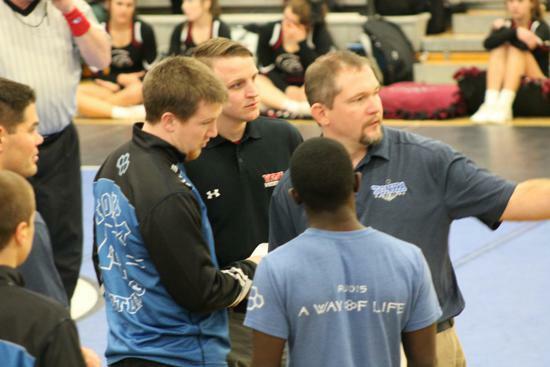 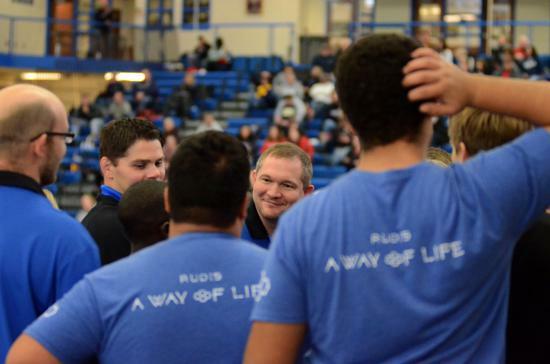 Andrew and Jake wrestled one last time as teammates at Fargo this July in a fitting way to send off one of Minnetonka’s greatest wrestling advocates. 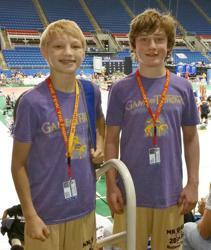 Jake qualified for the Greco team and went 1-2, with a win over West Virginia by fall in 1:36. 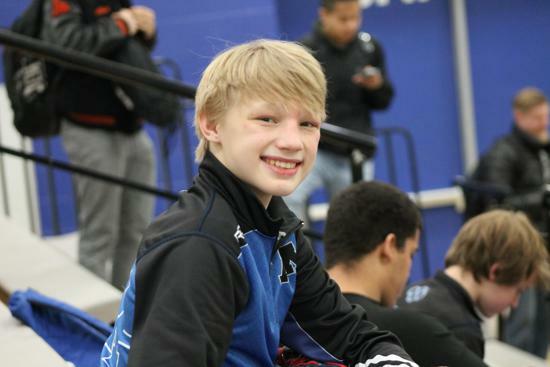 Andrew qualified for both the Freestyle and Greco team going 2-2 in Greco with two pins over Texas and Oregon, and only losing to the eventual bronze medalist from Illinois 8-0. 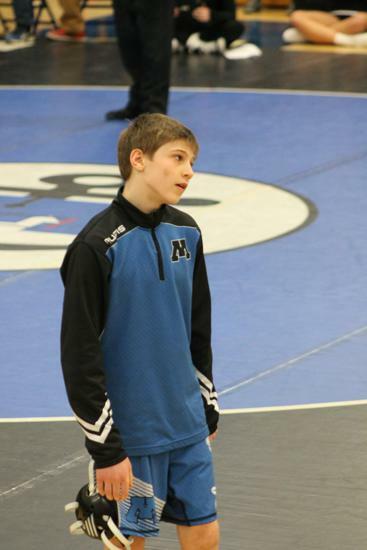 In Freestyle Andrew went 2-2 with wins over Nebraska and Florida, again losing to the bronze medalist from Illinois. 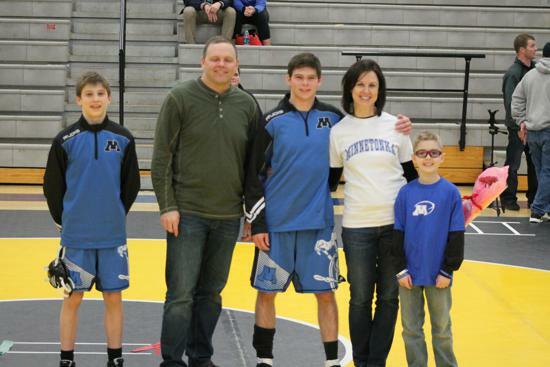 Congratulations to Jake and Andrew! 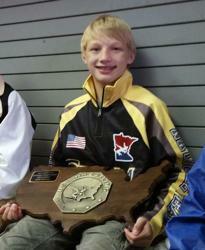 Andrew holding the national title plaque. 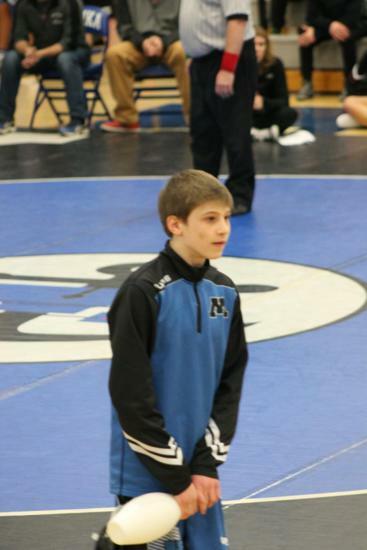 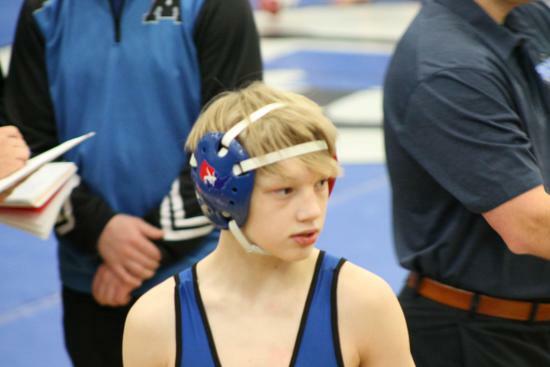 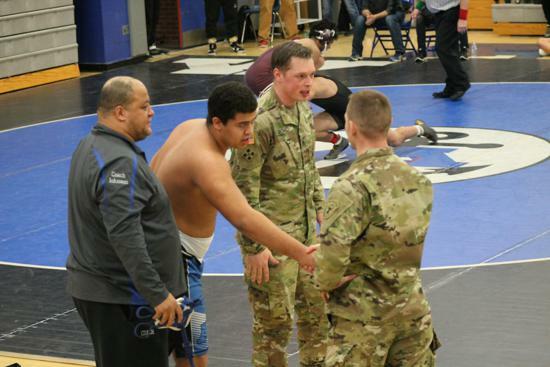 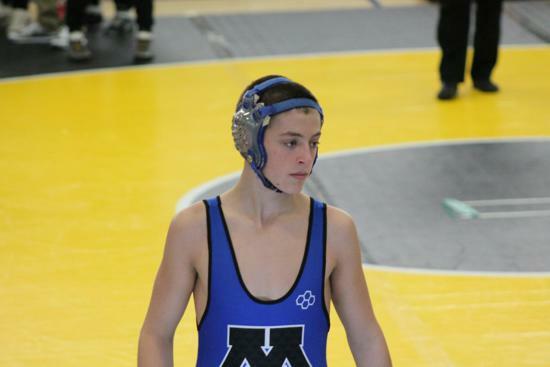 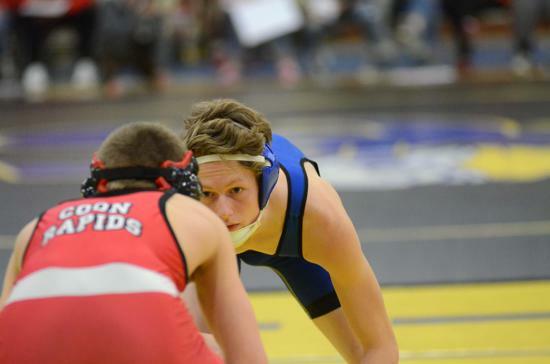 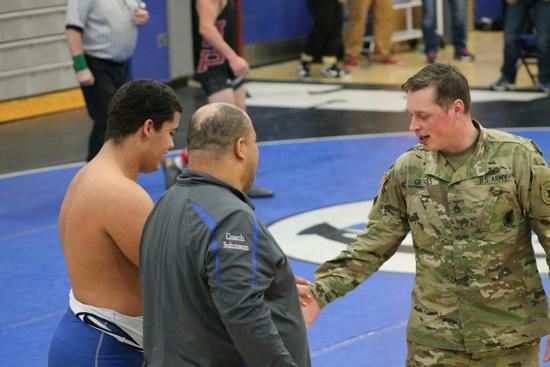 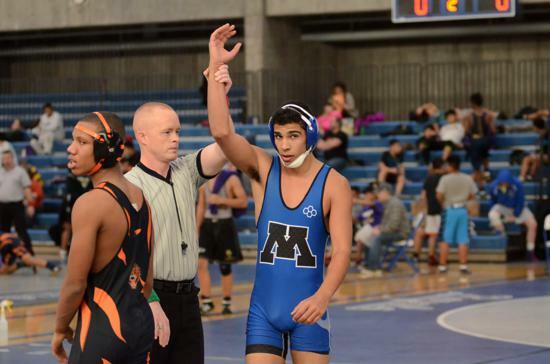 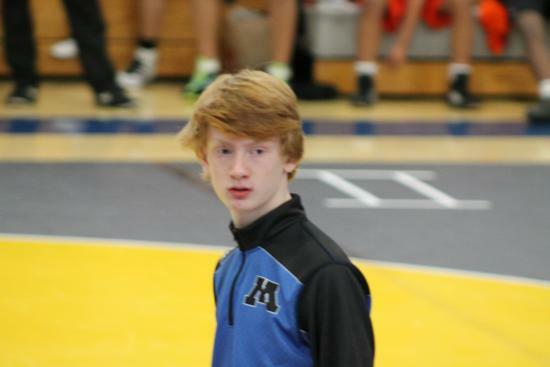 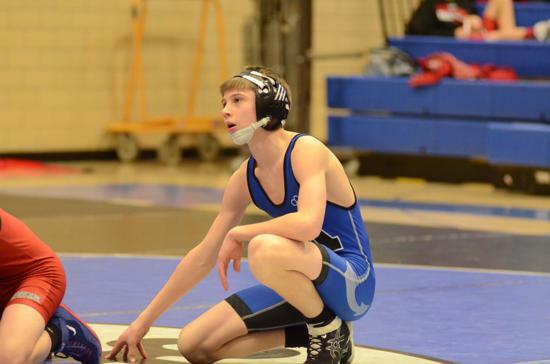 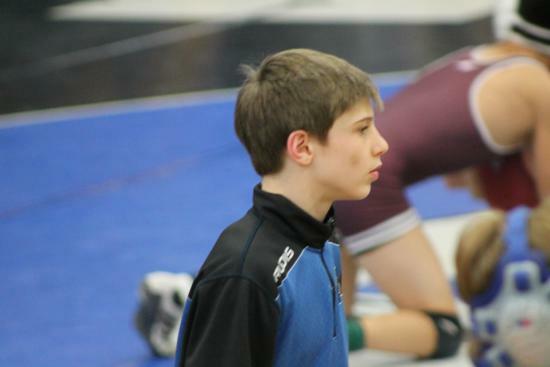 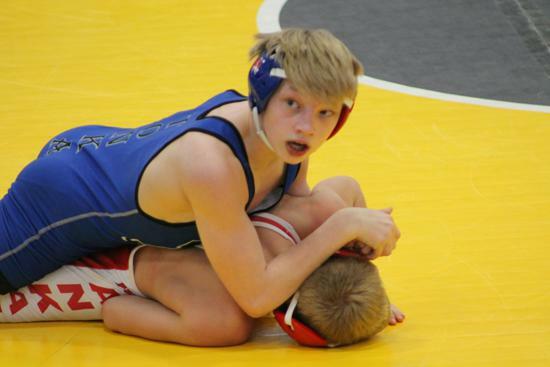 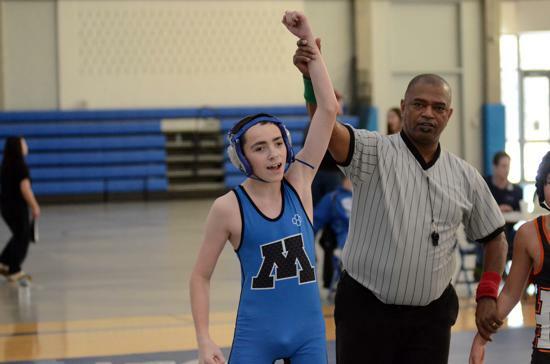 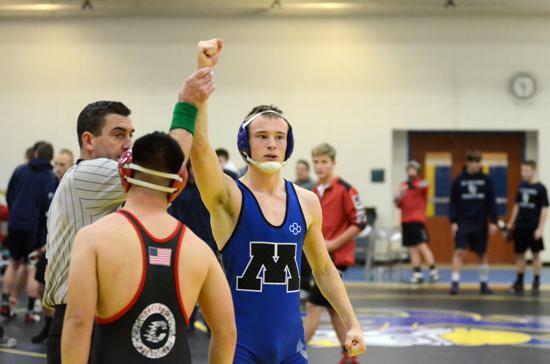 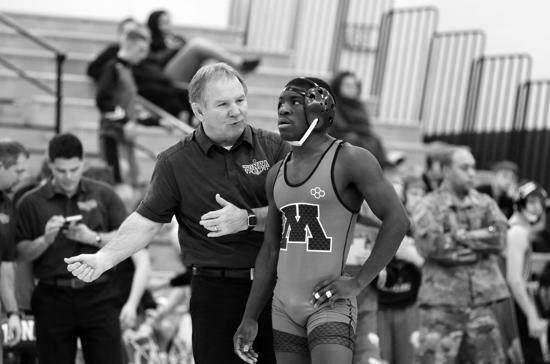 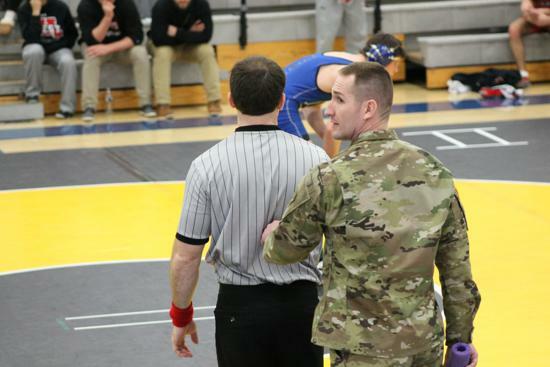 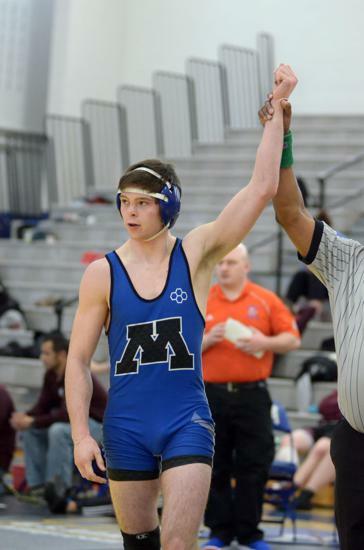 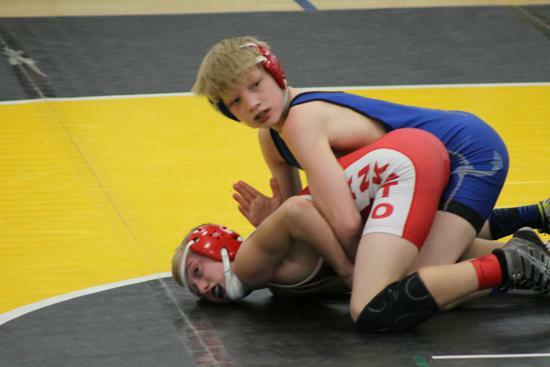 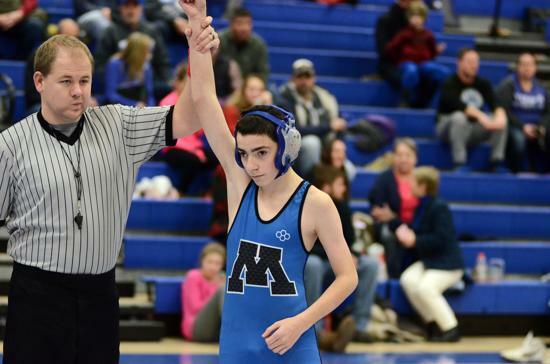 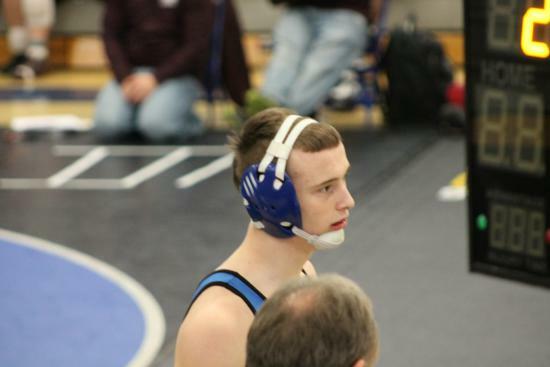 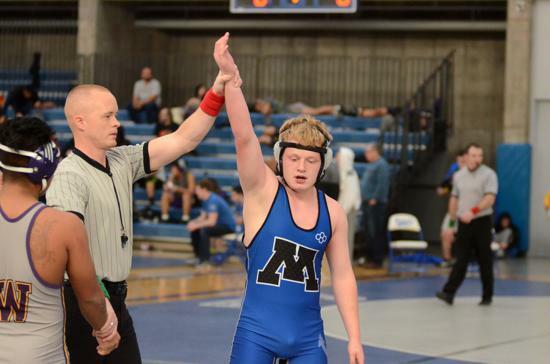 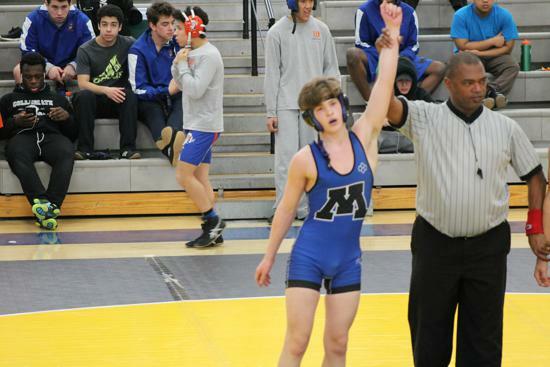 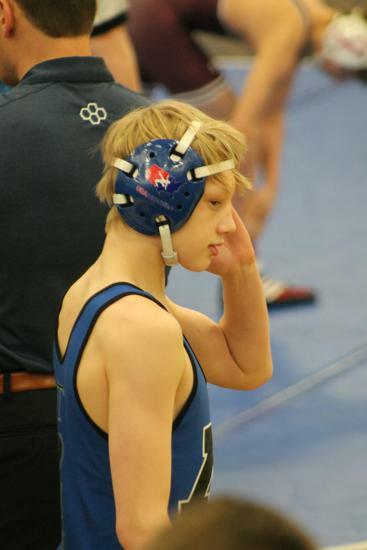 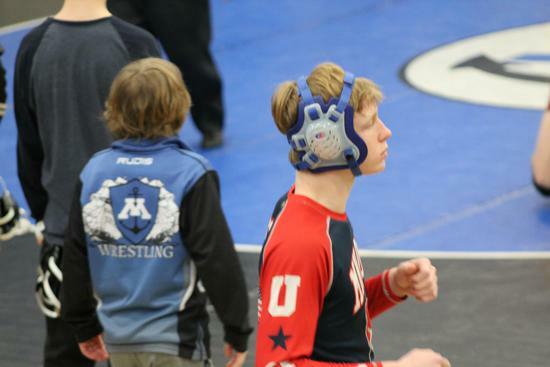 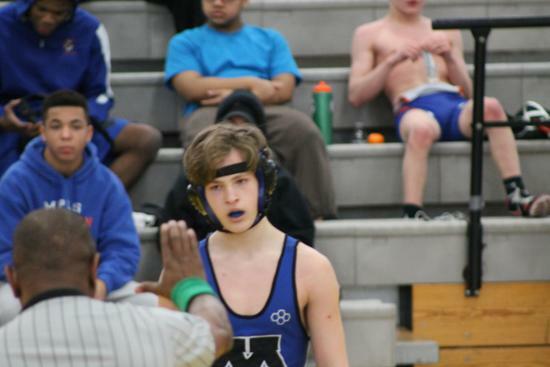 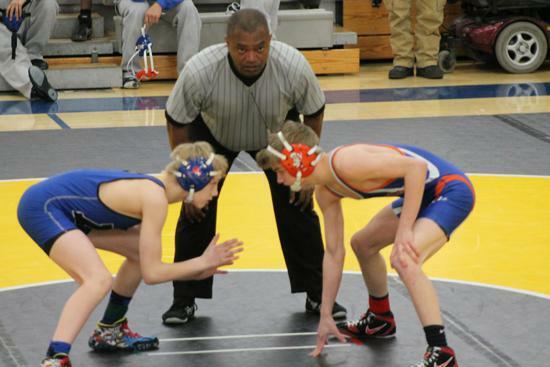 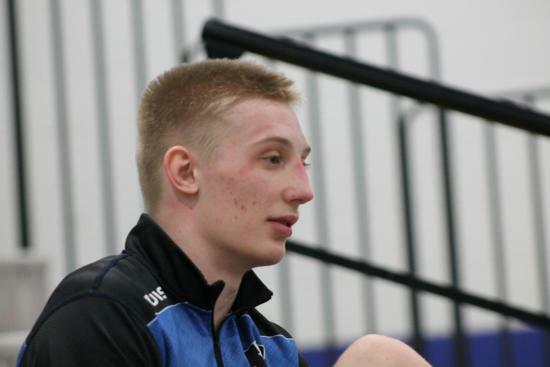 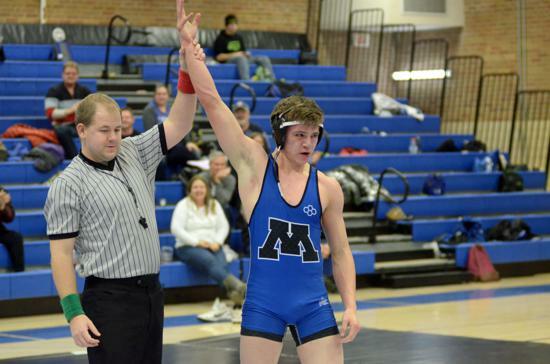 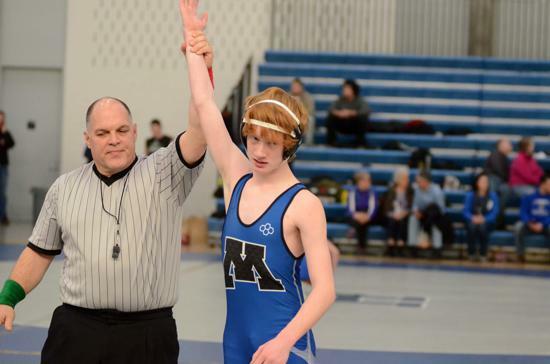 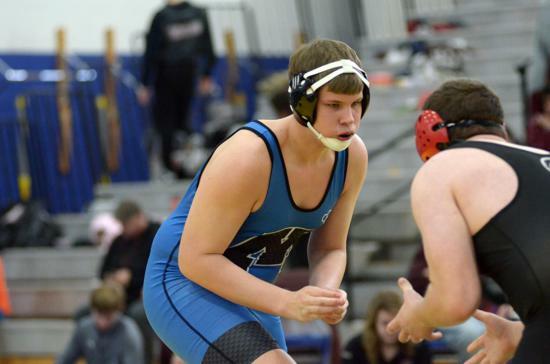 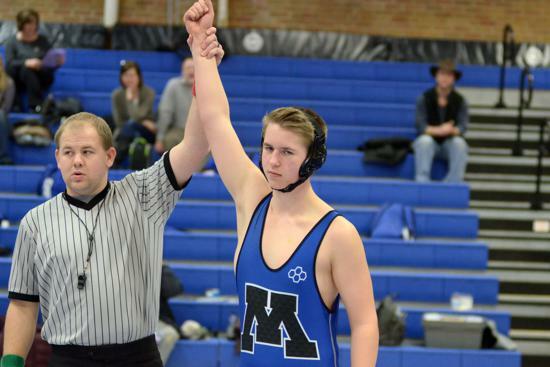 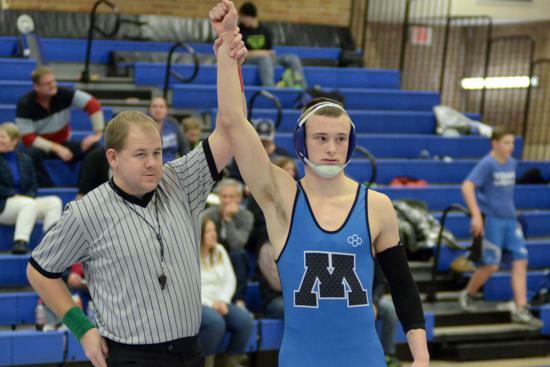 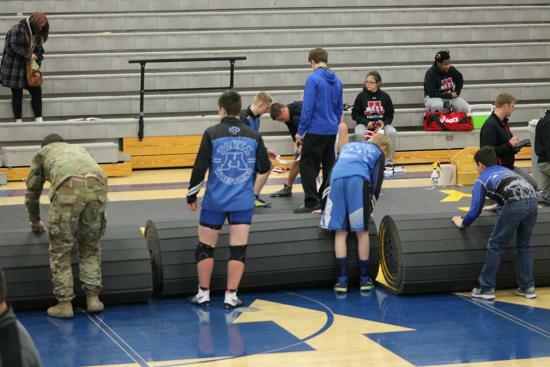 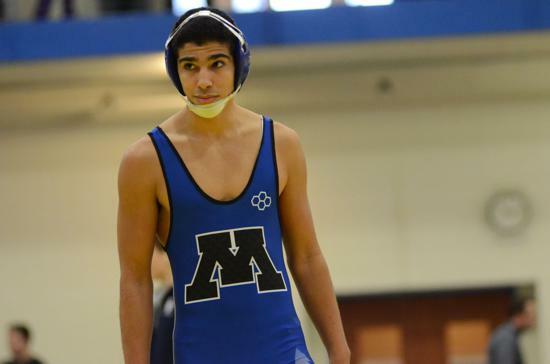 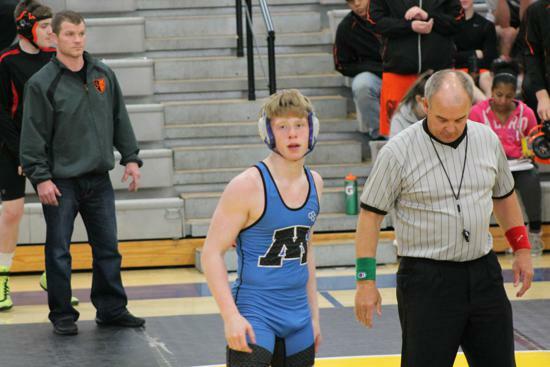 Minnetonka was represented on the MN Storm national championship cadet team by Andrew Sanders. 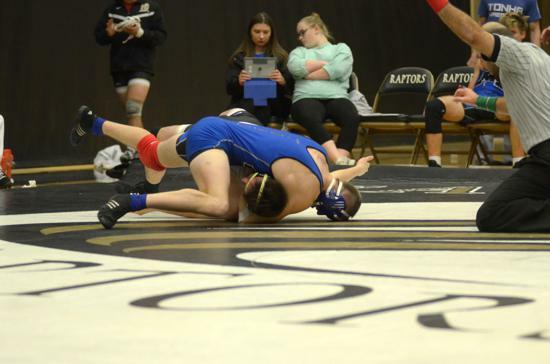 The Storm flew out to York, Pennsylvania to compete against the elite wrestlers from all around the country and brought back gold. 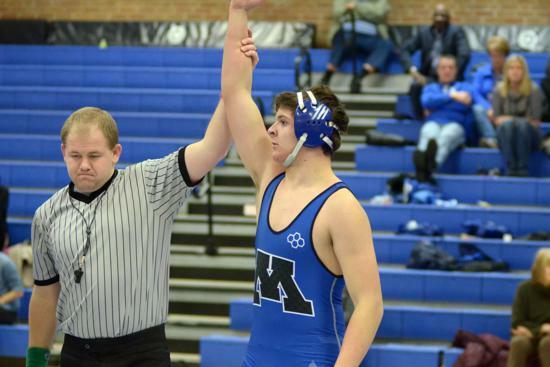 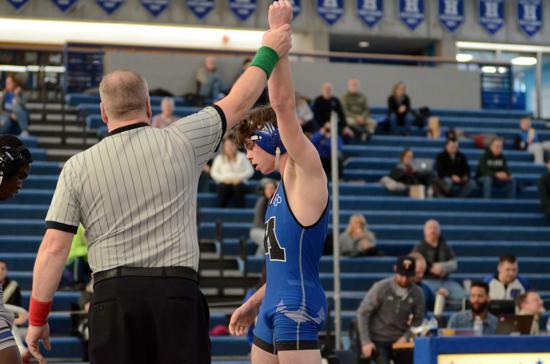 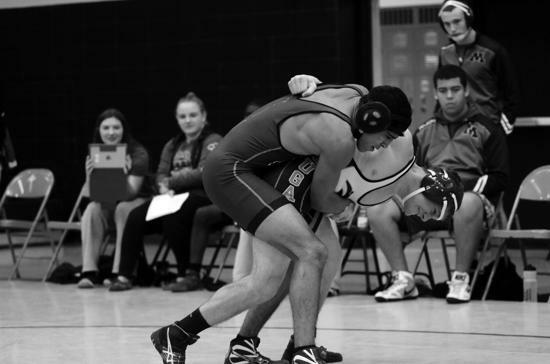 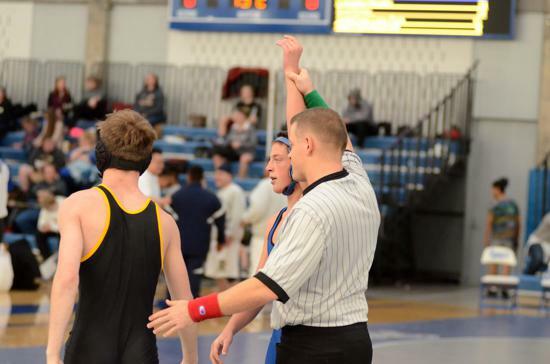 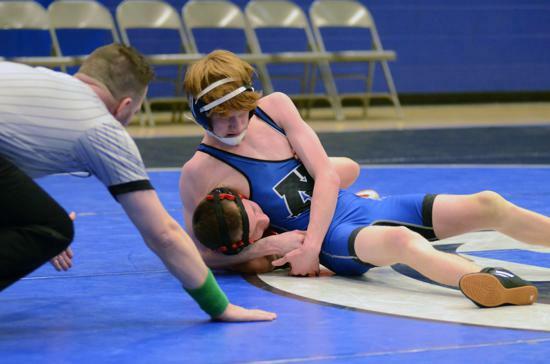 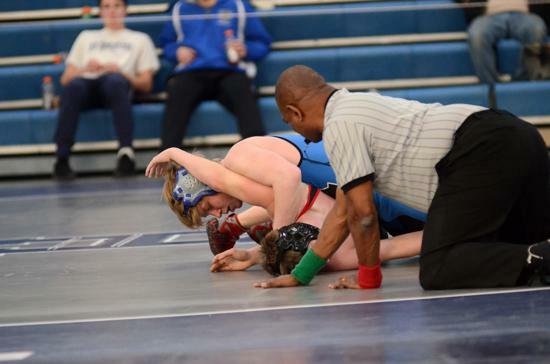 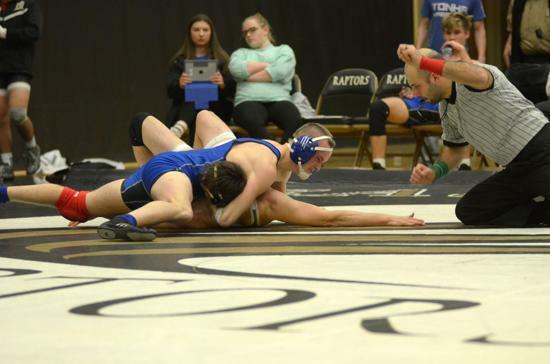 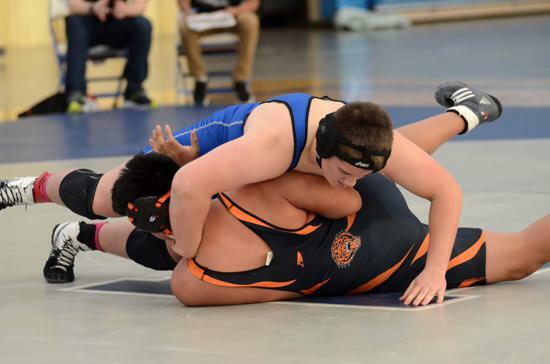 Andrew scored points in every match, including a clutch win in the title match against PA when he defeated his opponent in dominating fashion 10-0. 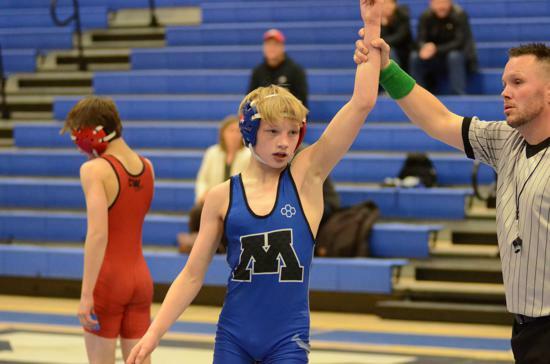 This is the first time Minnesota has swept all age groups from Schoolboy/girl, Cadet, and Junior, winning gold in all three age divisions. 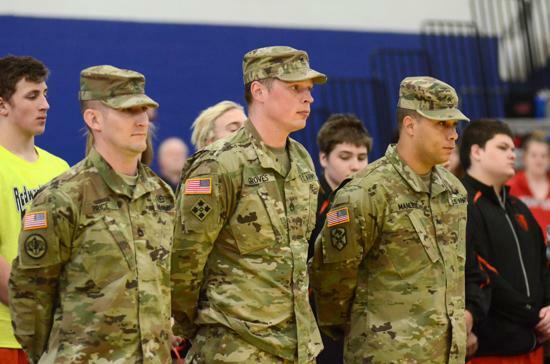 The teams were honored at the MN twins game on 8/14. 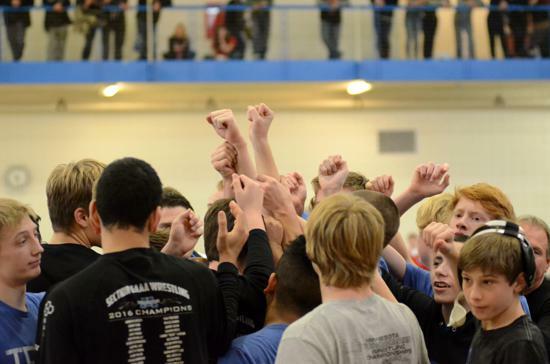 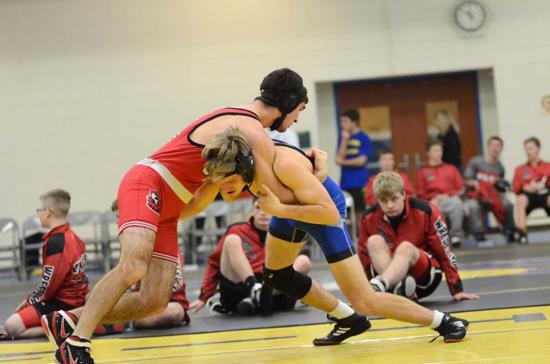 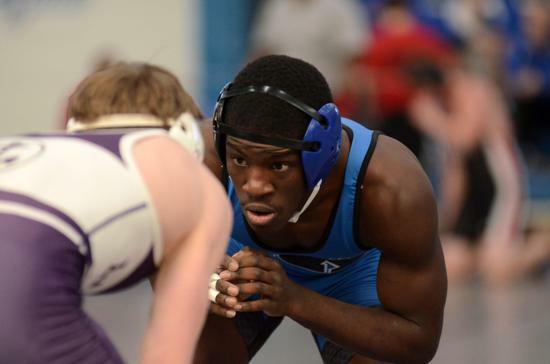 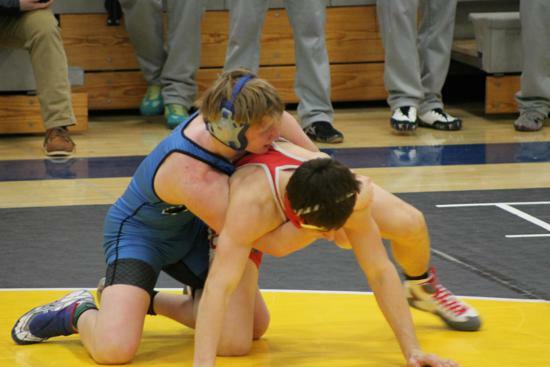 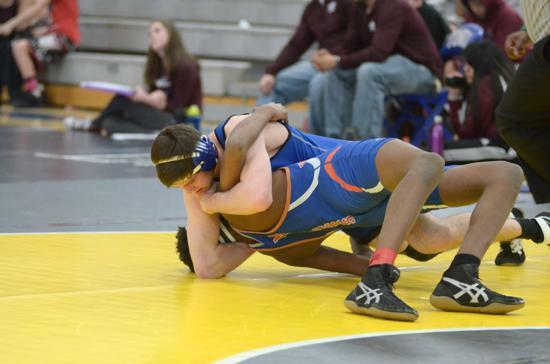 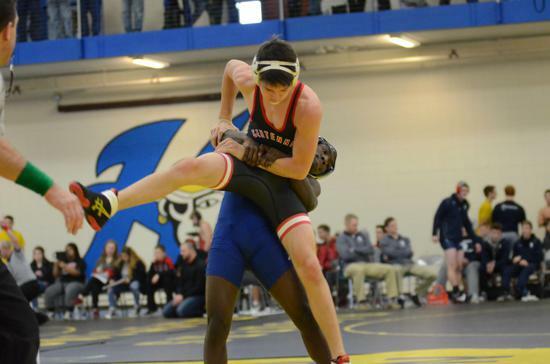 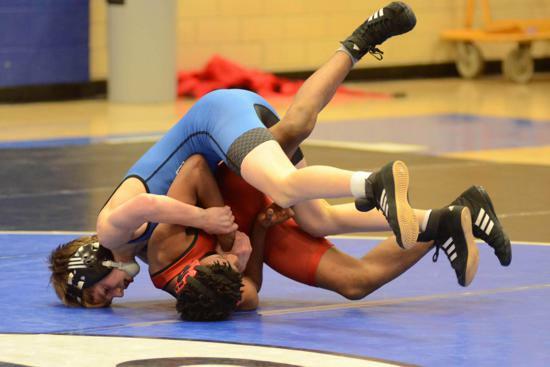 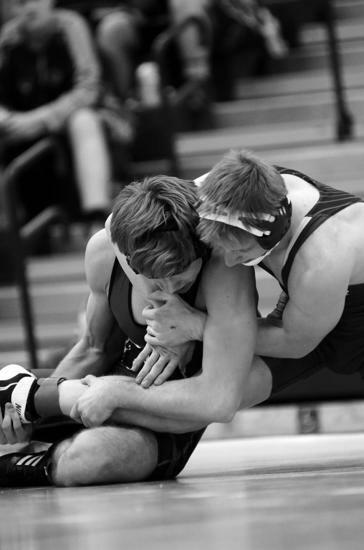 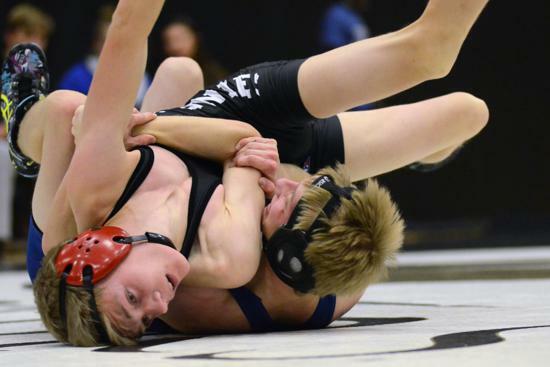 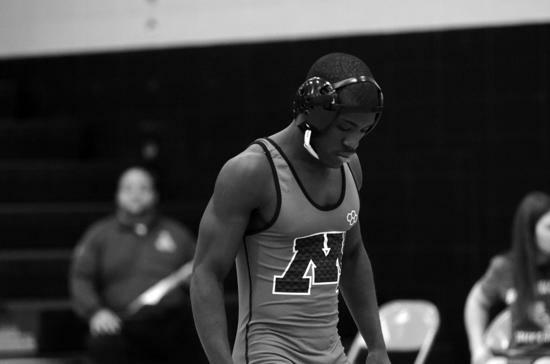 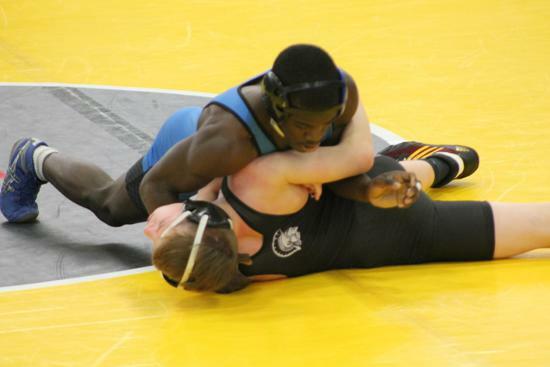 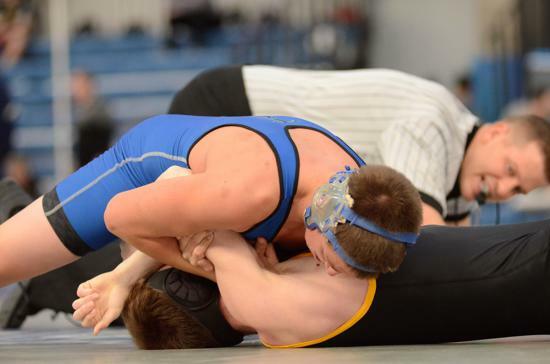 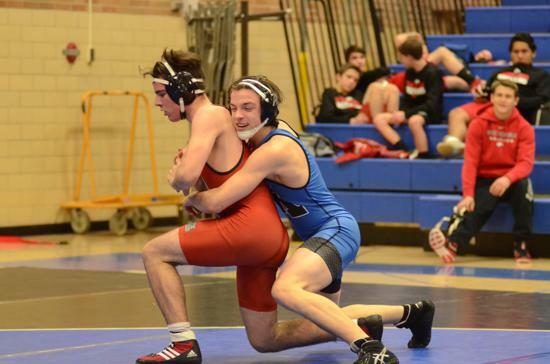 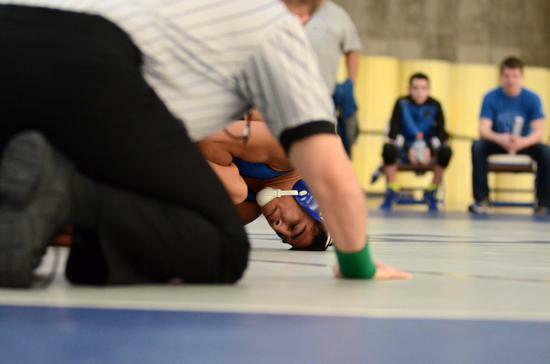 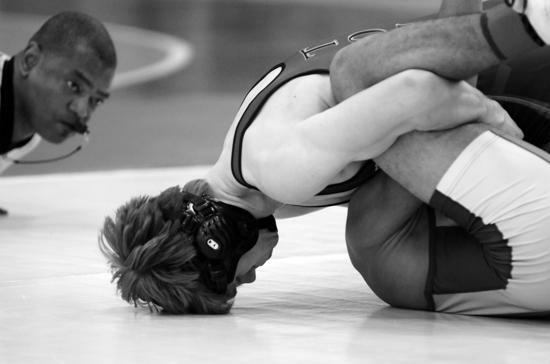 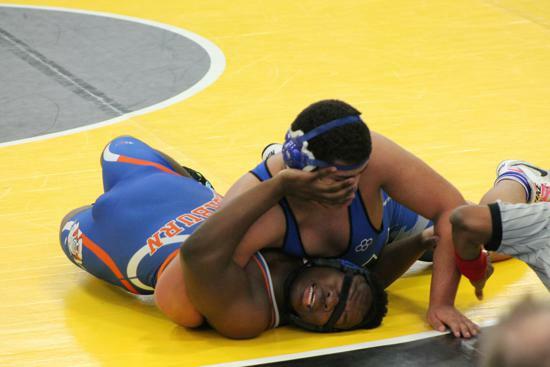 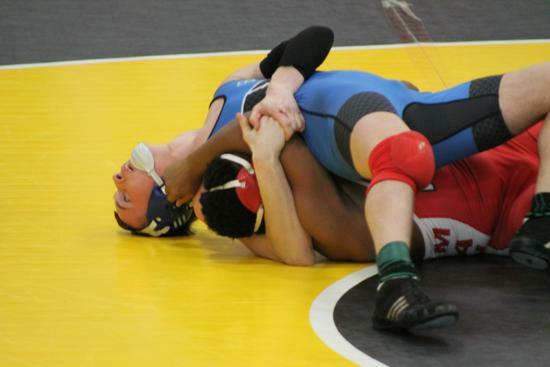 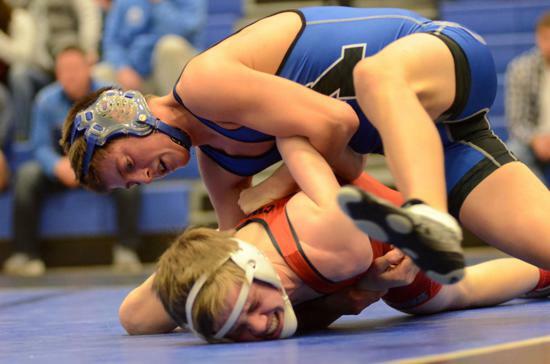 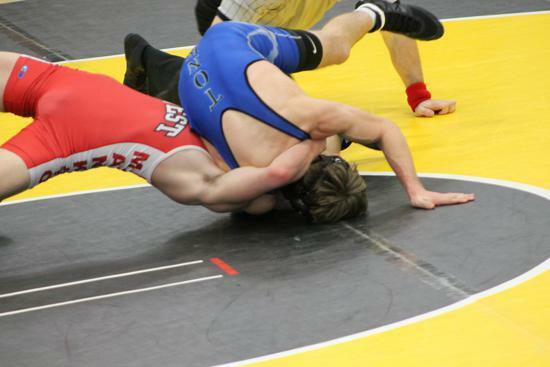 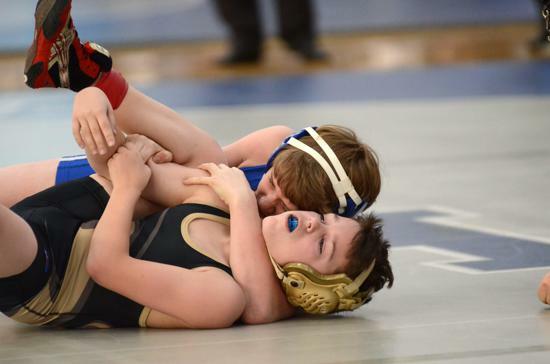 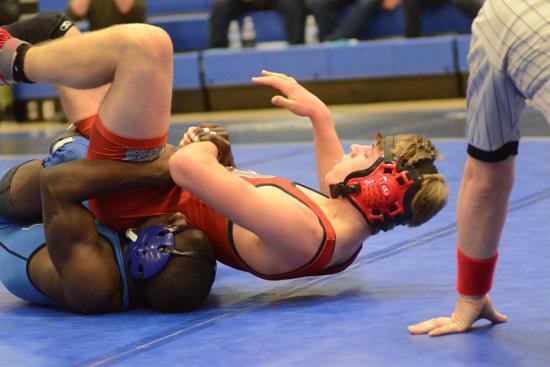 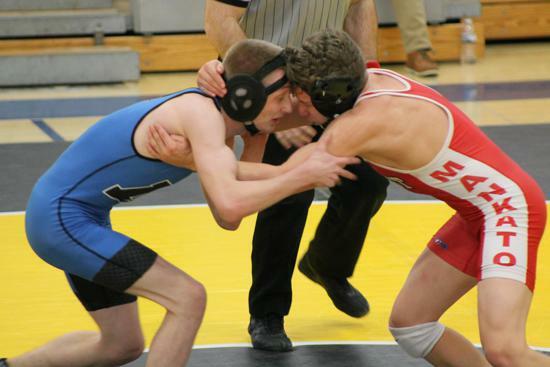 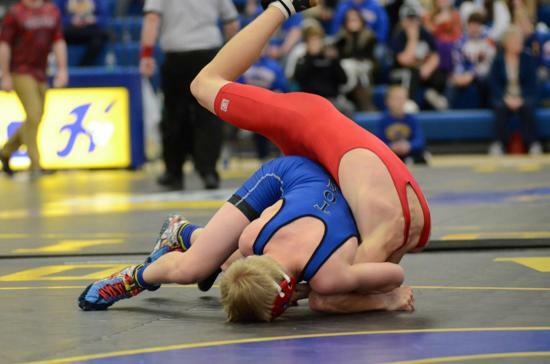 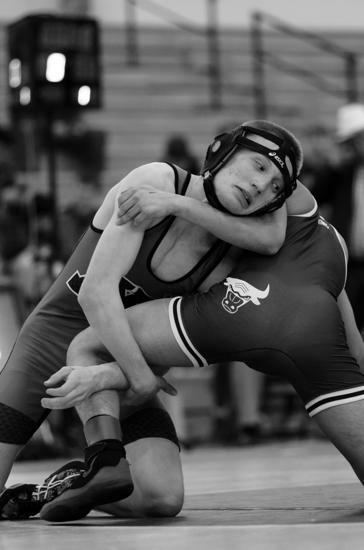 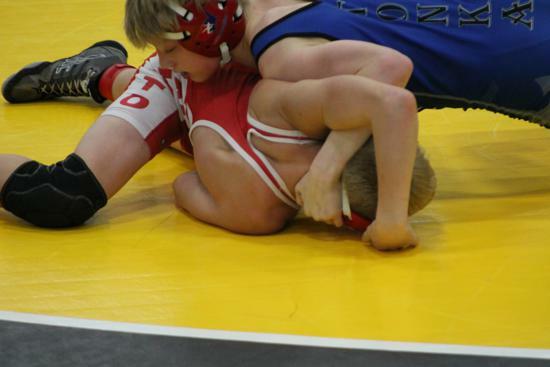 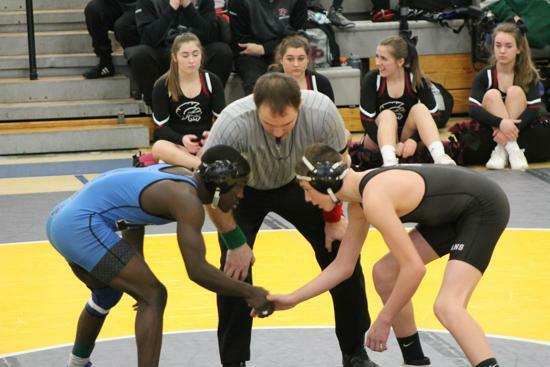 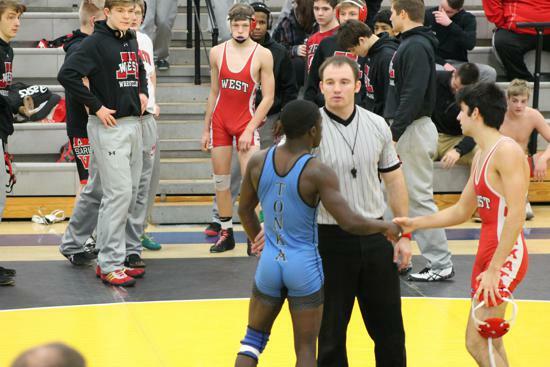 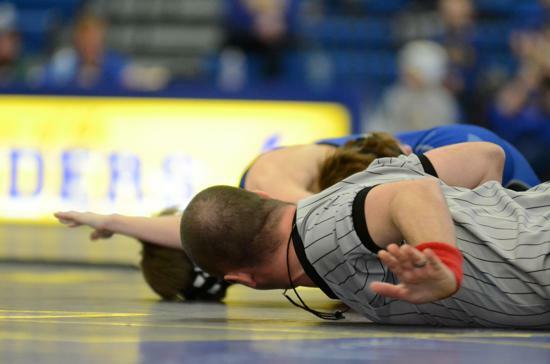 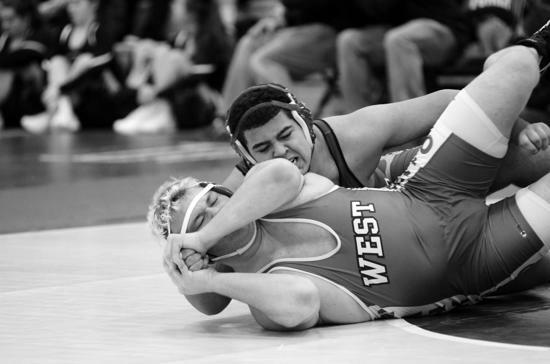 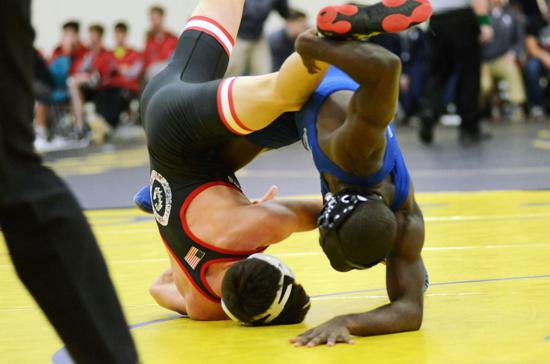 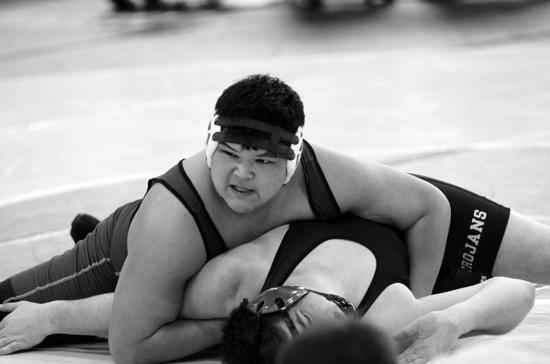 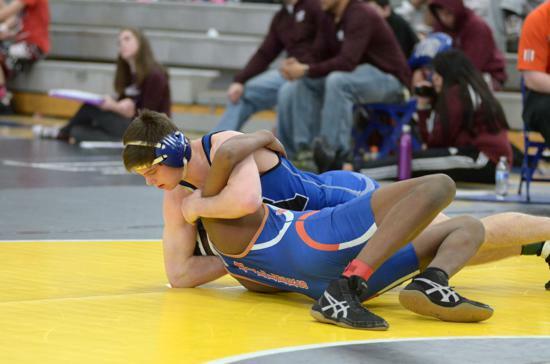 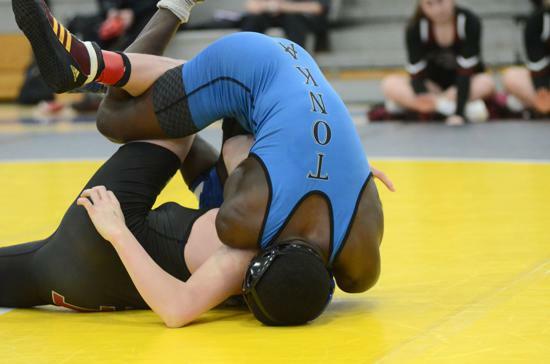 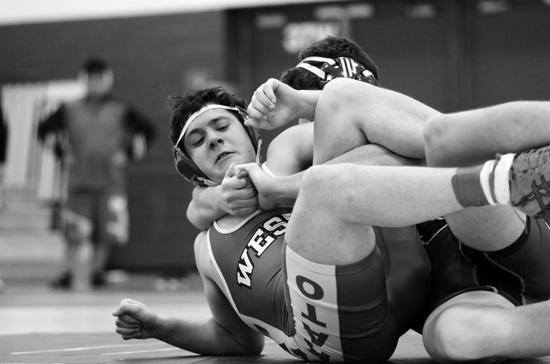 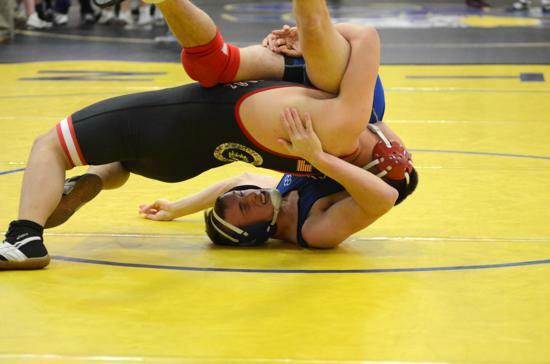 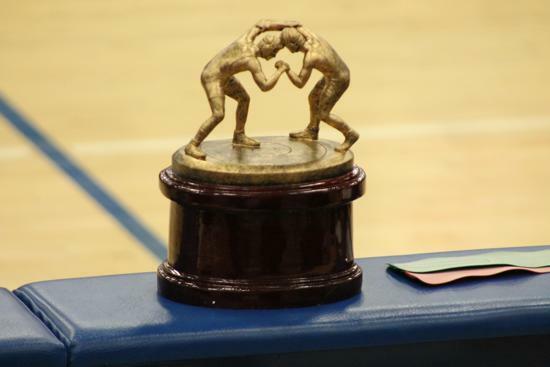 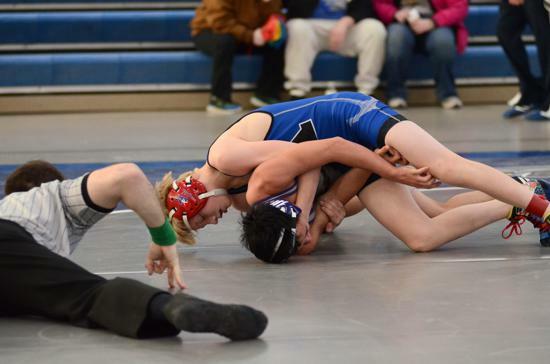 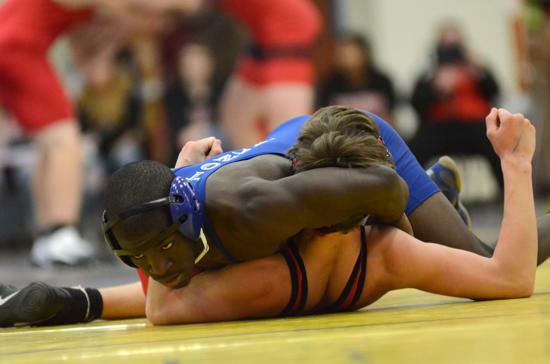 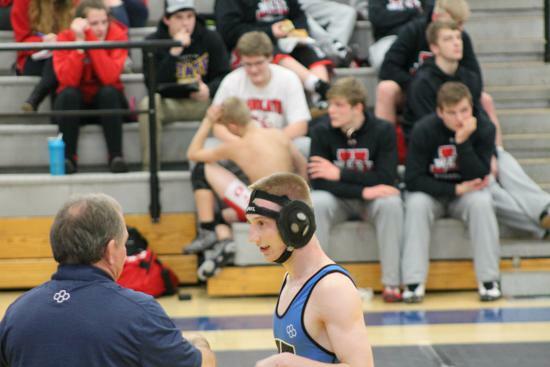 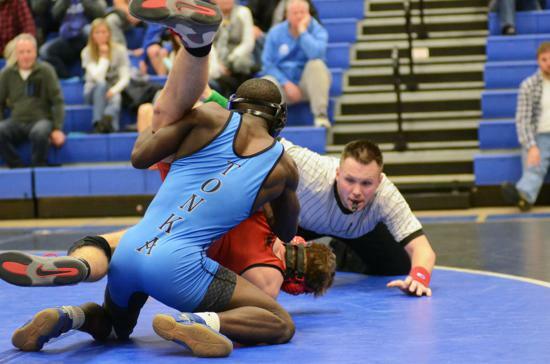 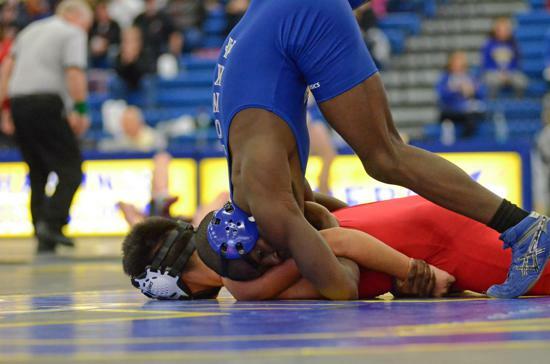 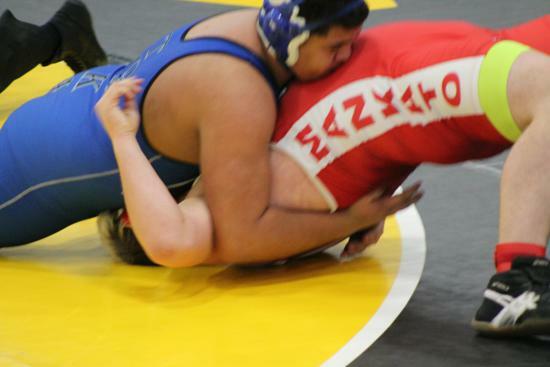 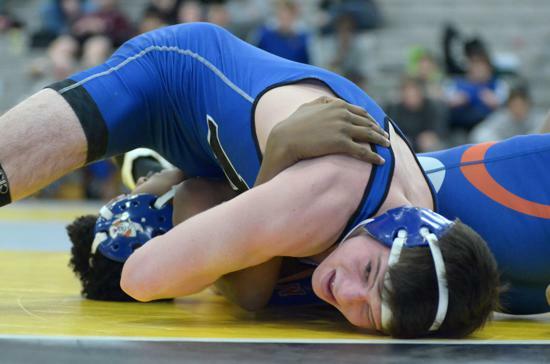 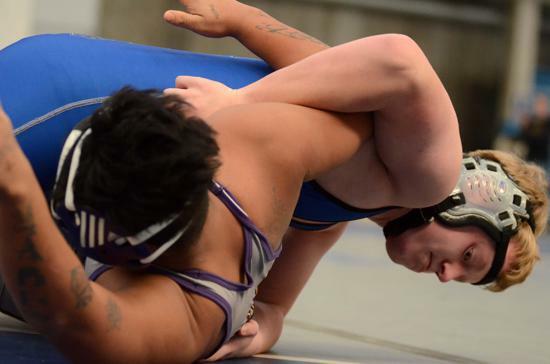 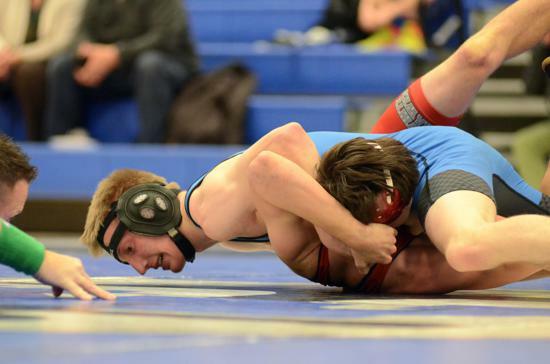 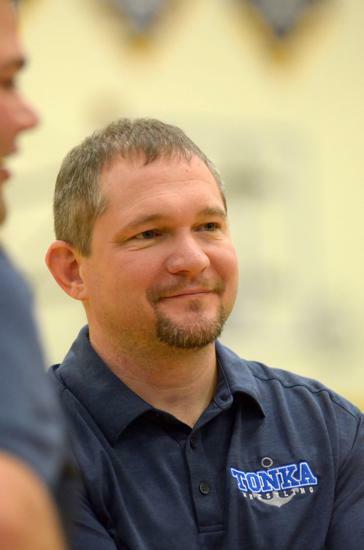 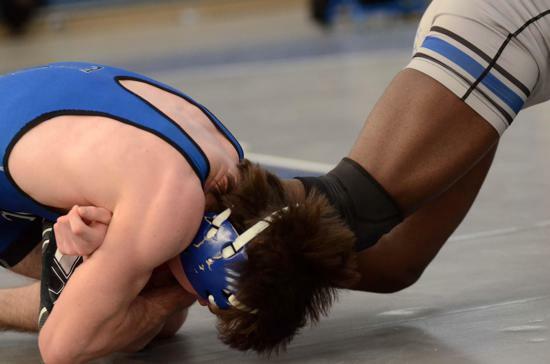 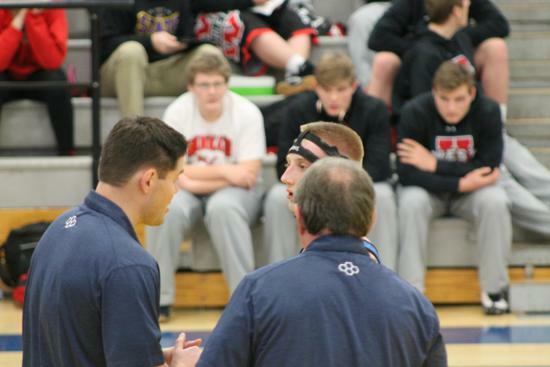 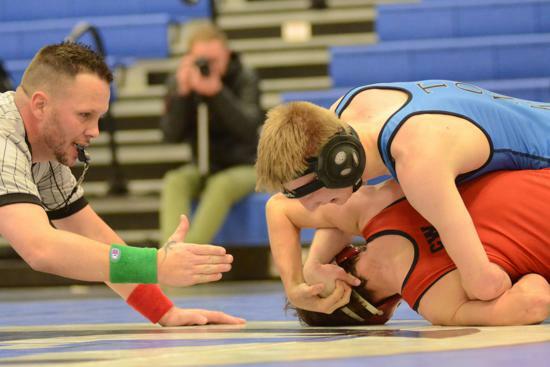 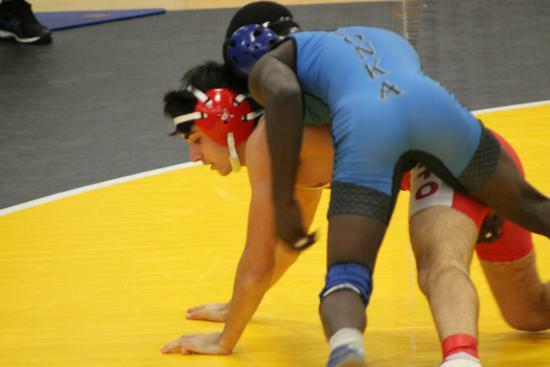 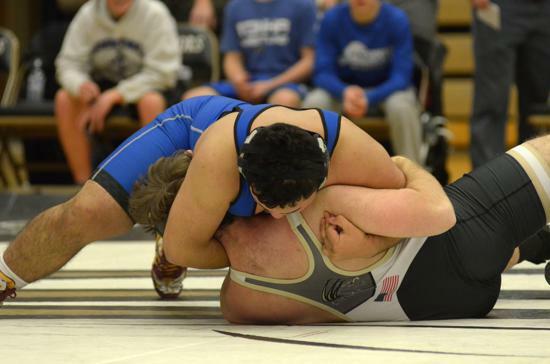 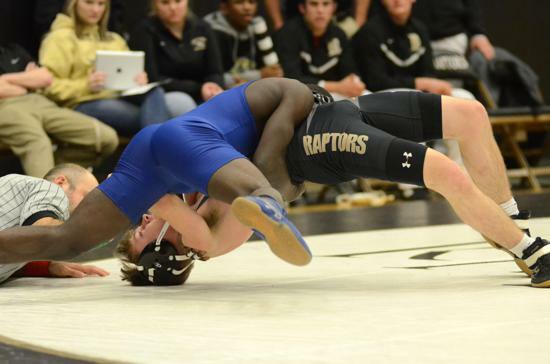 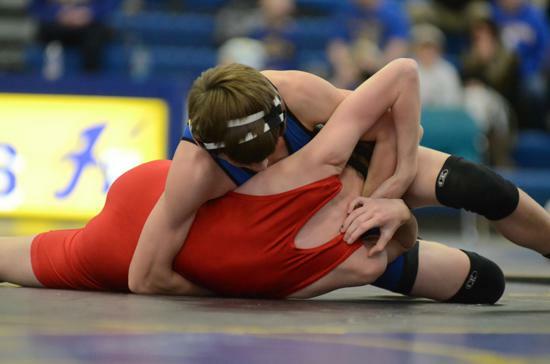 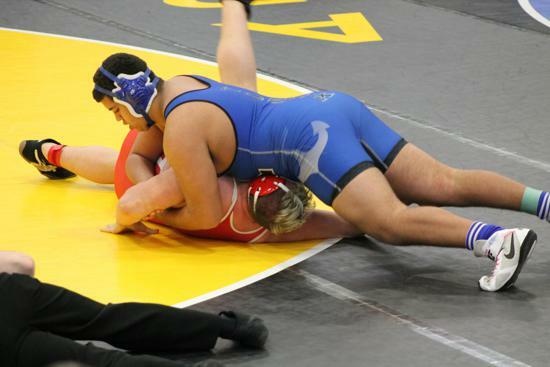 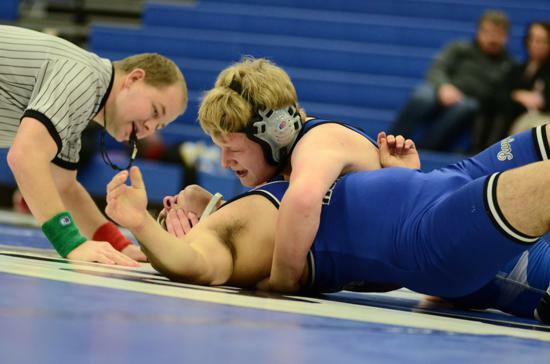 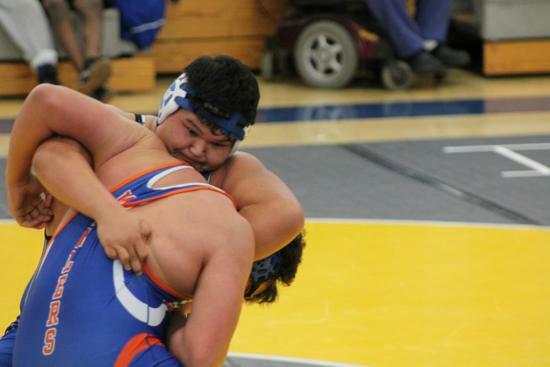 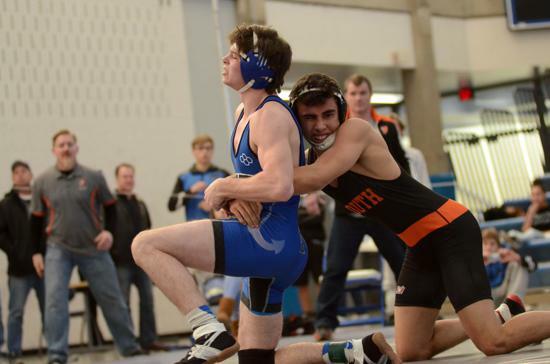 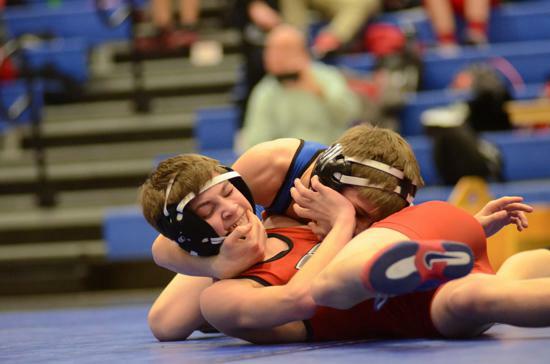 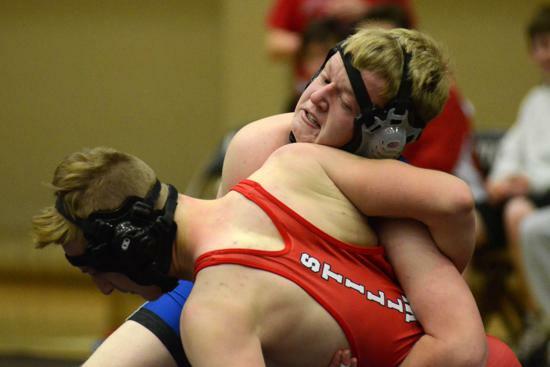 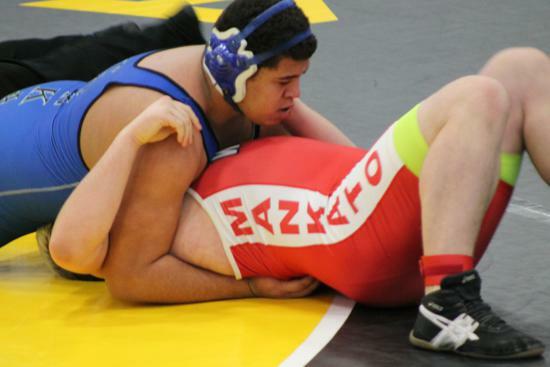 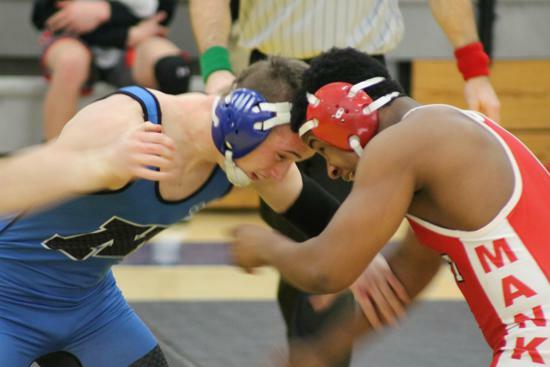 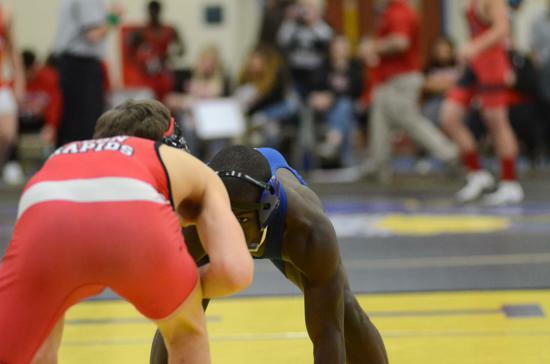 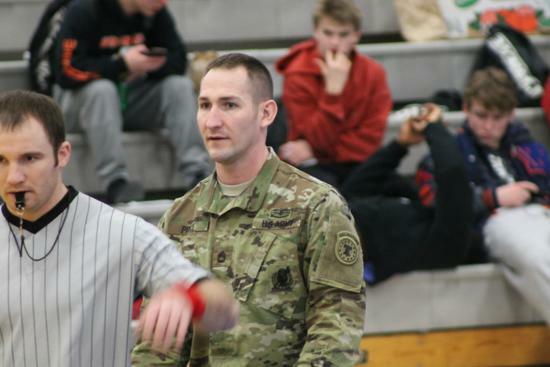 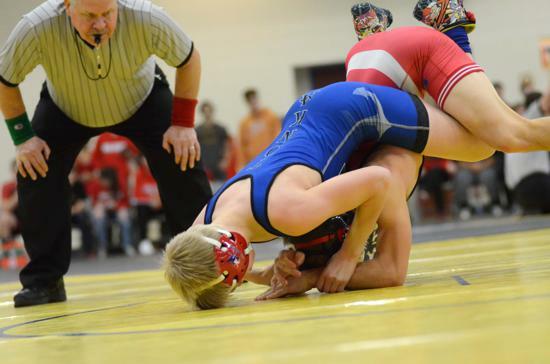 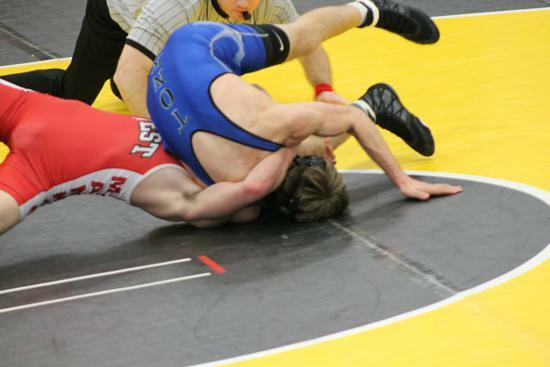 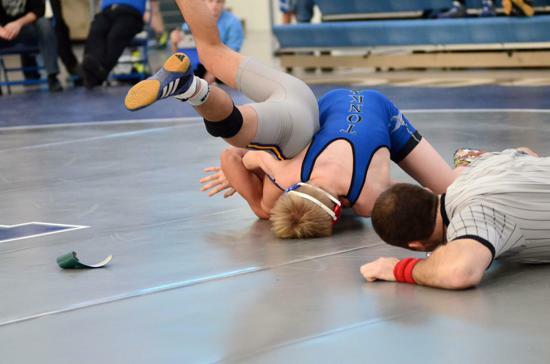 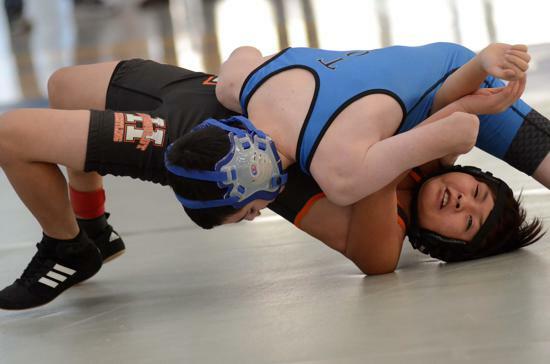 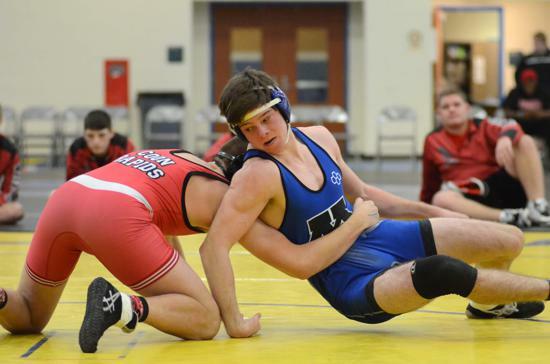 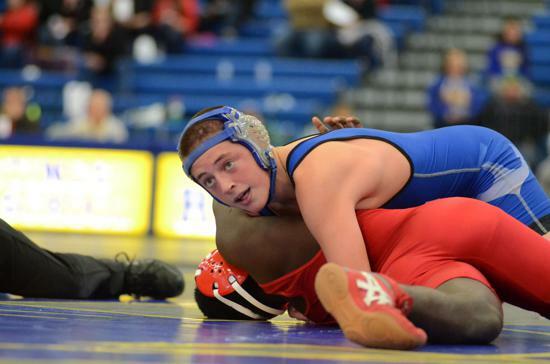 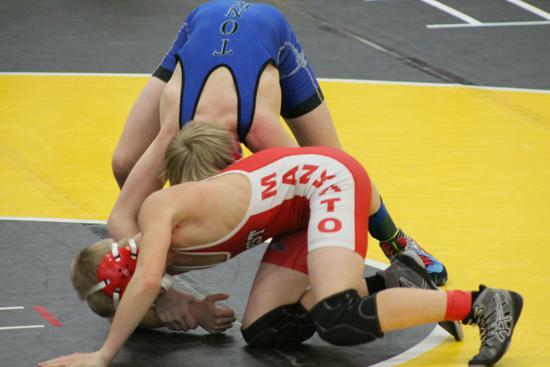 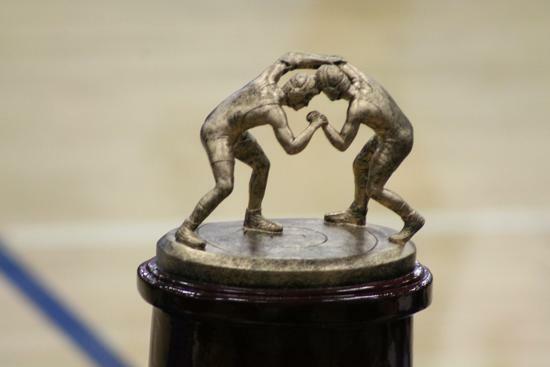 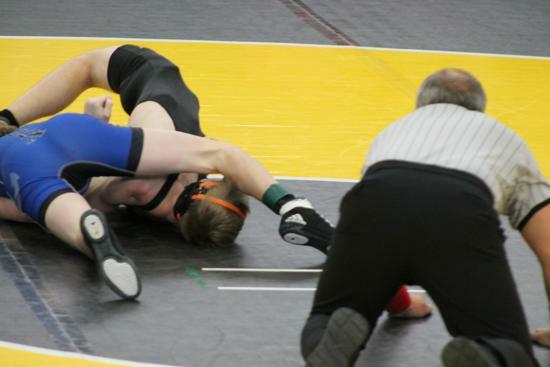 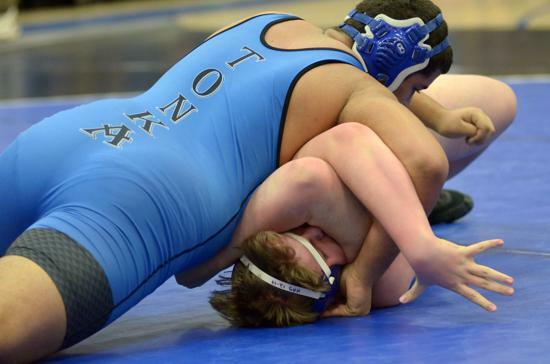 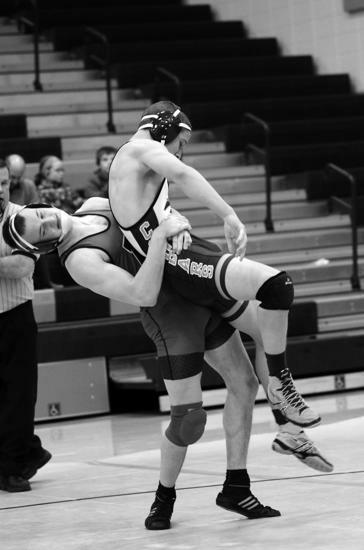 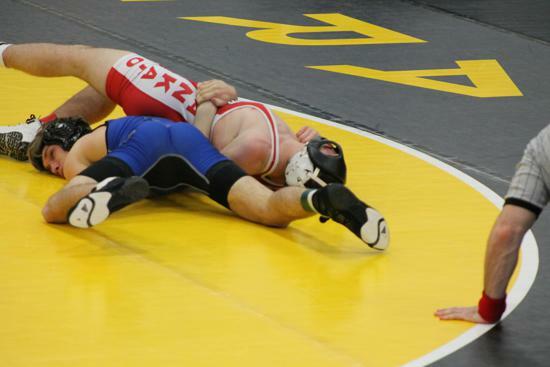 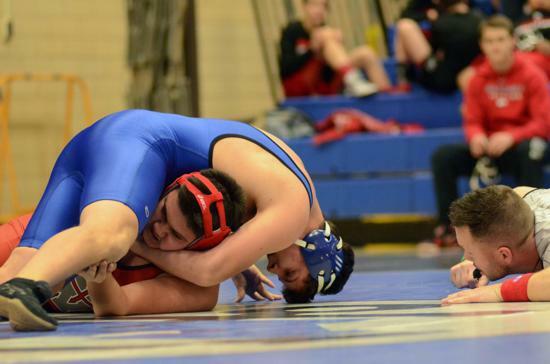 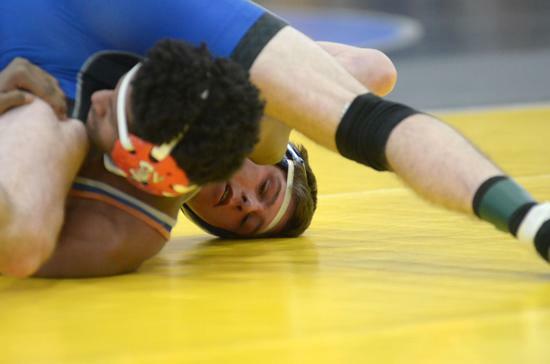 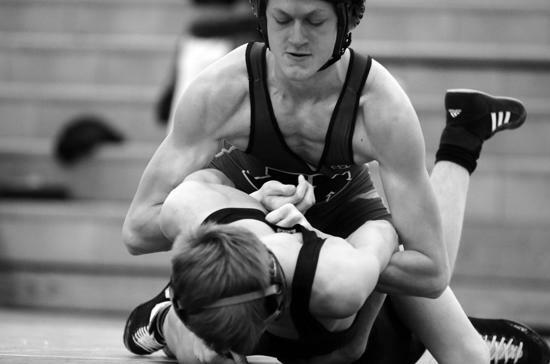 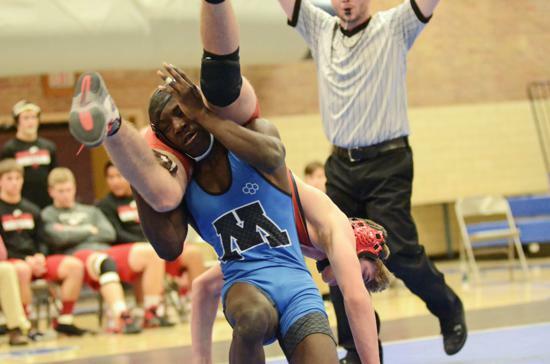 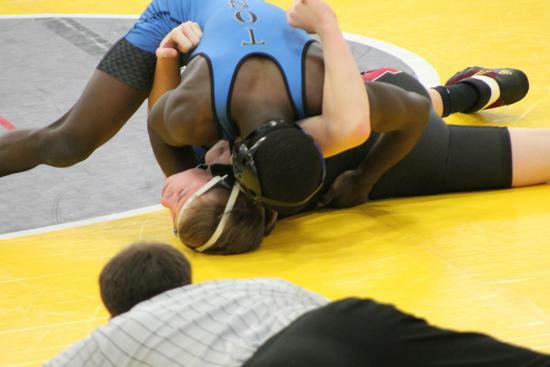 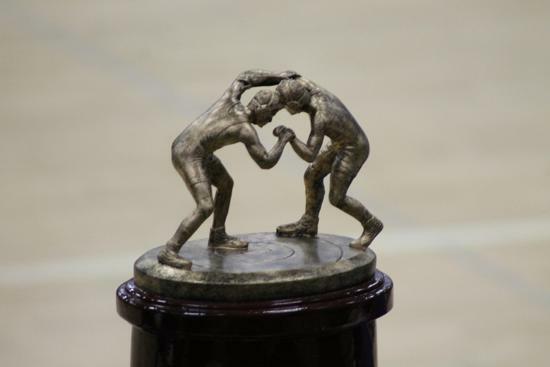 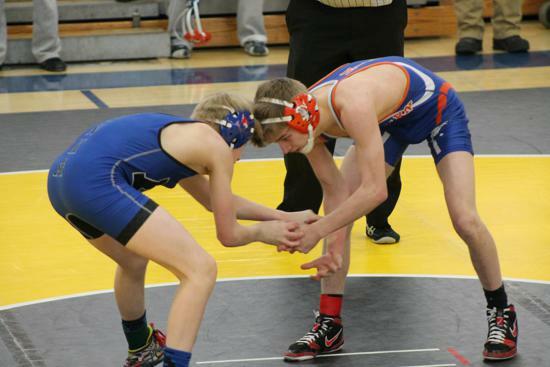 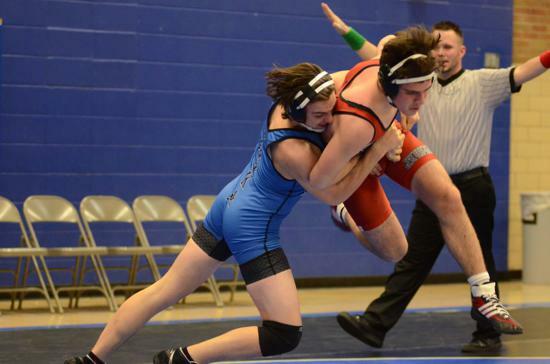 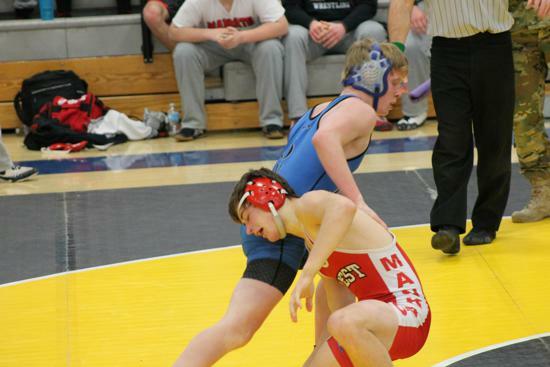 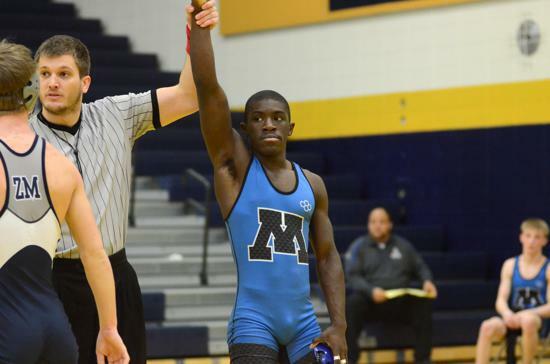 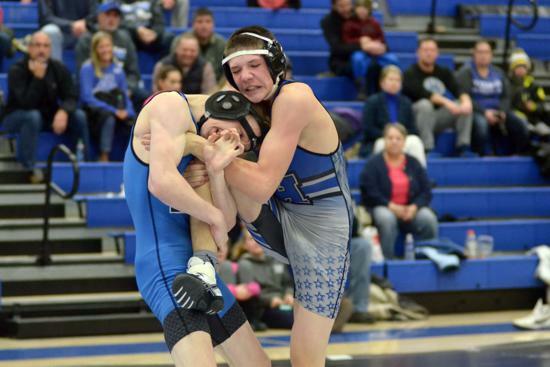 Even one week after the MSHSL State Tournament - some wrestlers just can't stop wrestling. 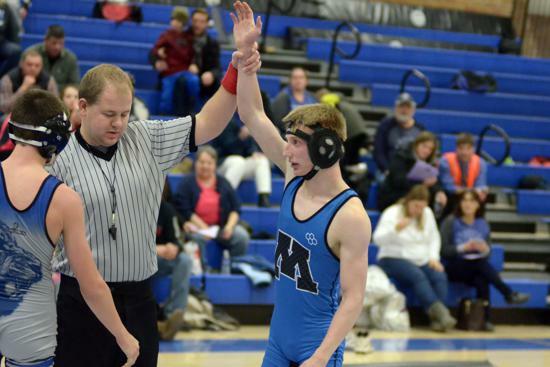 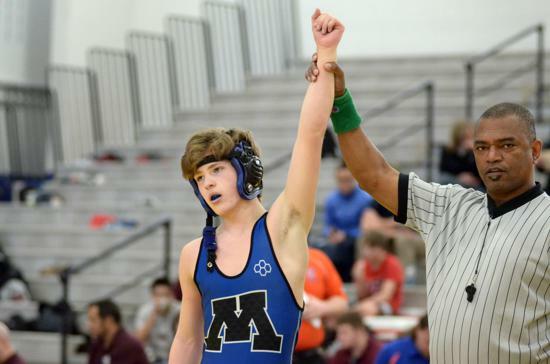 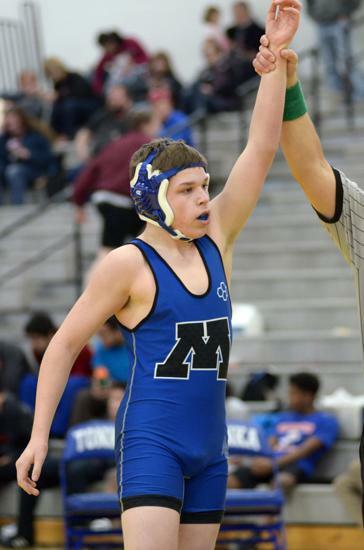 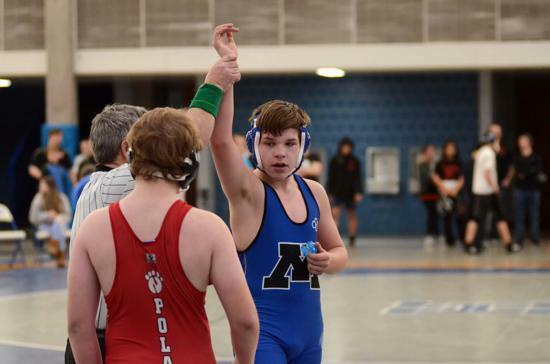 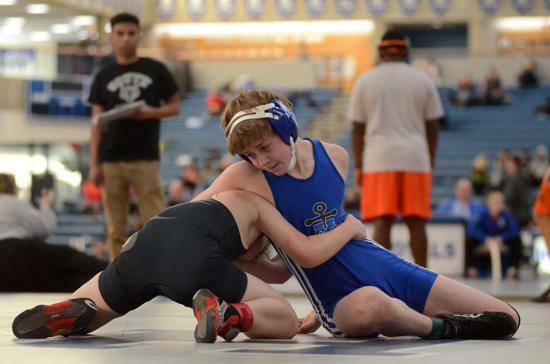 Here's the results from the Tonka Wrestlers in the MNUSA State Cadet Folkstyle Tournament on March 5 -- Great job everyone.